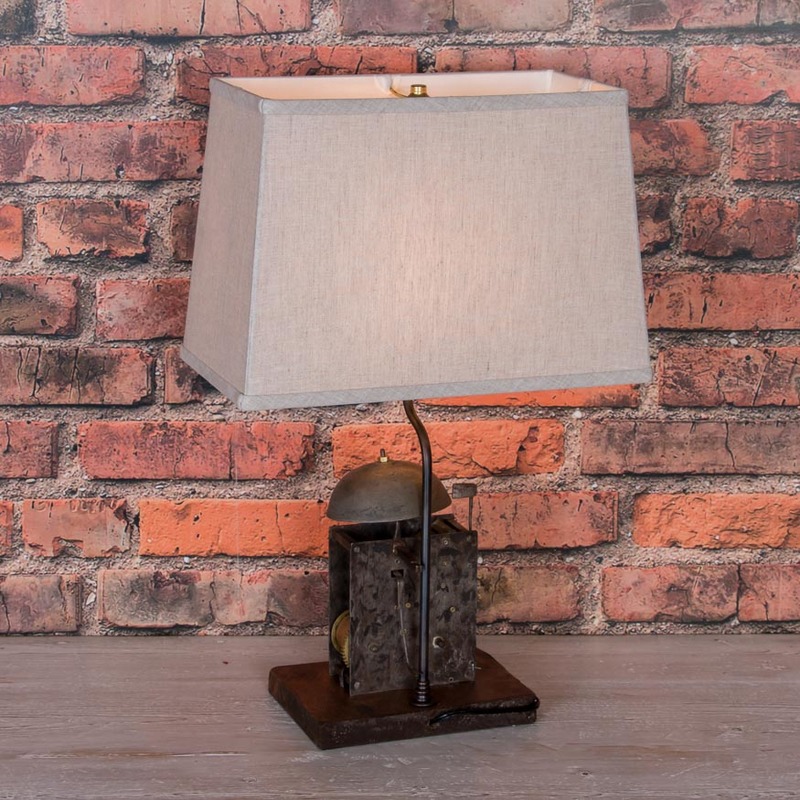 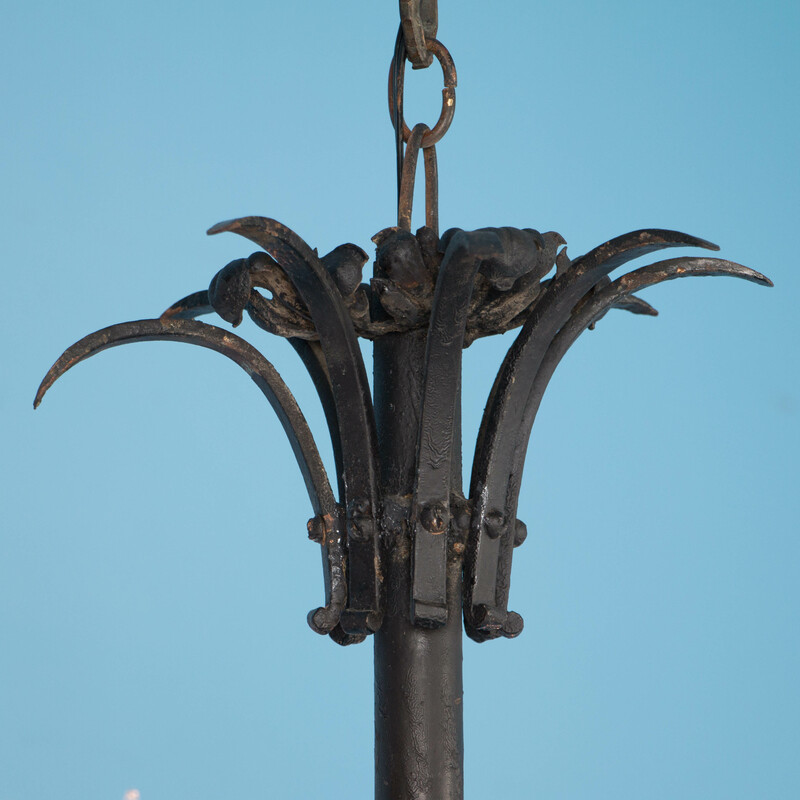 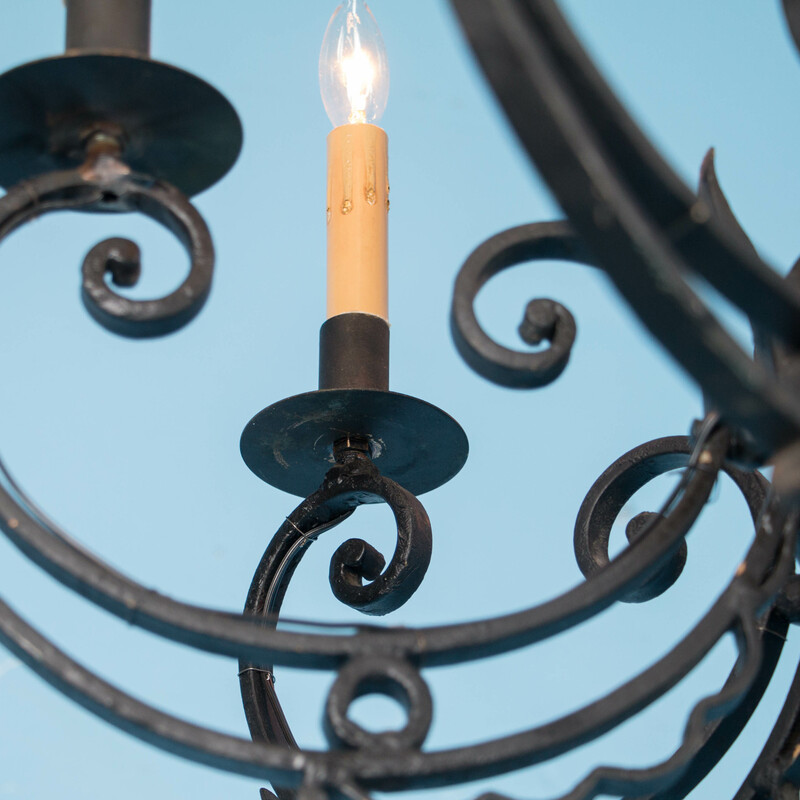 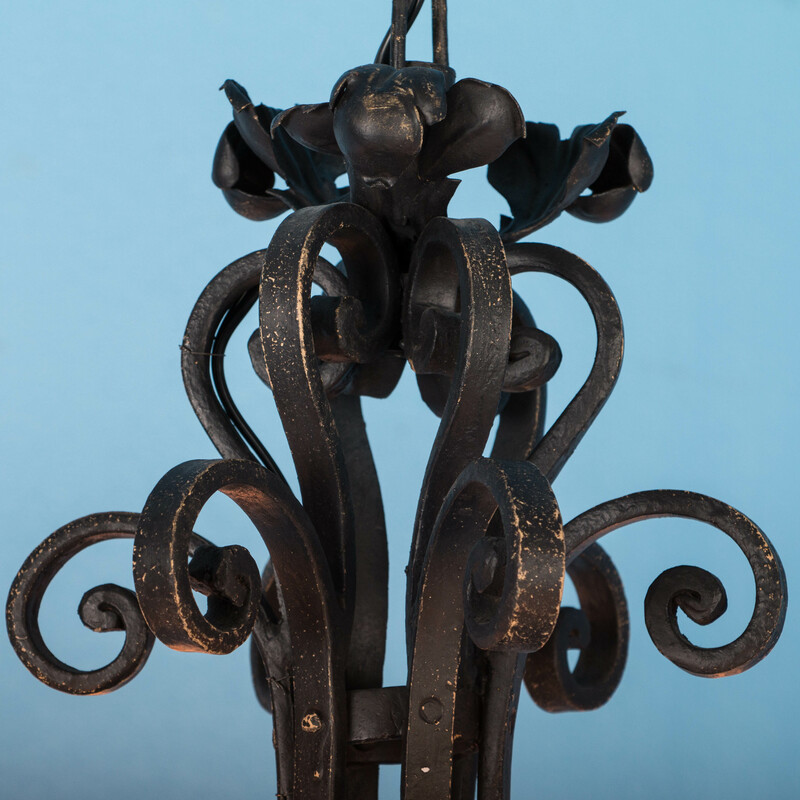 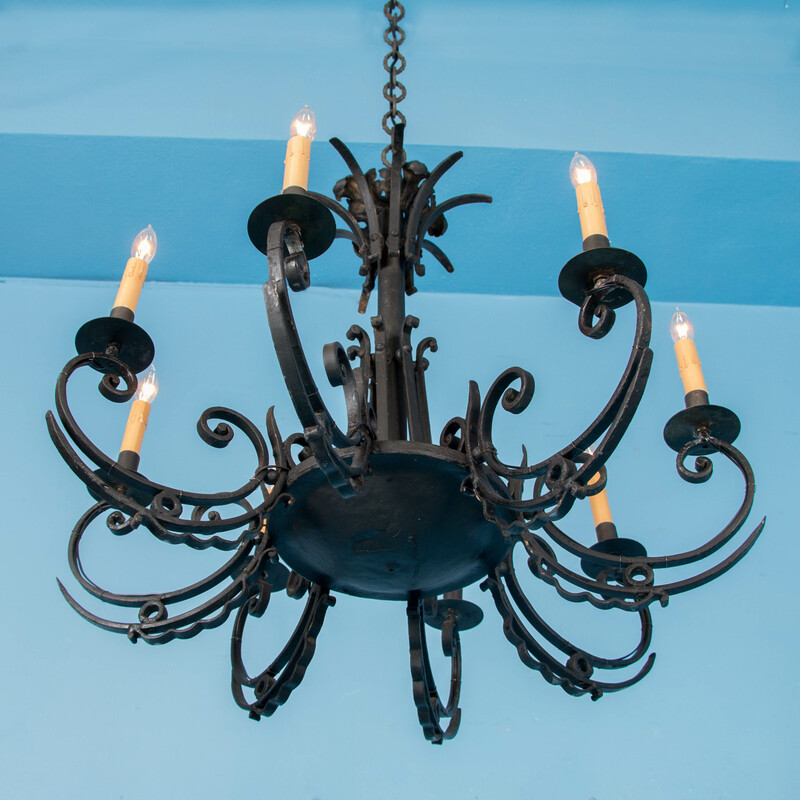 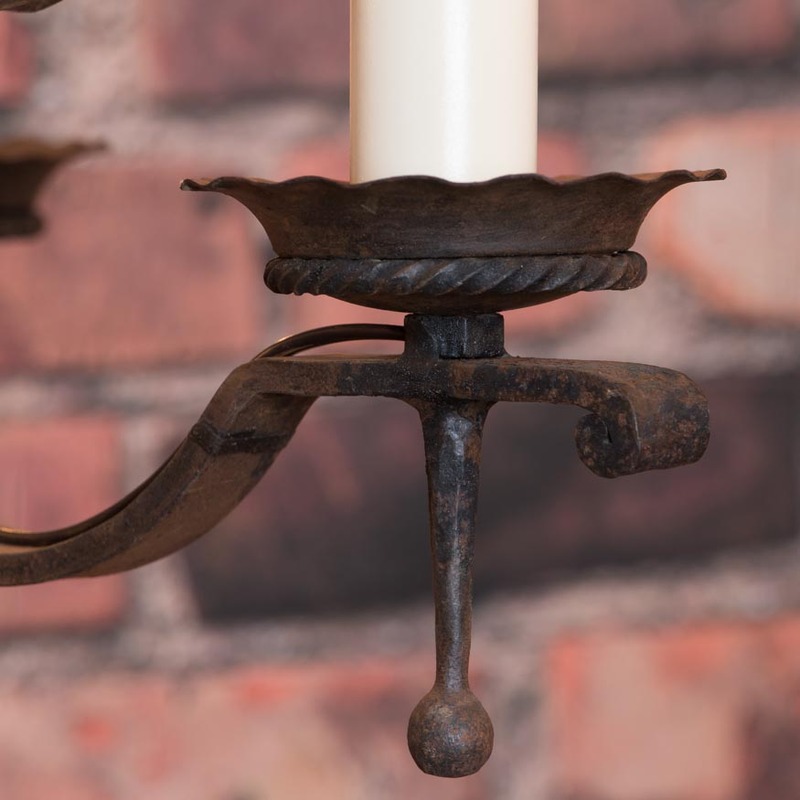 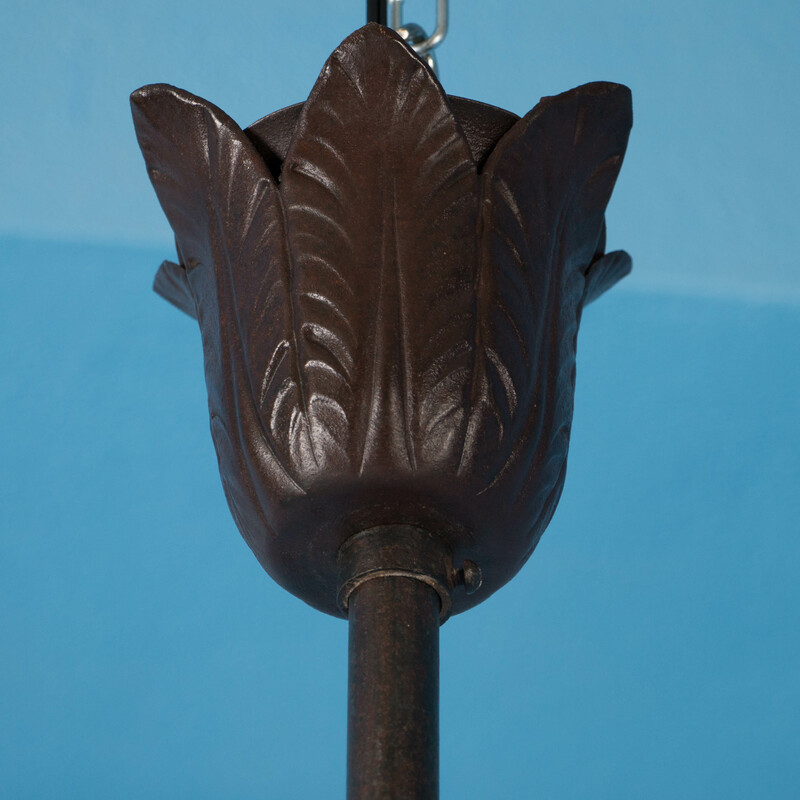 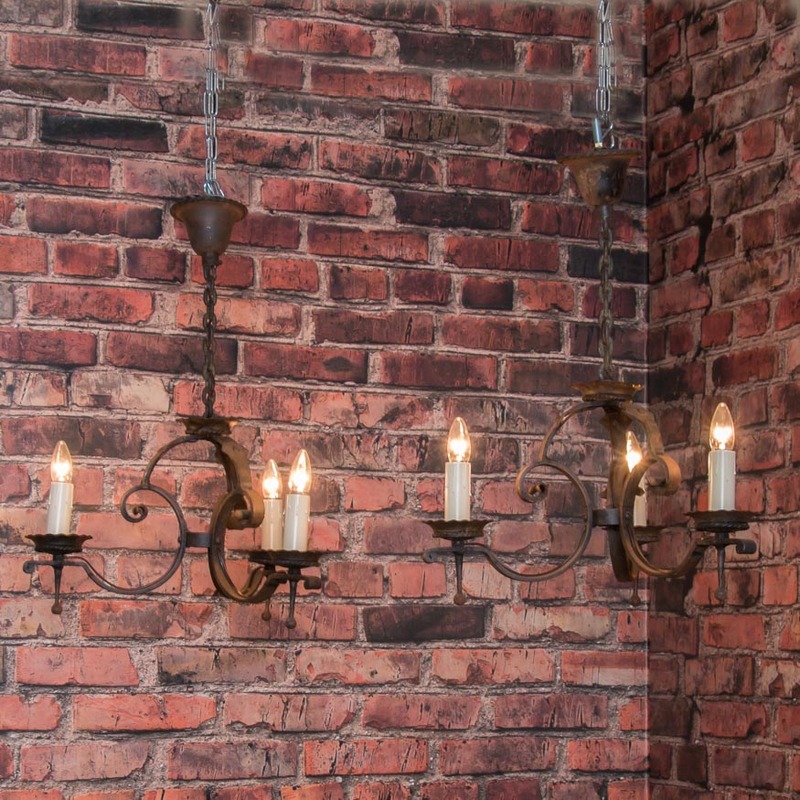 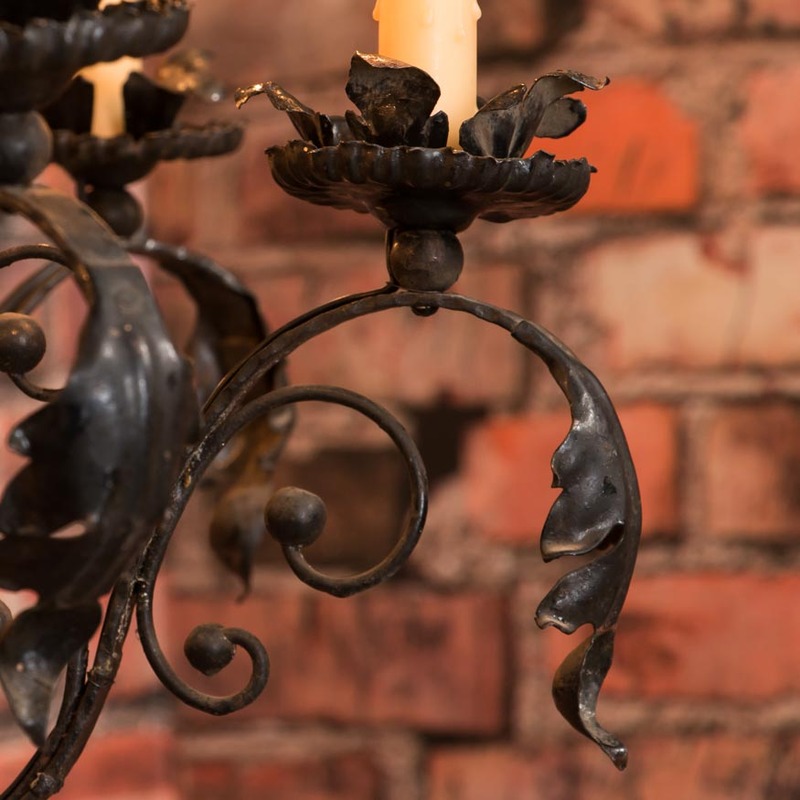 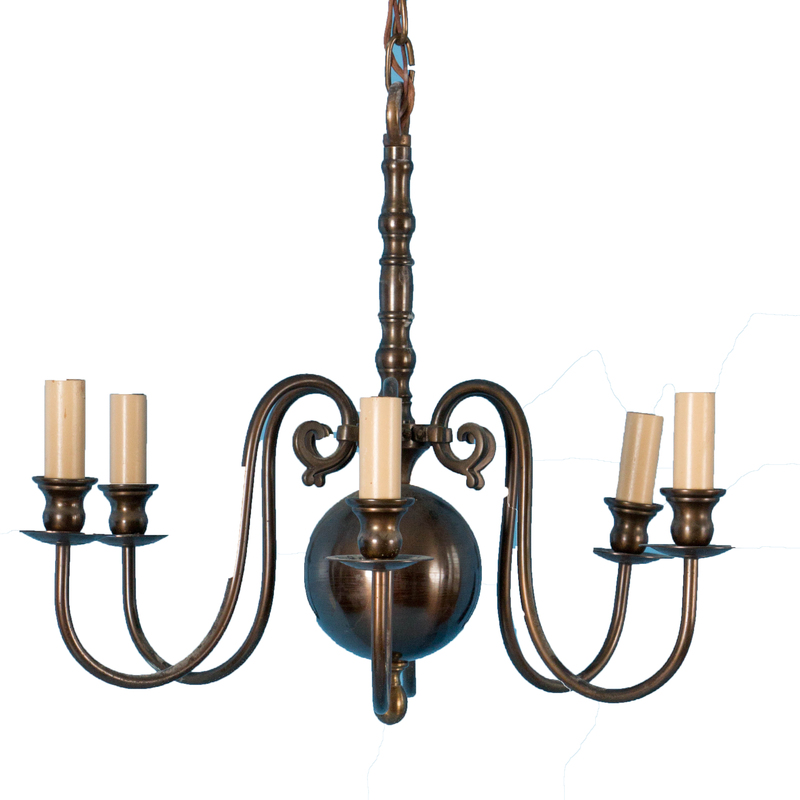 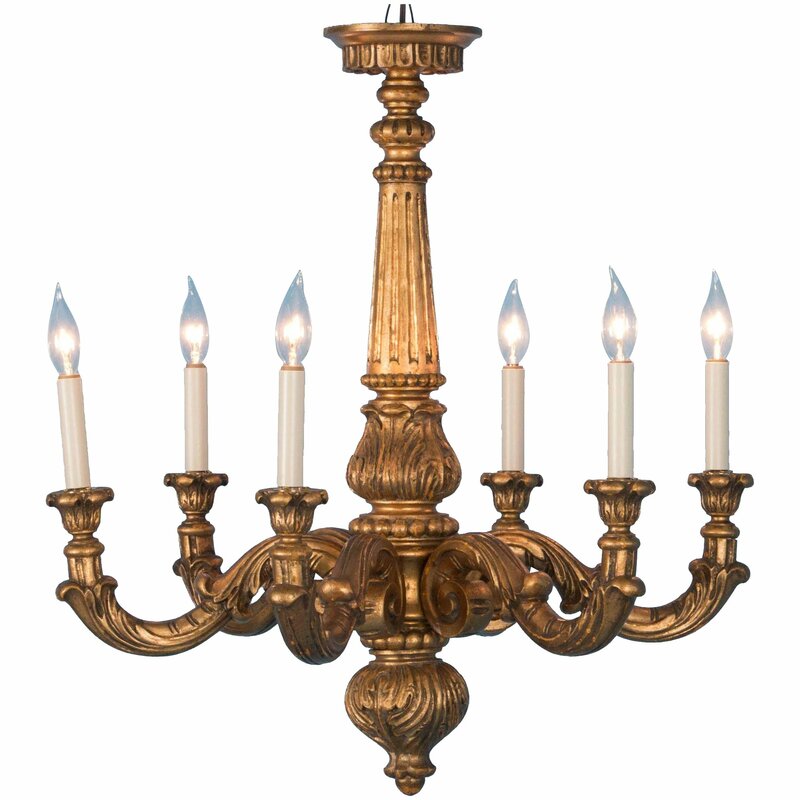 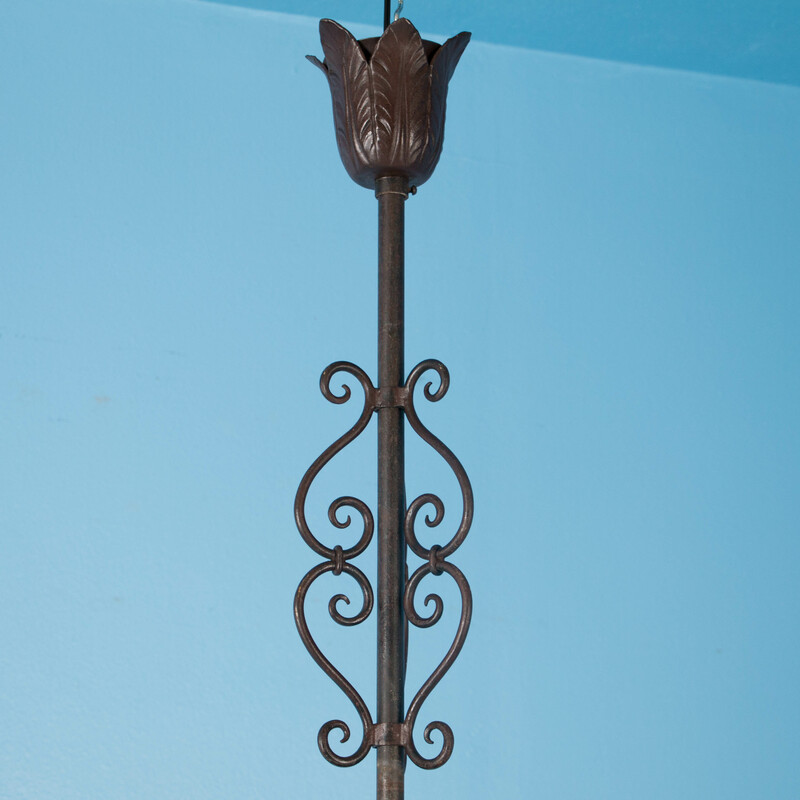 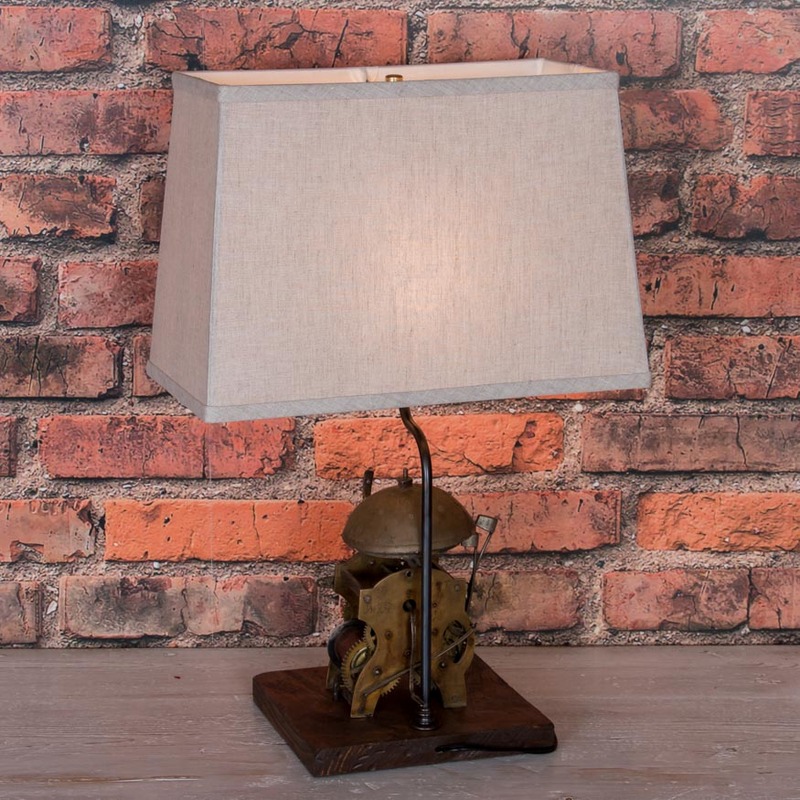 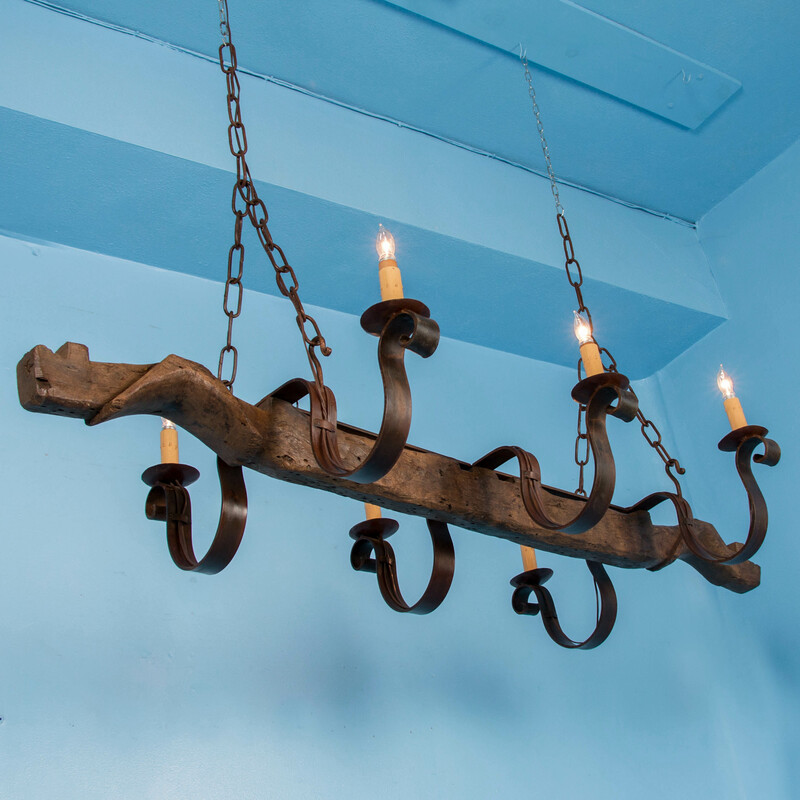 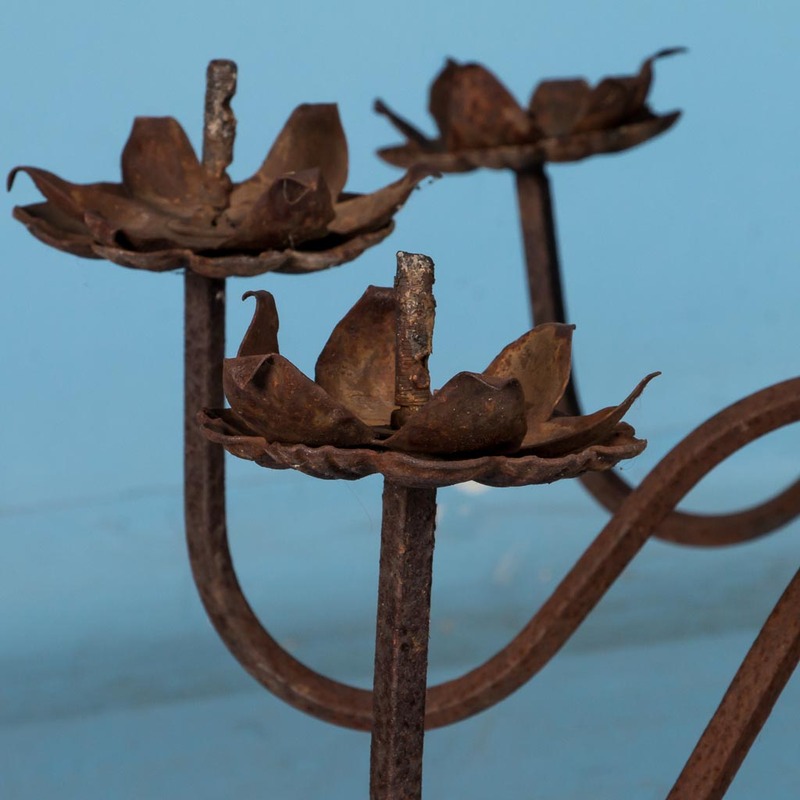 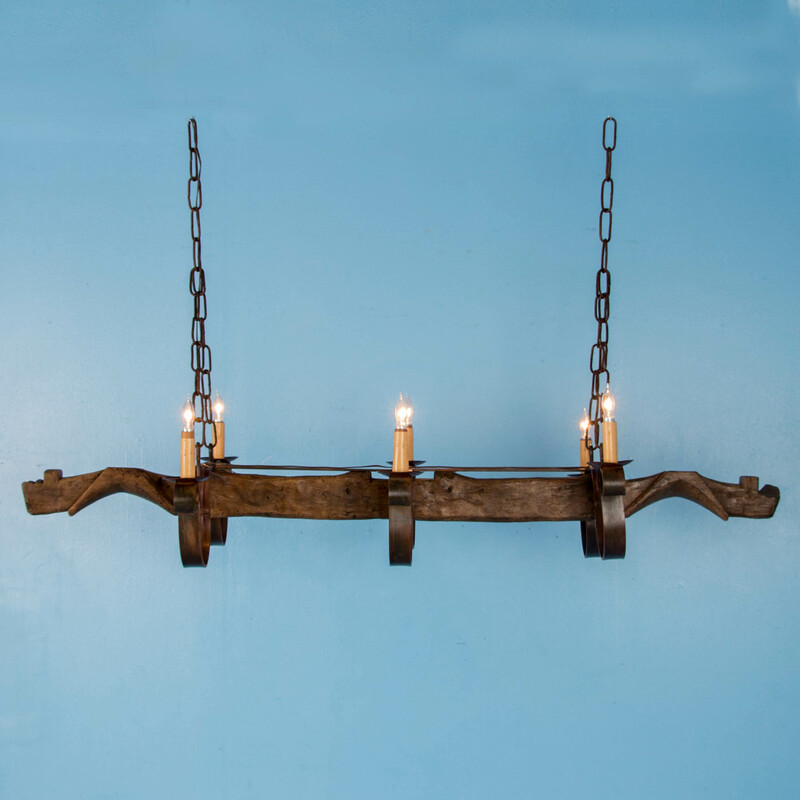 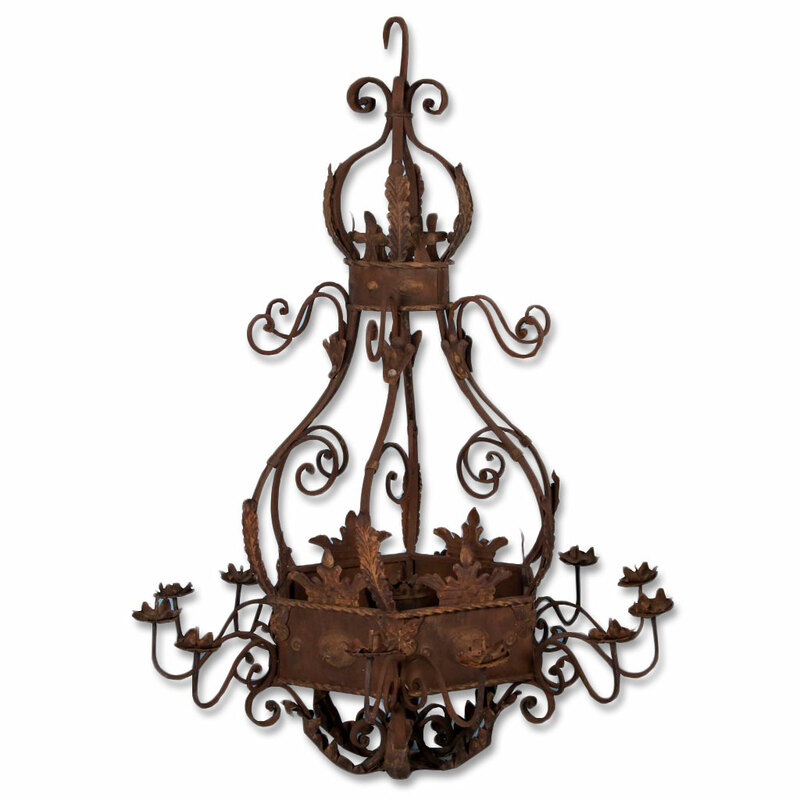 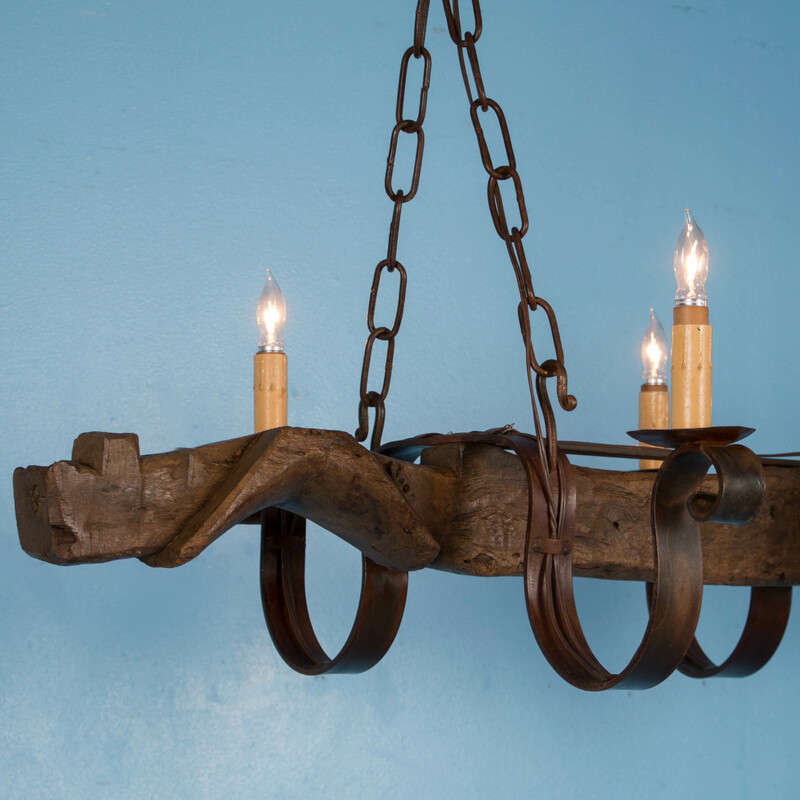 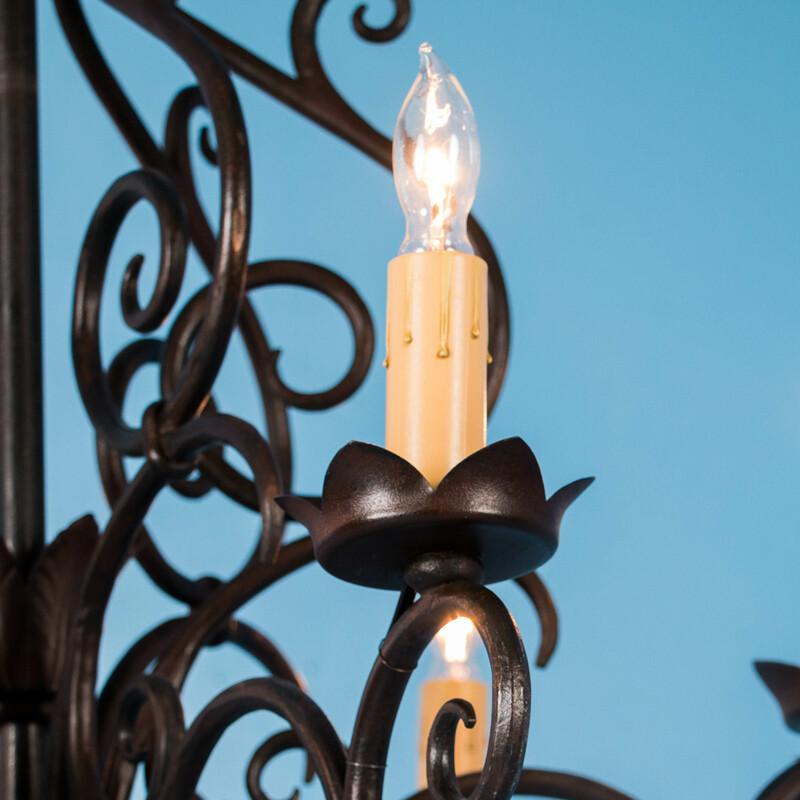 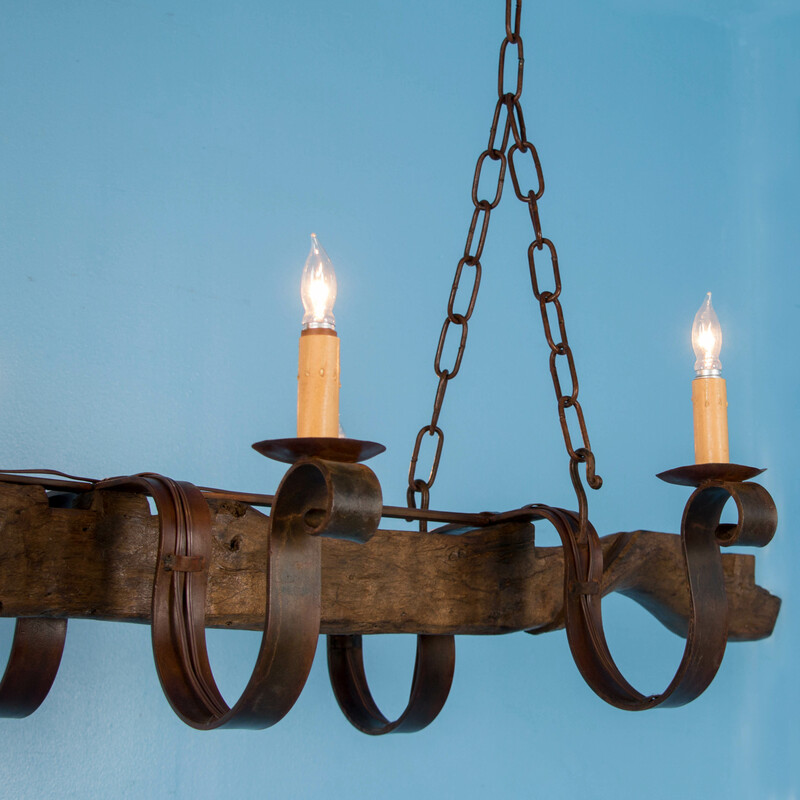 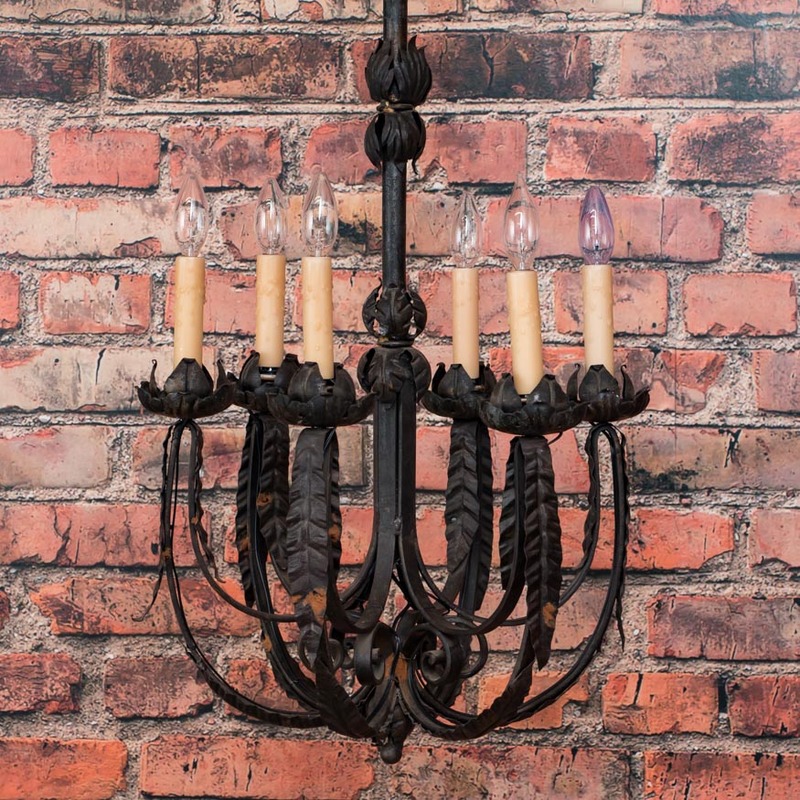 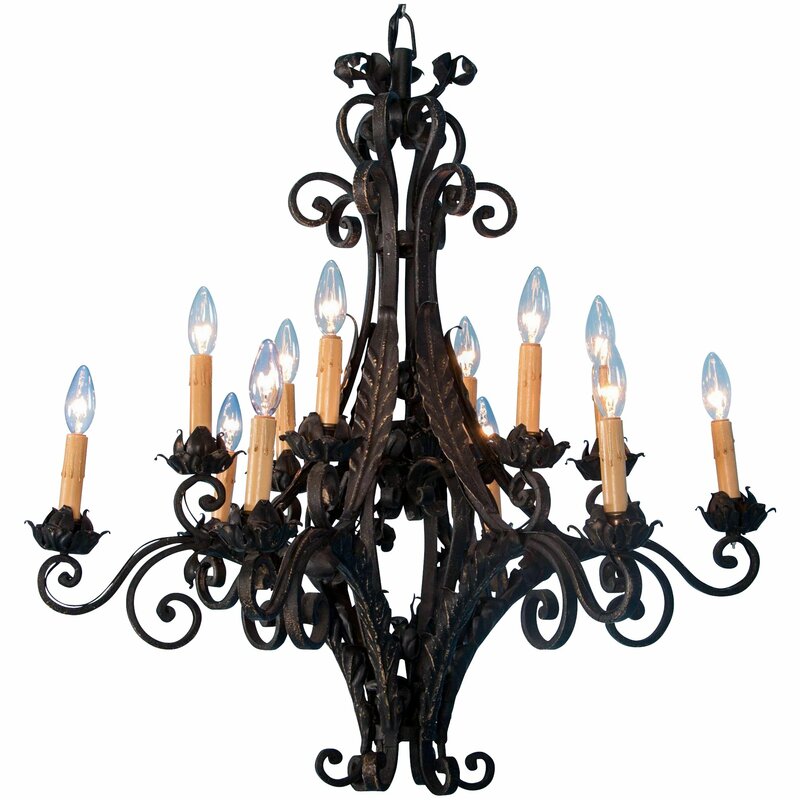 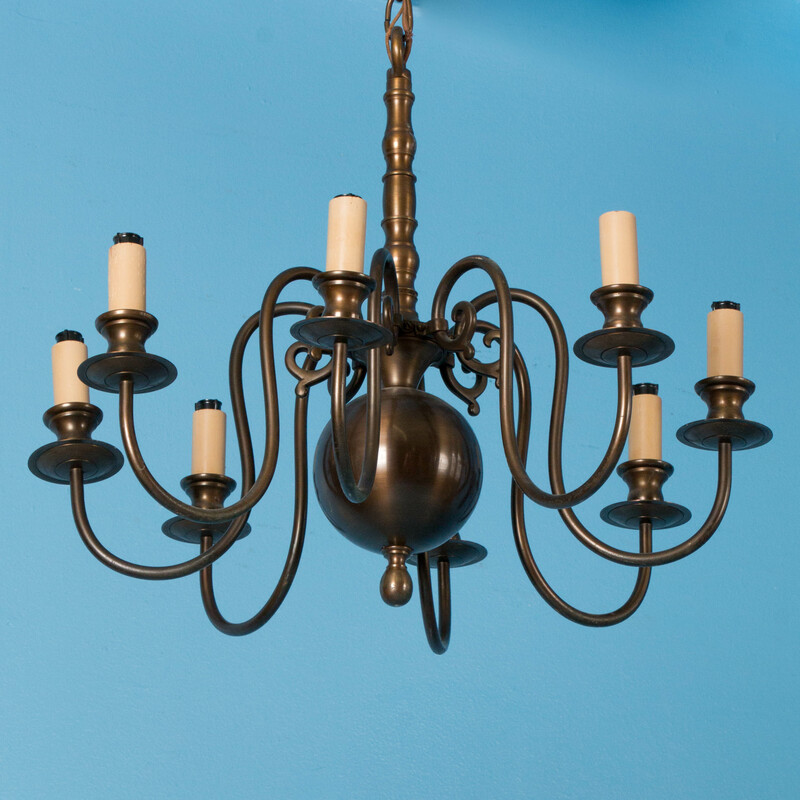 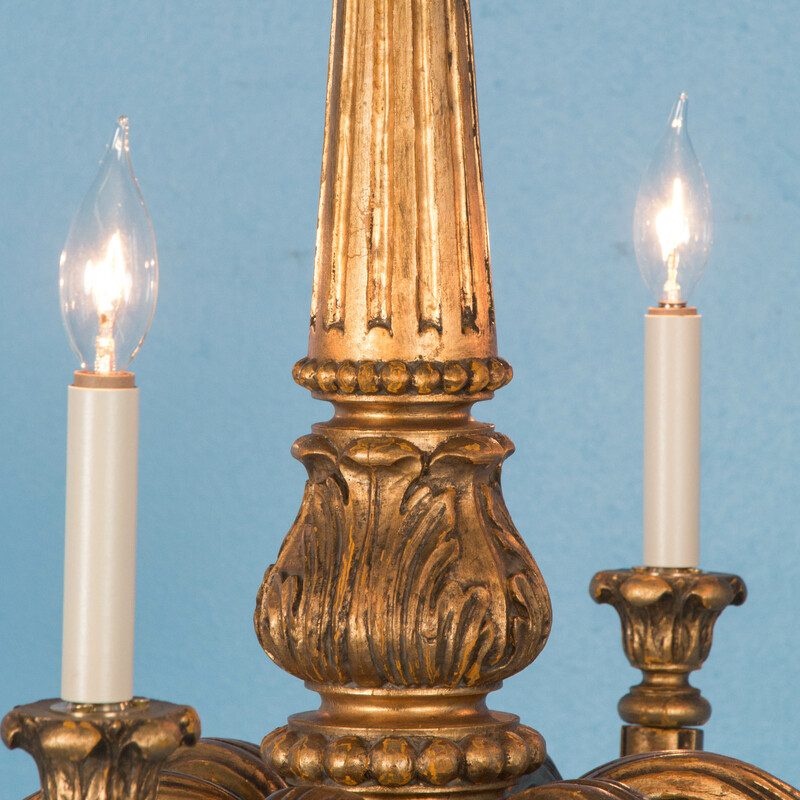 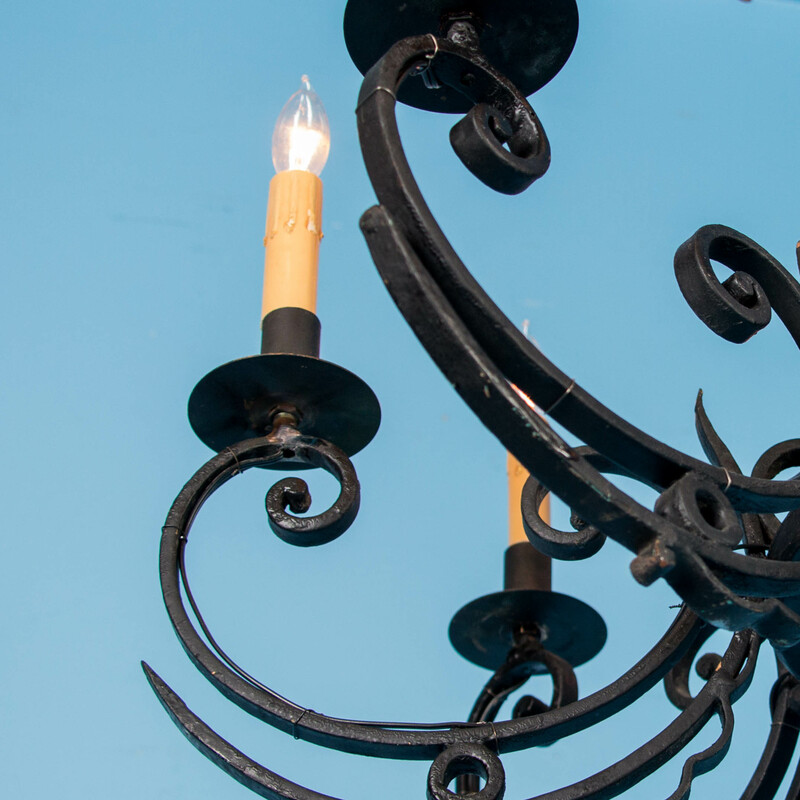 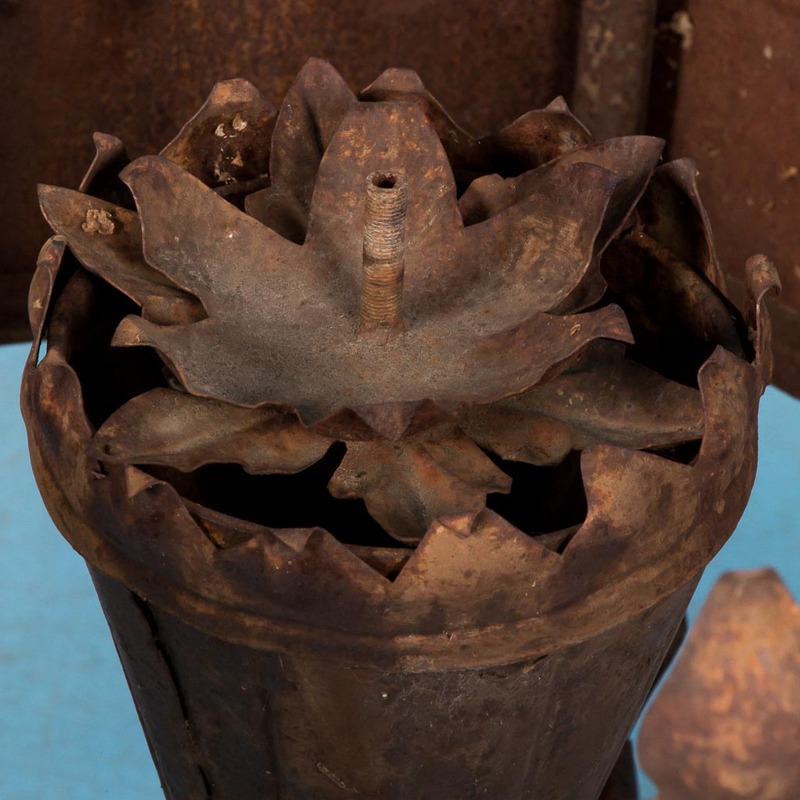 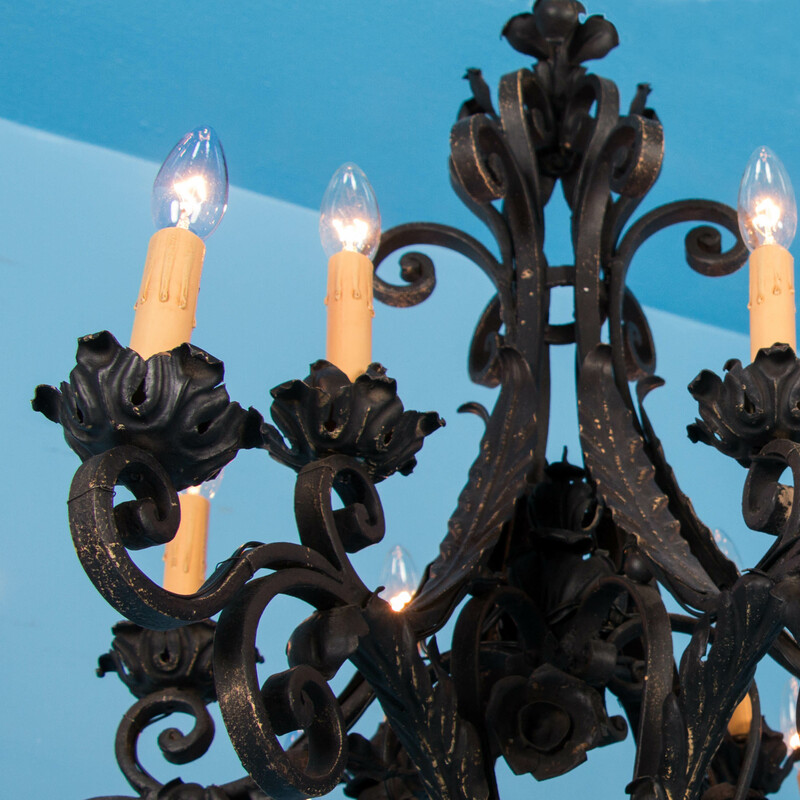 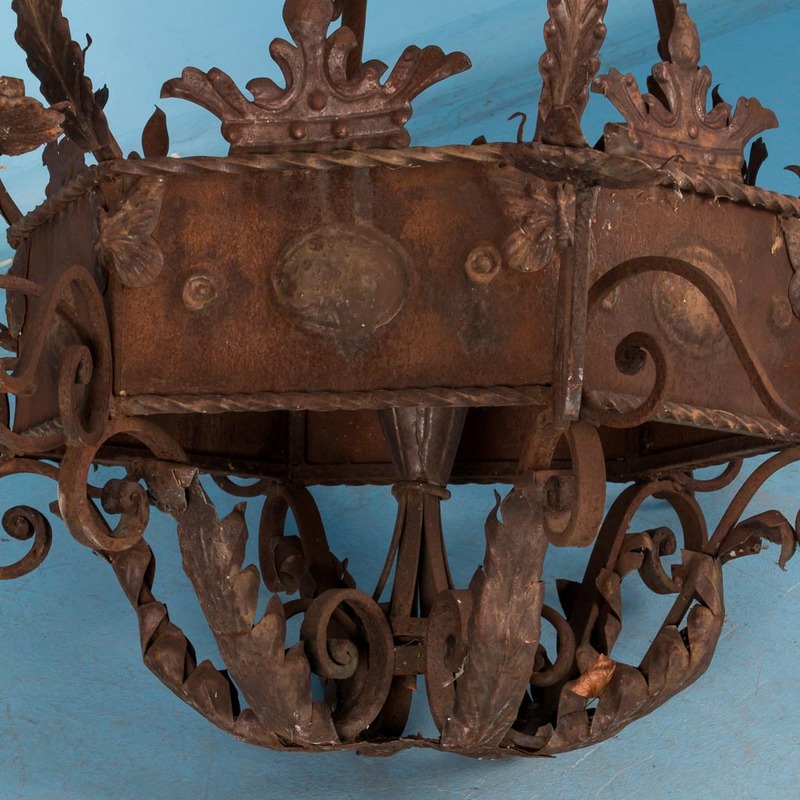 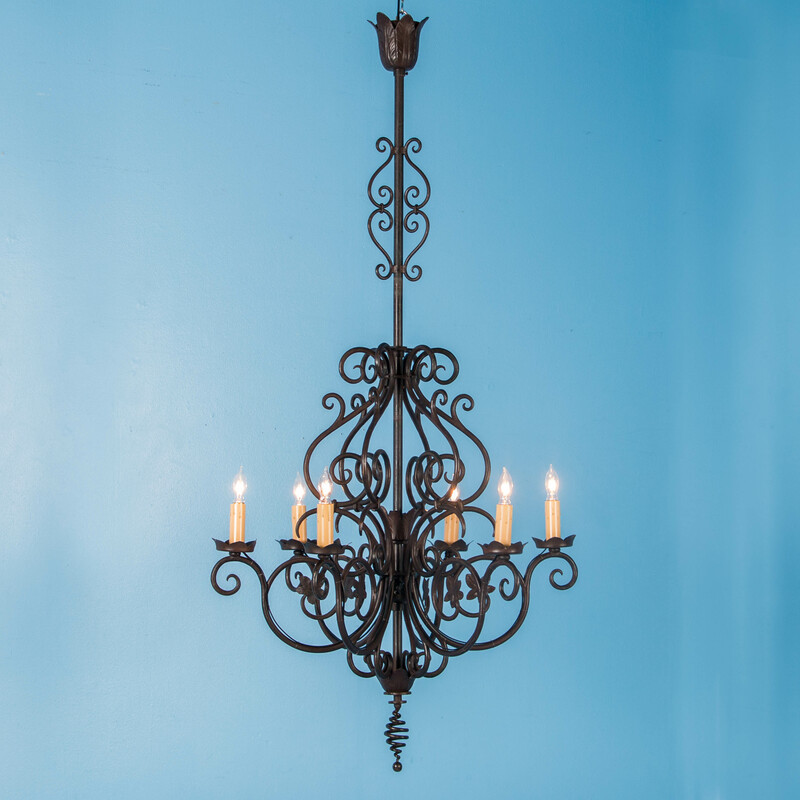 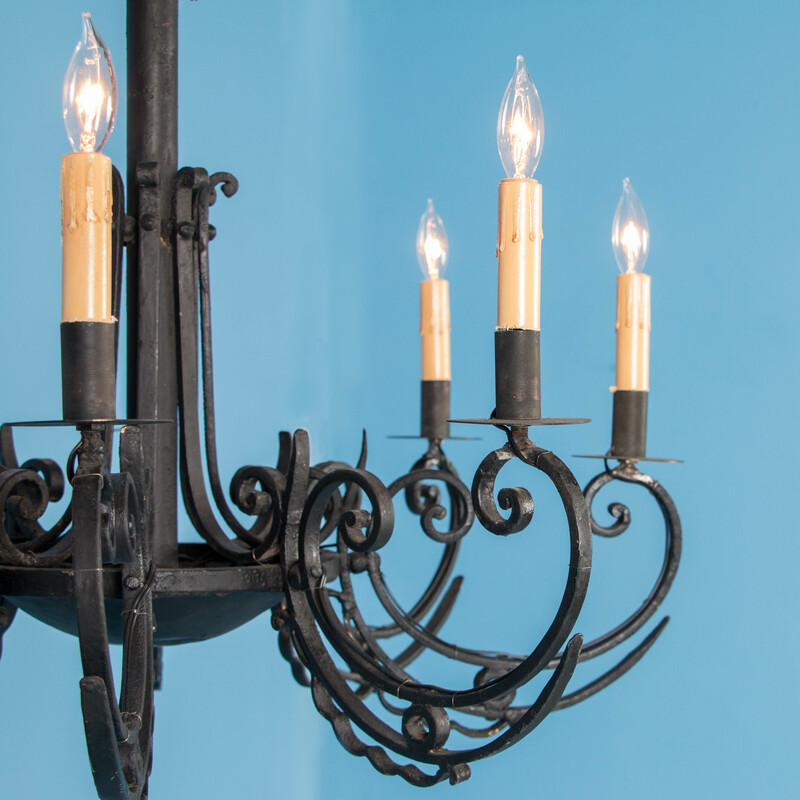 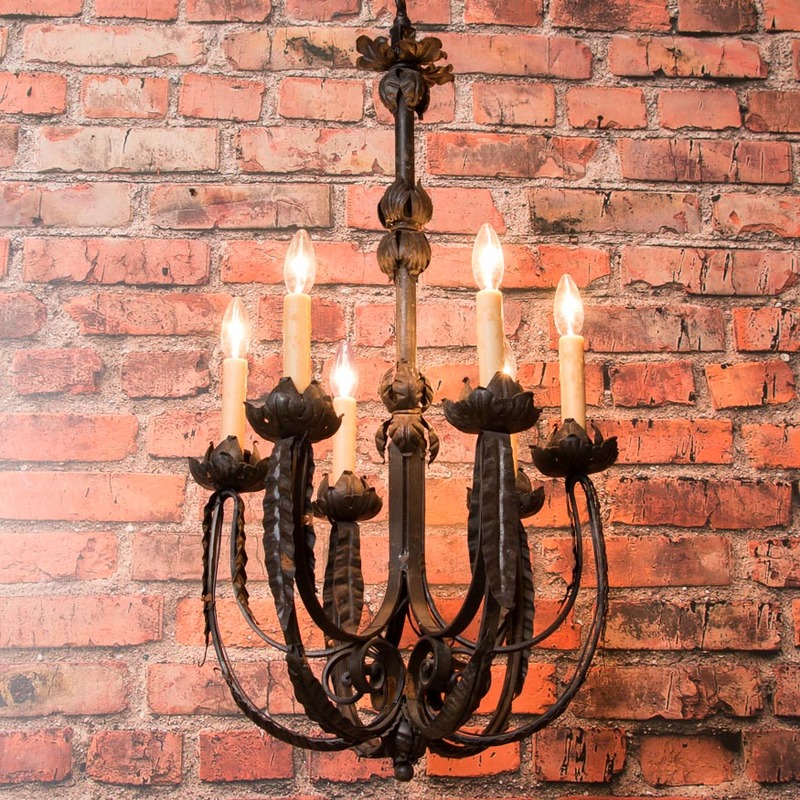 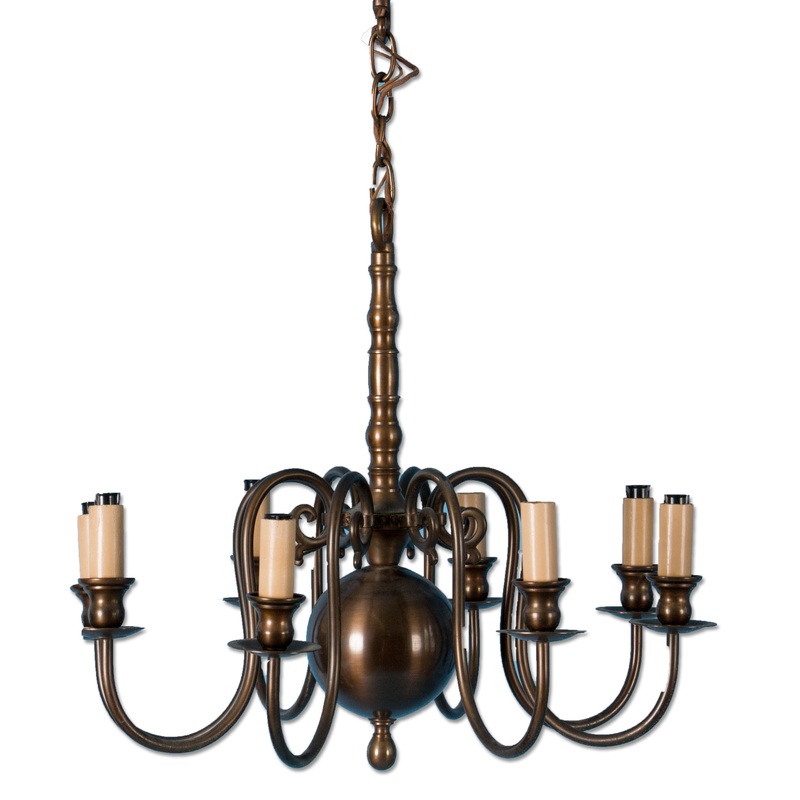 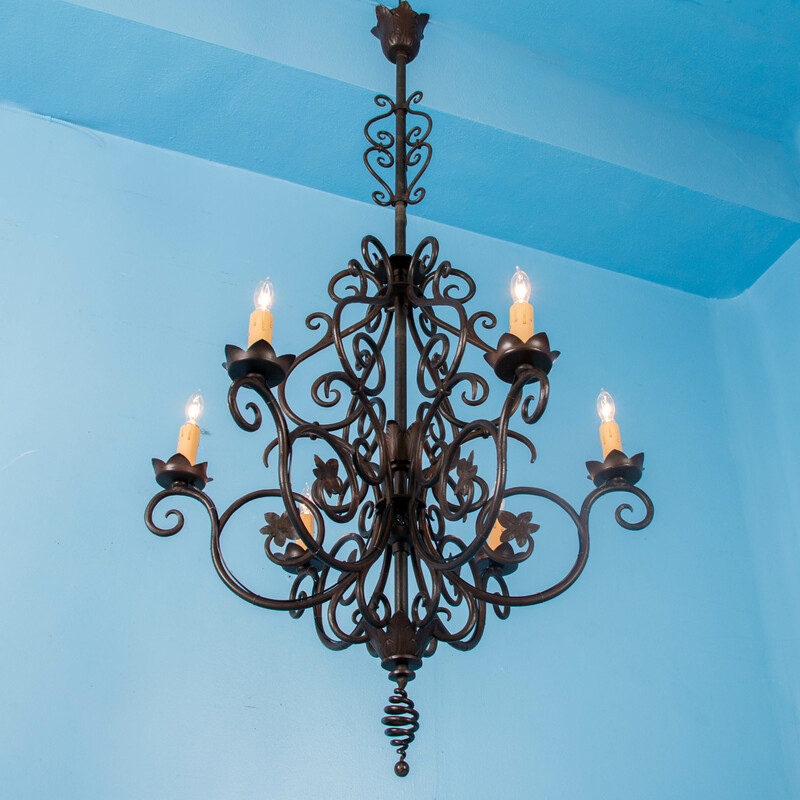 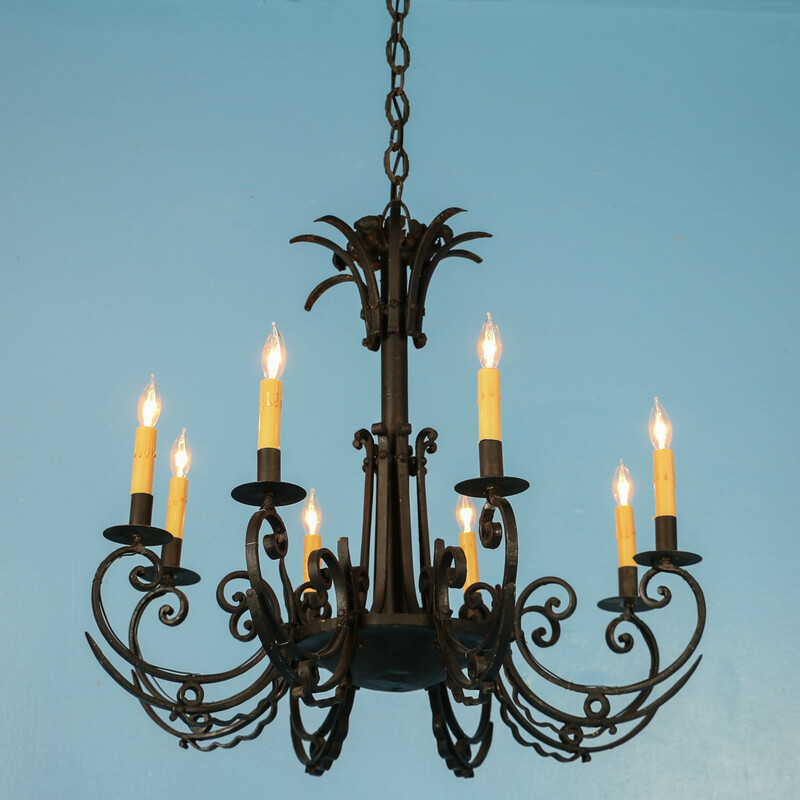 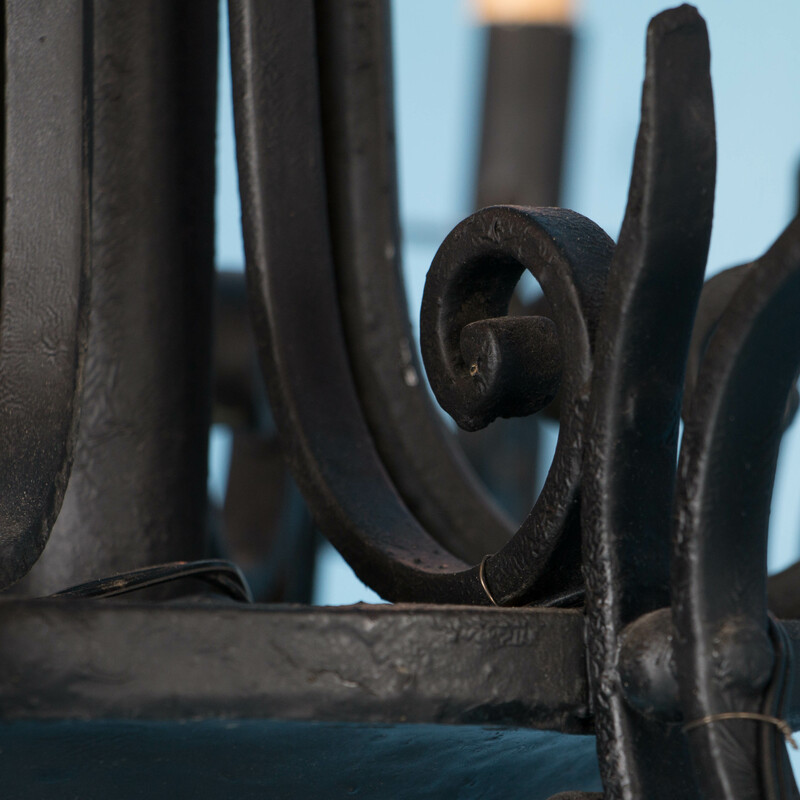 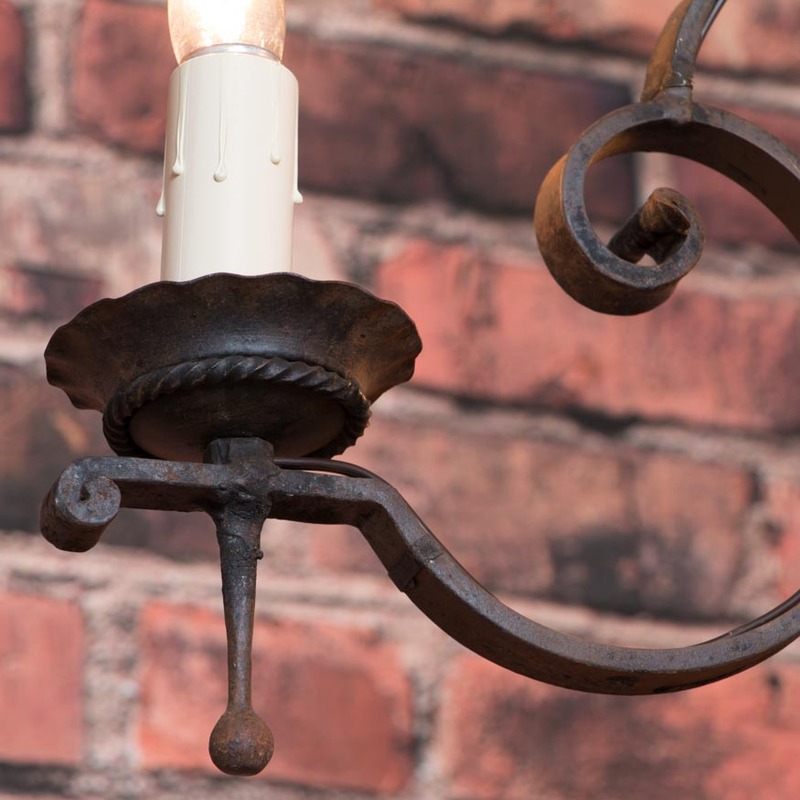 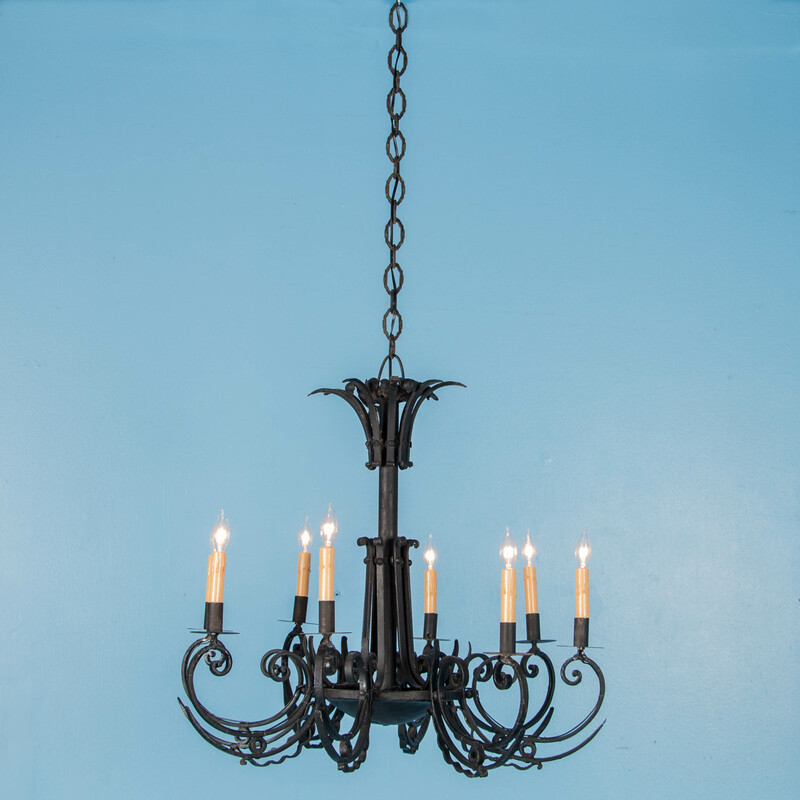 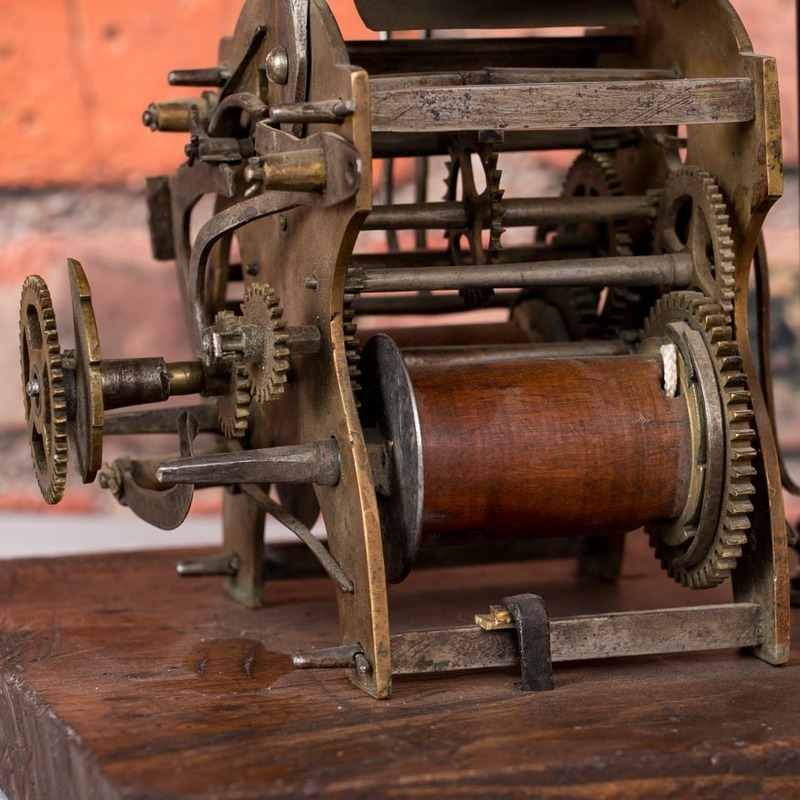 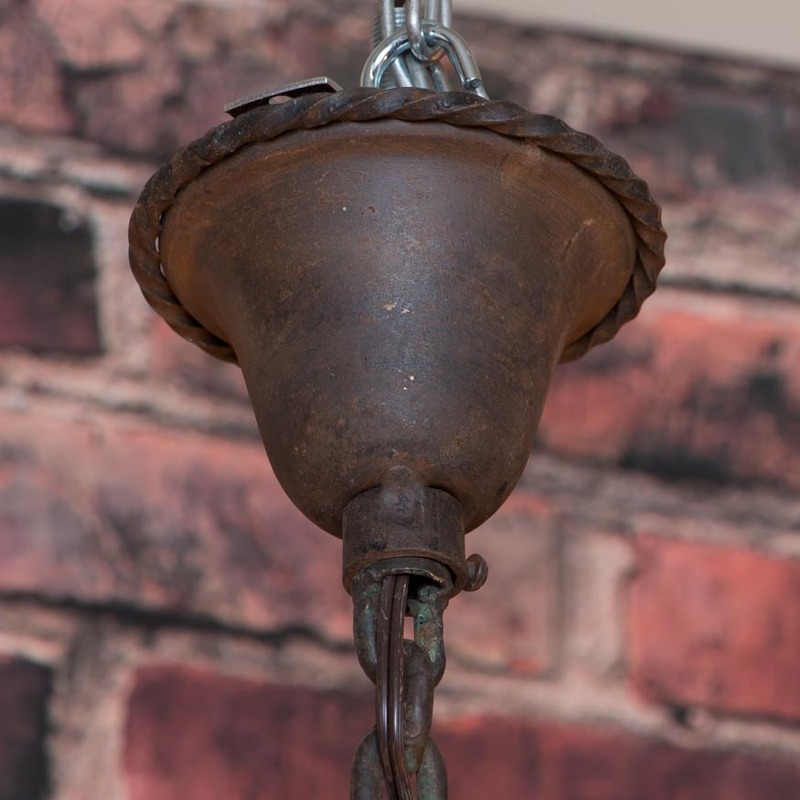 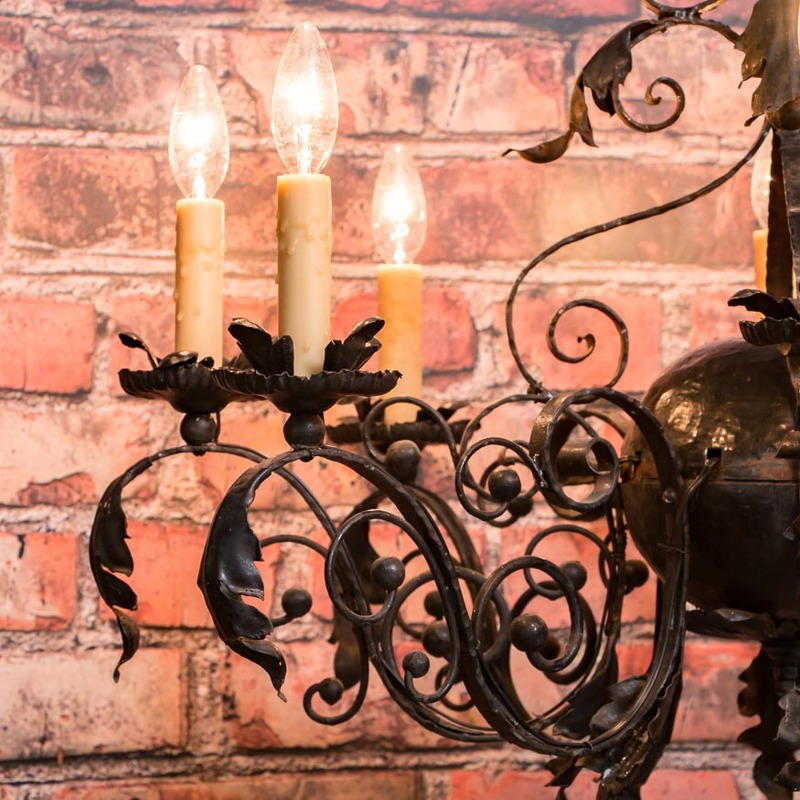 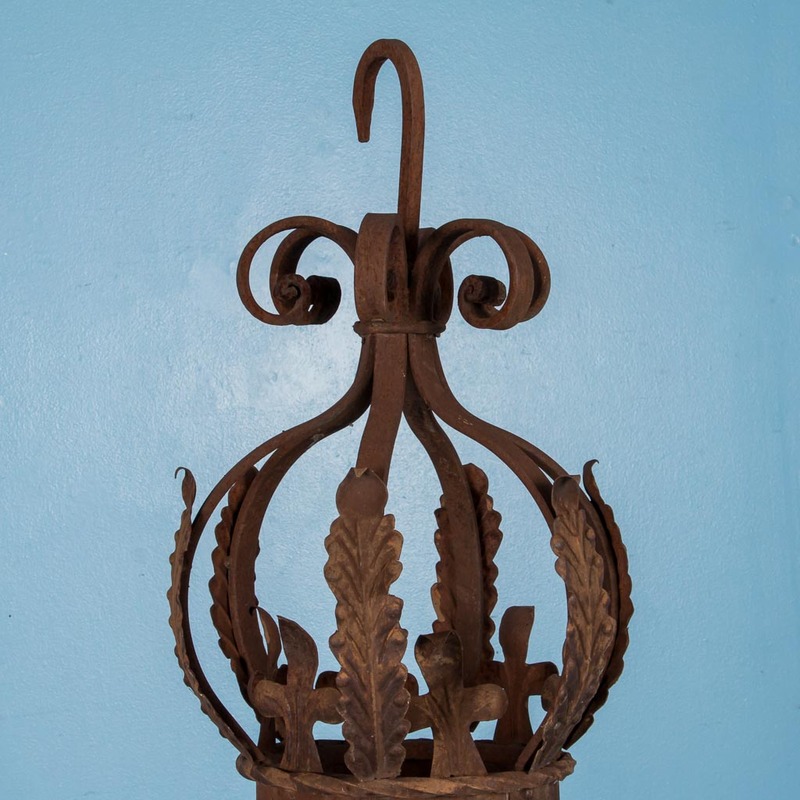 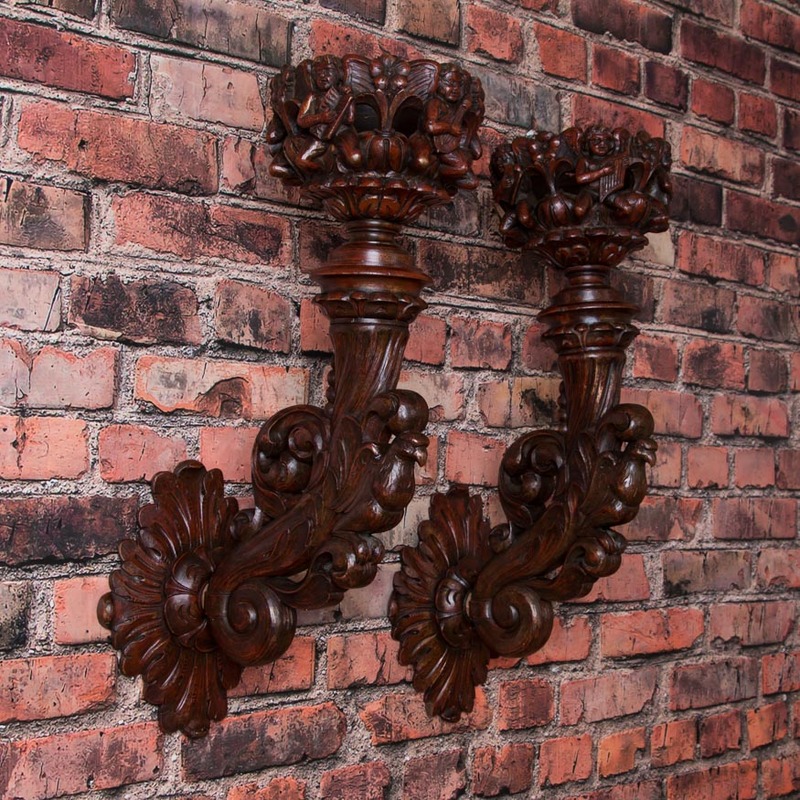 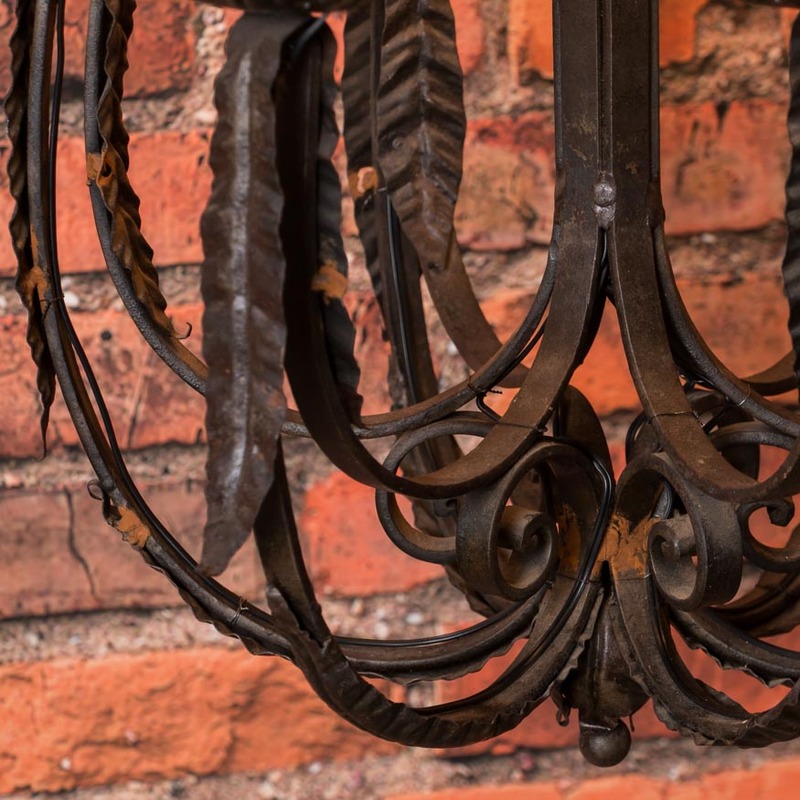 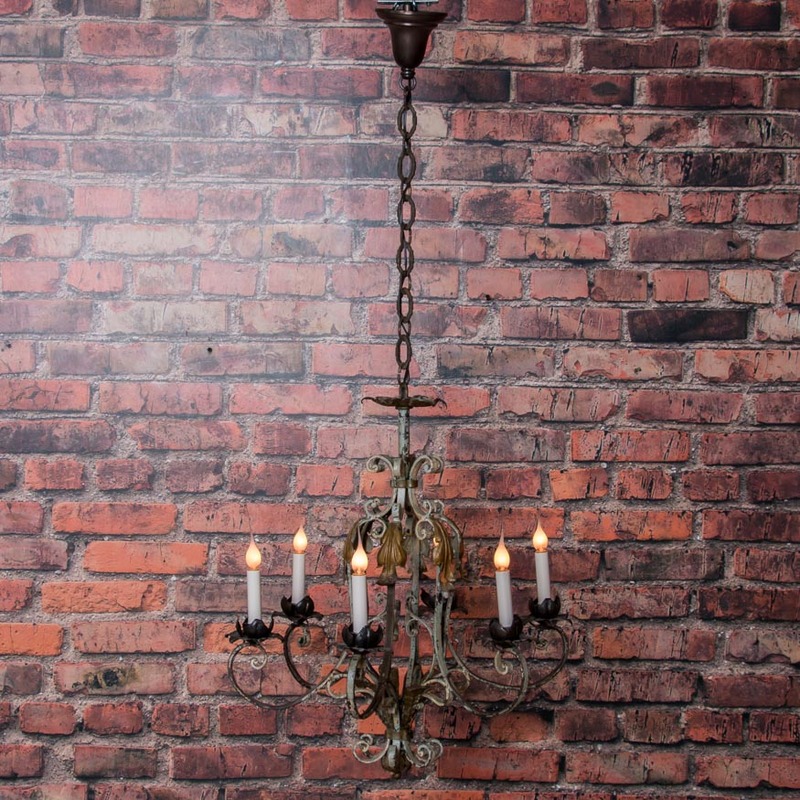 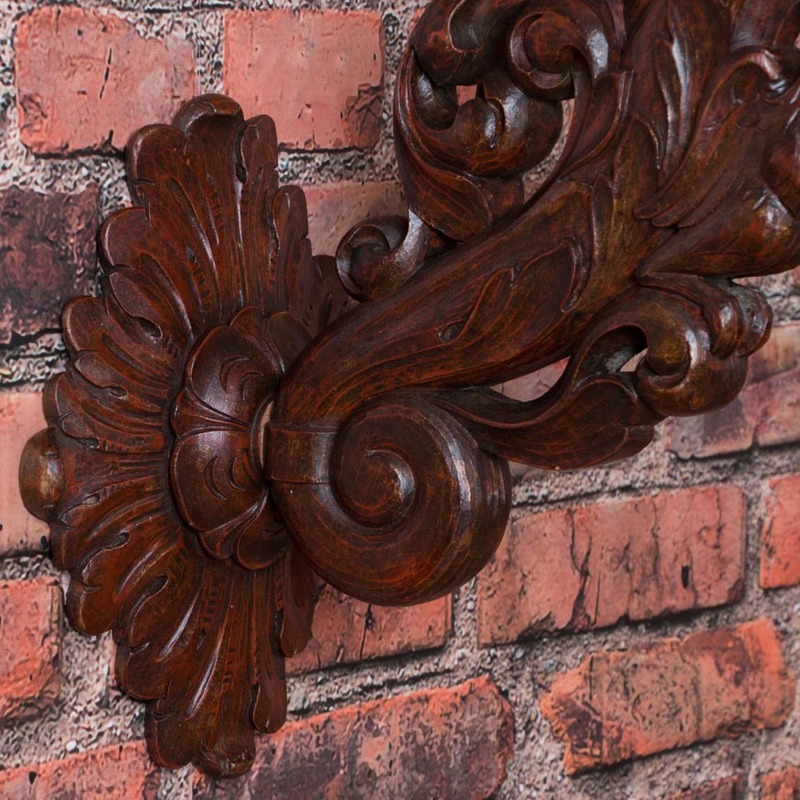 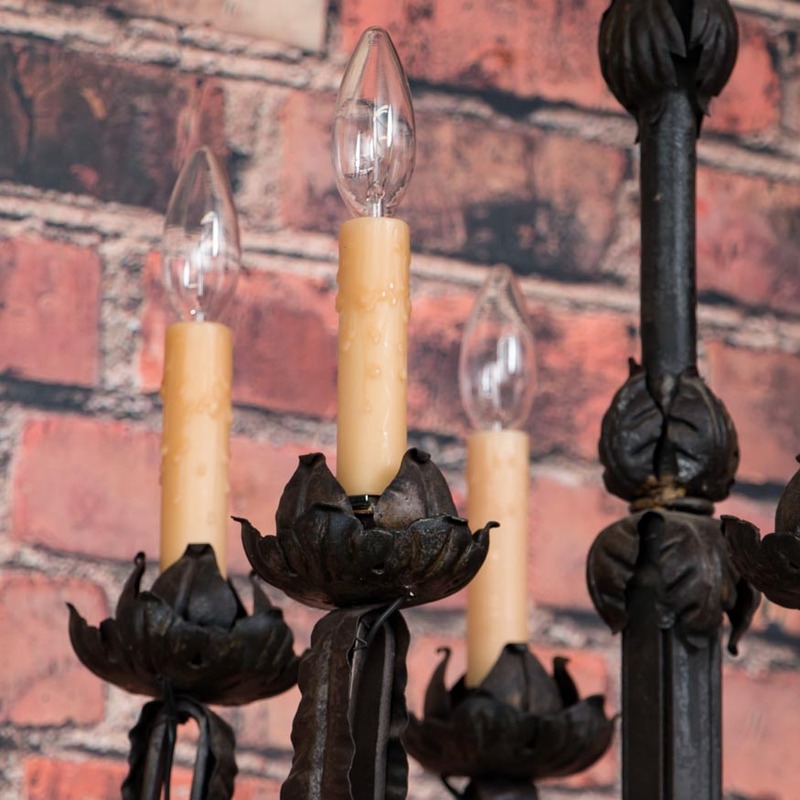 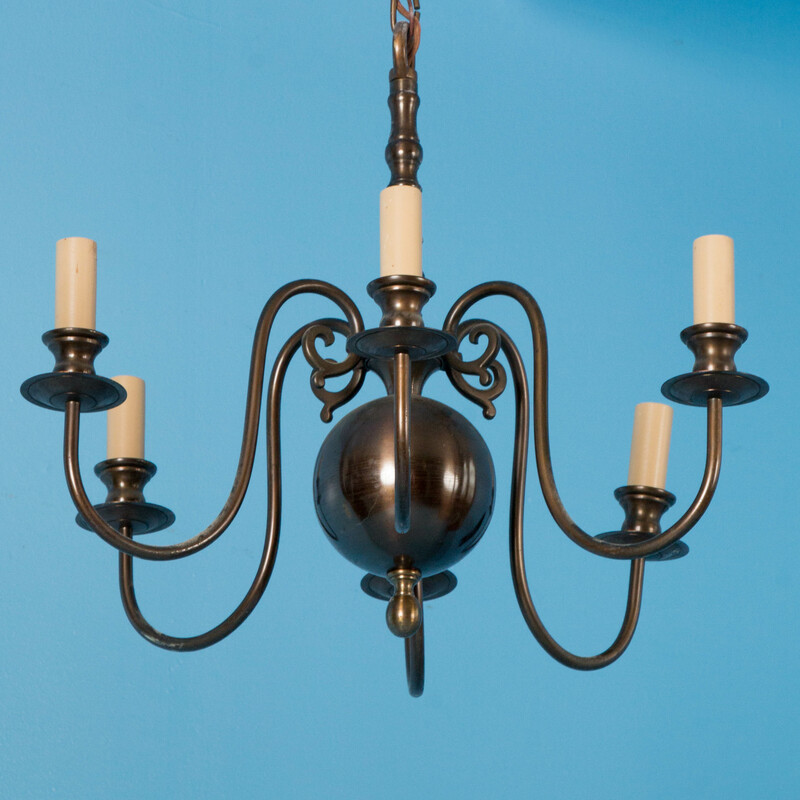 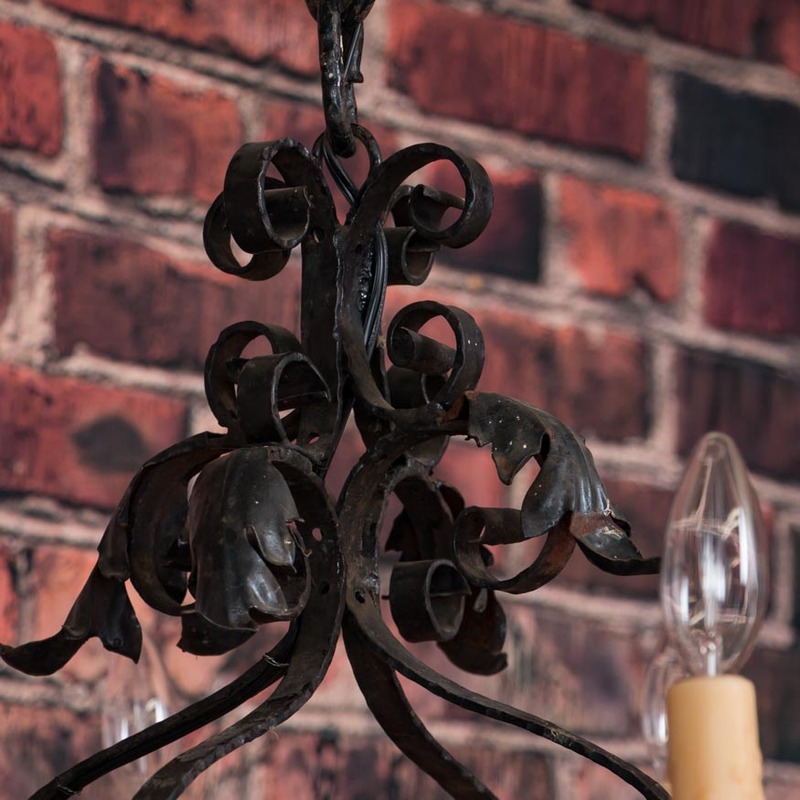 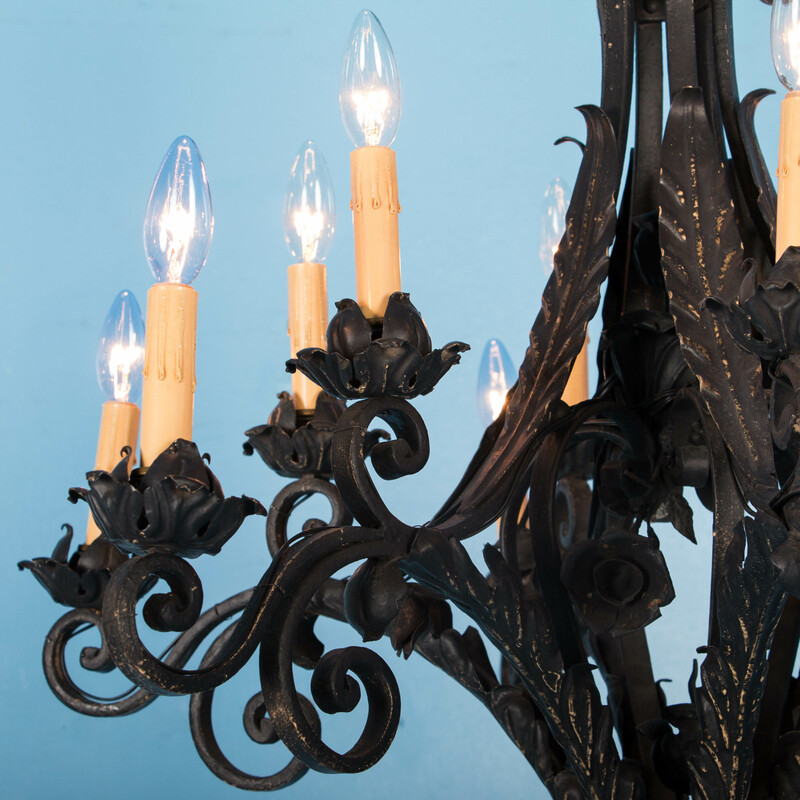 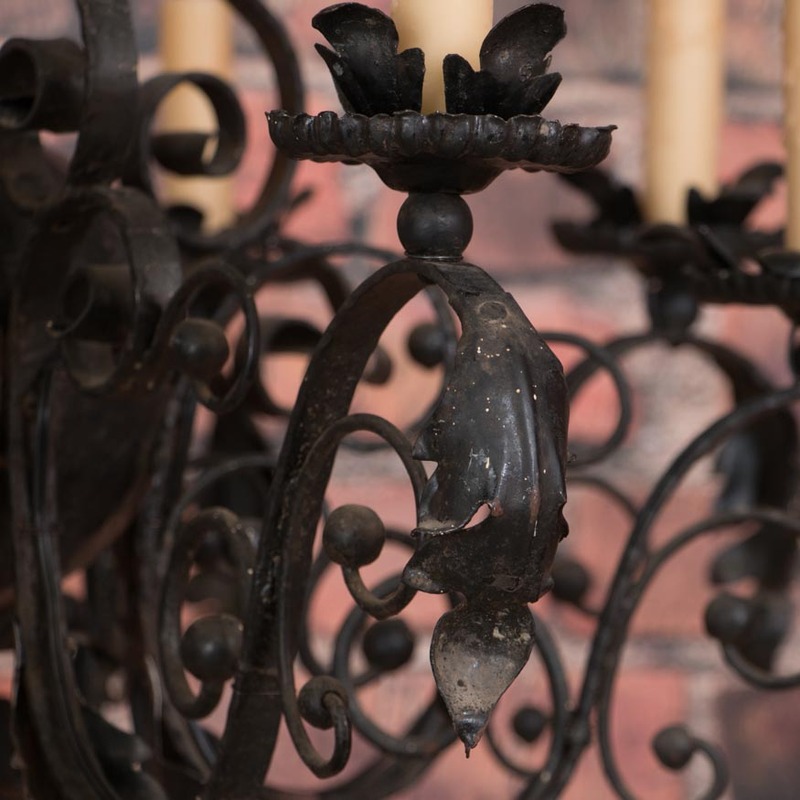 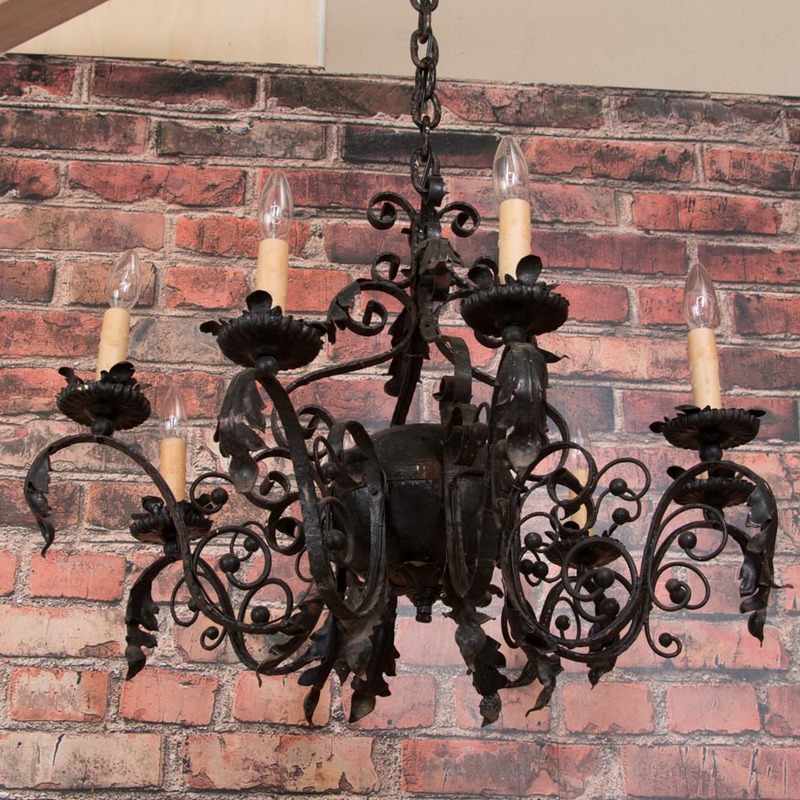 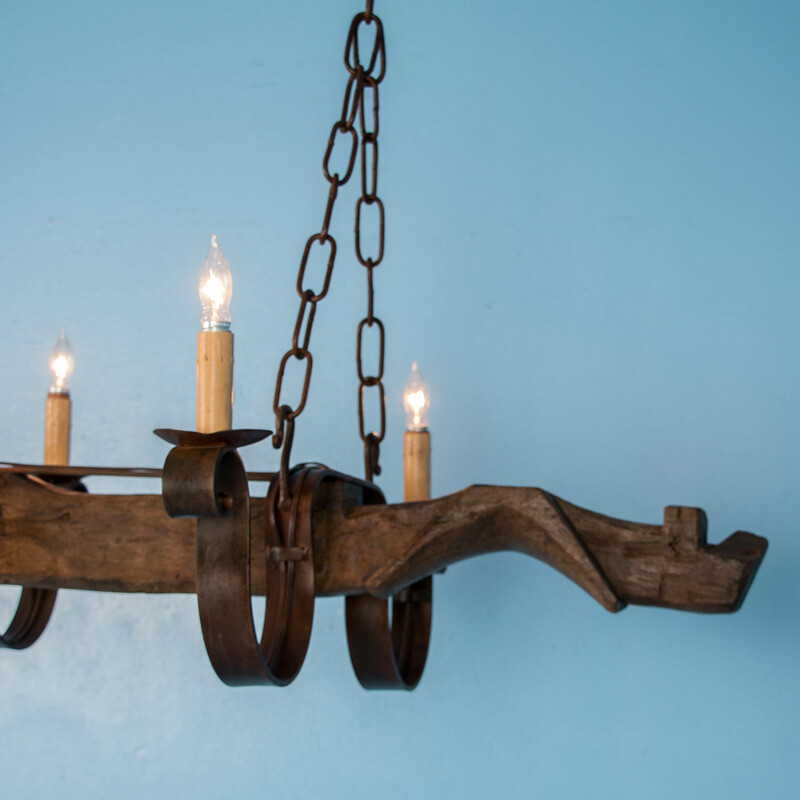 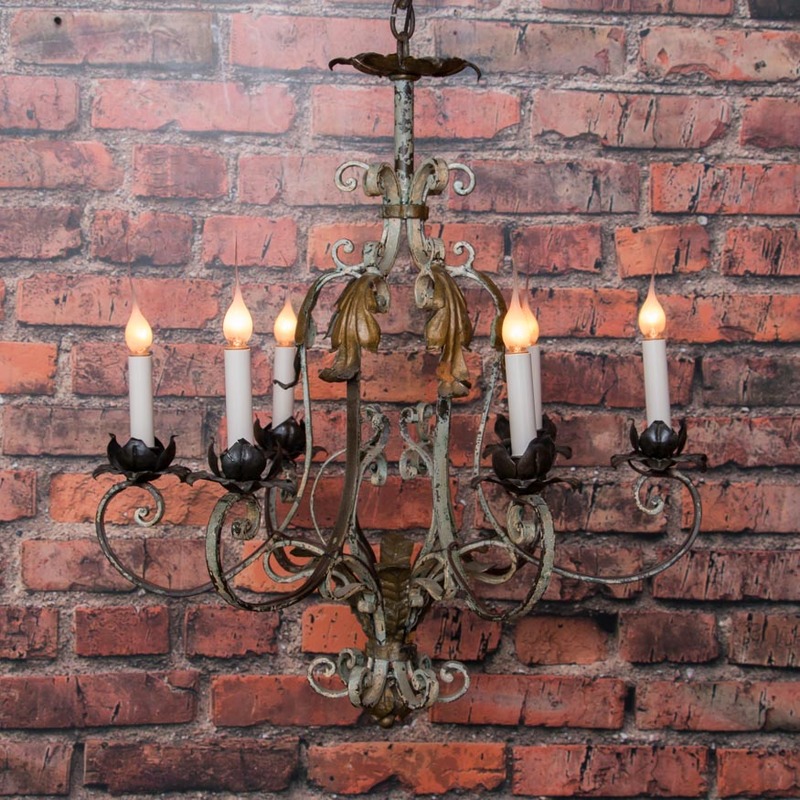 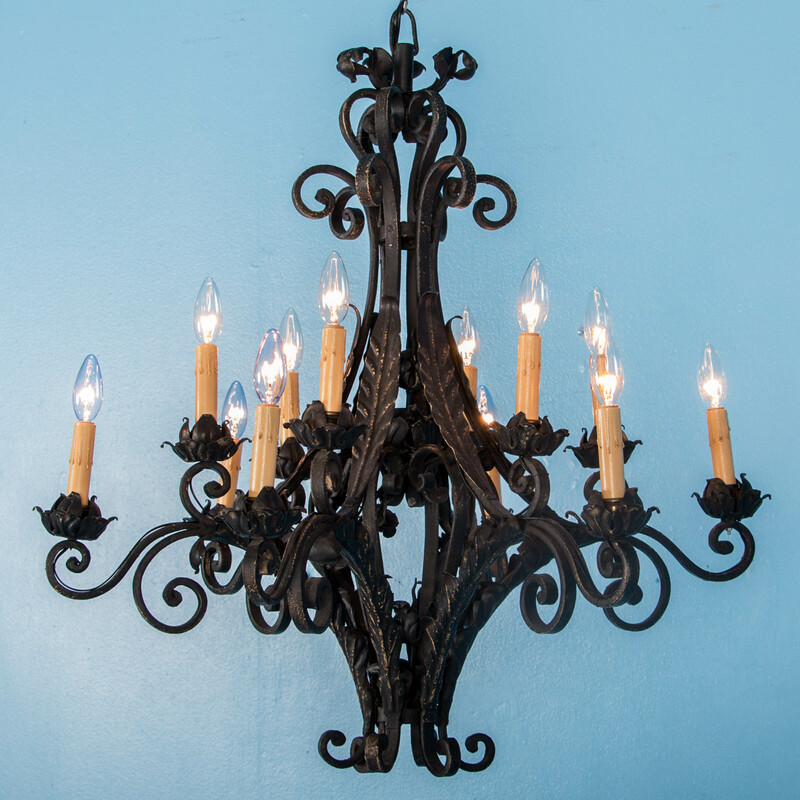 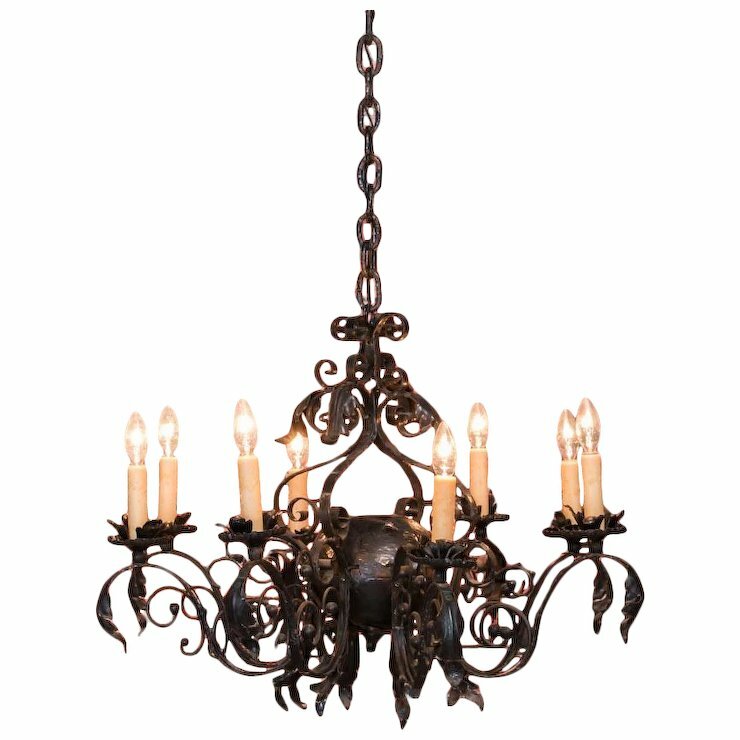 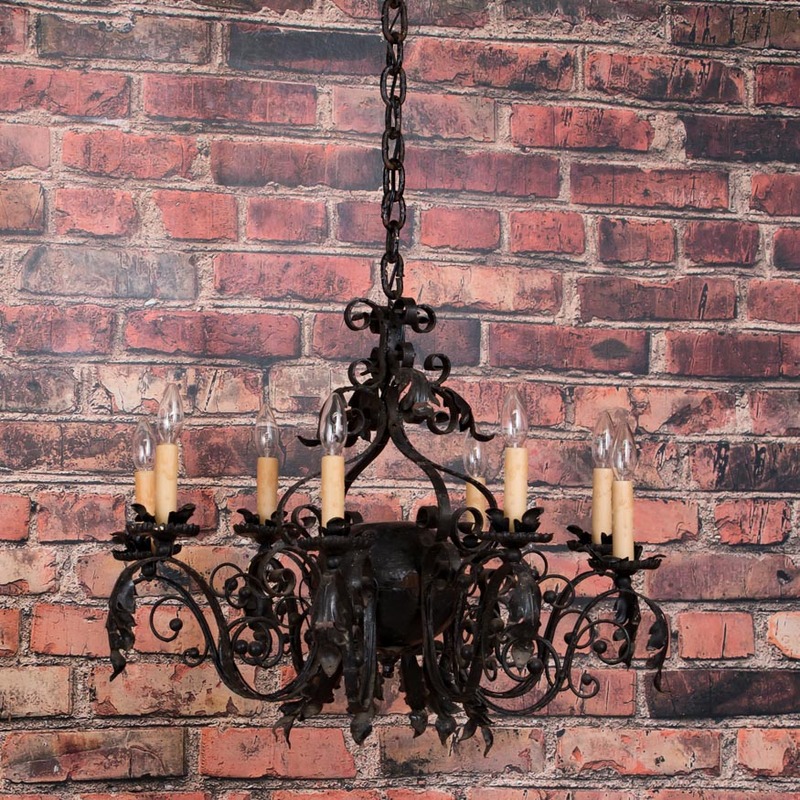 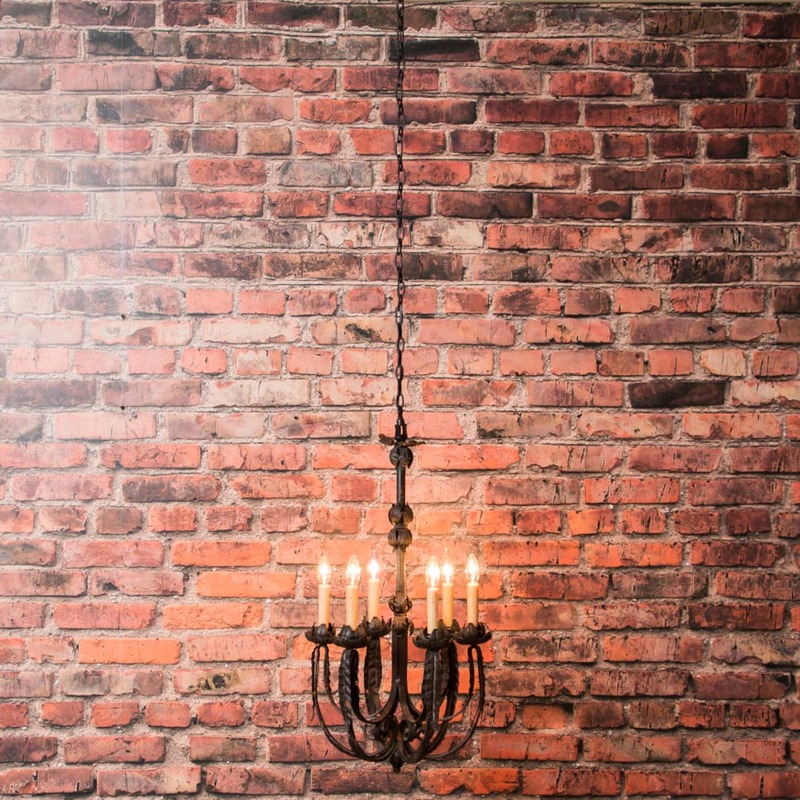 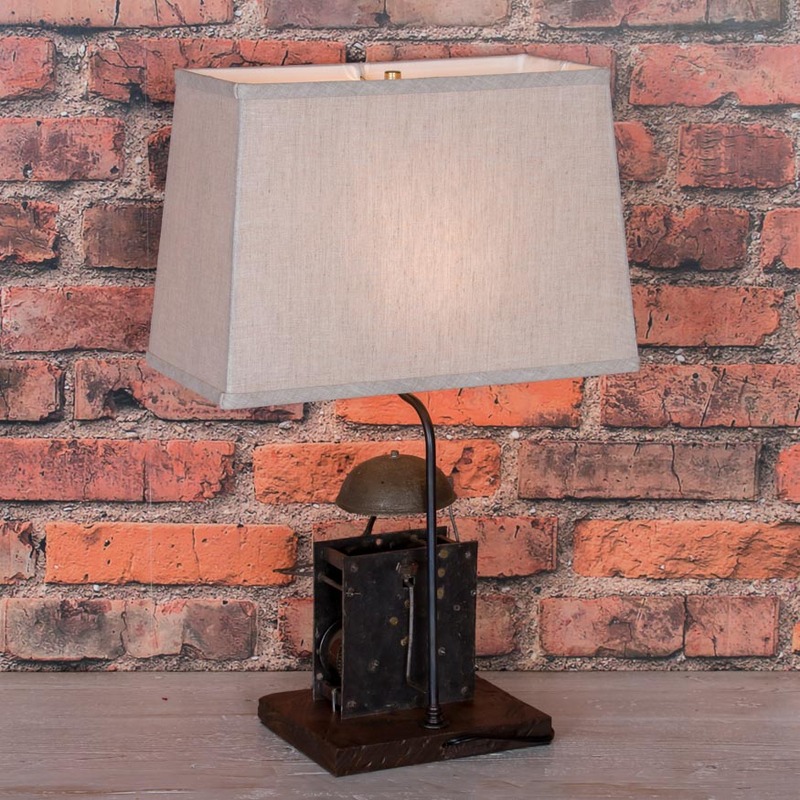 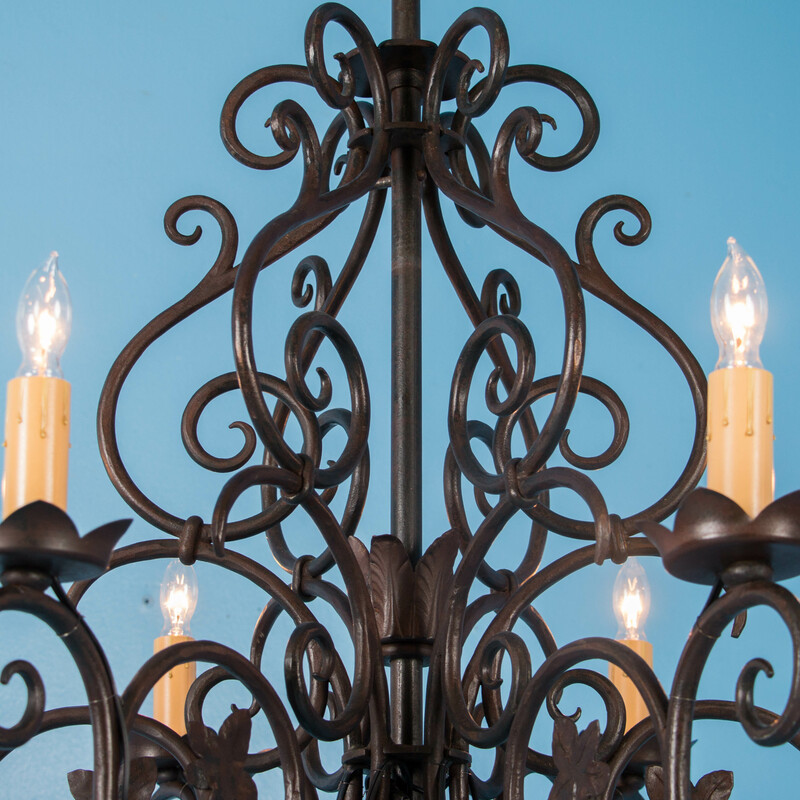 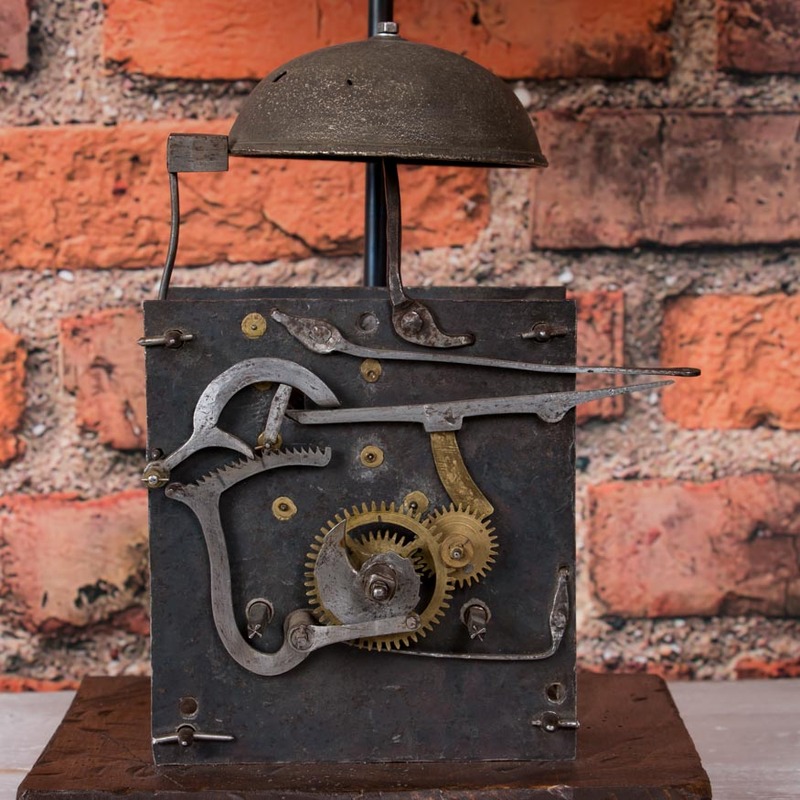 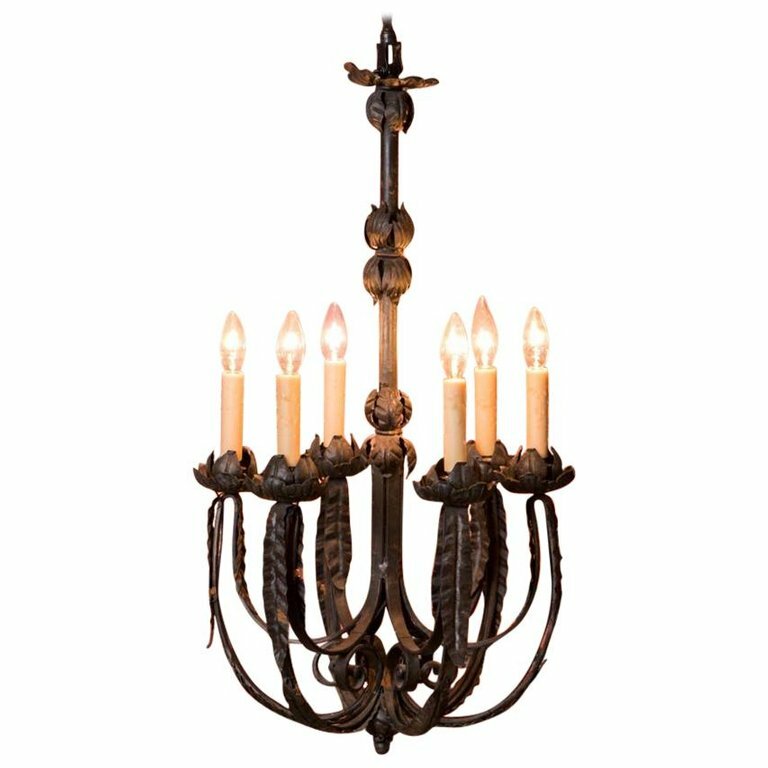 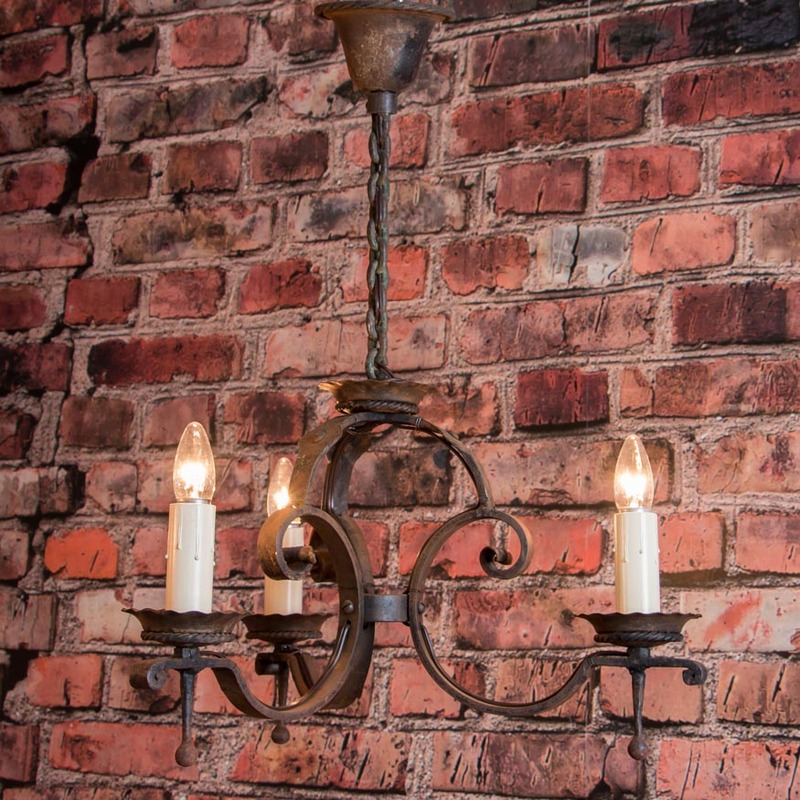 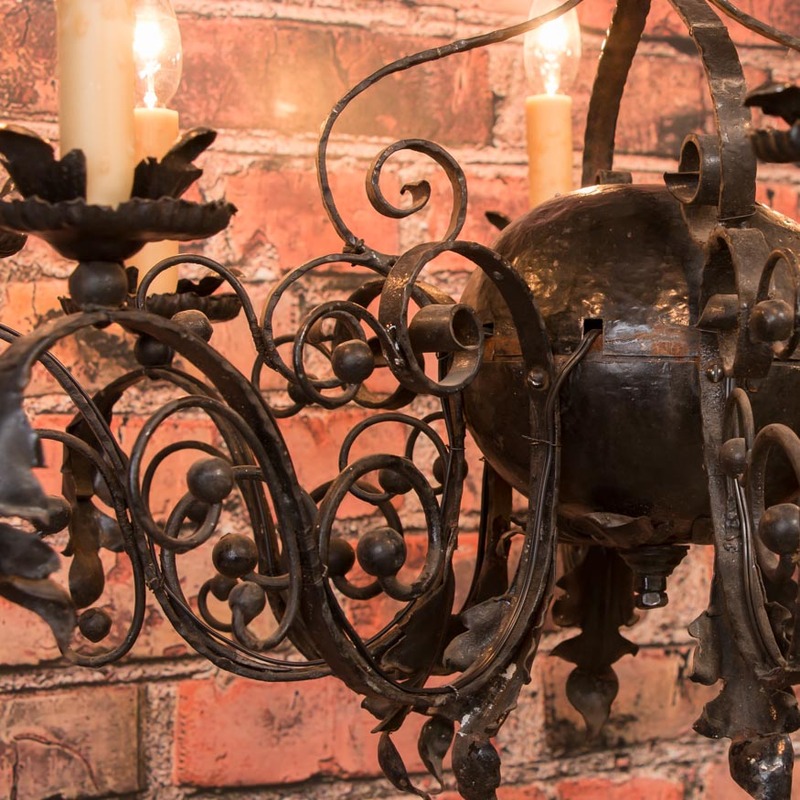 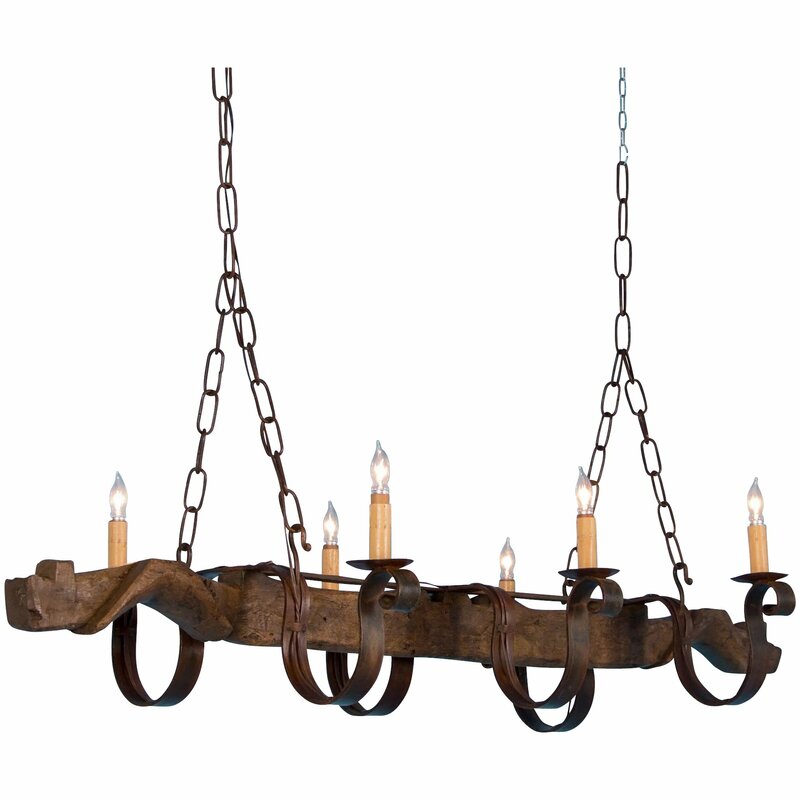 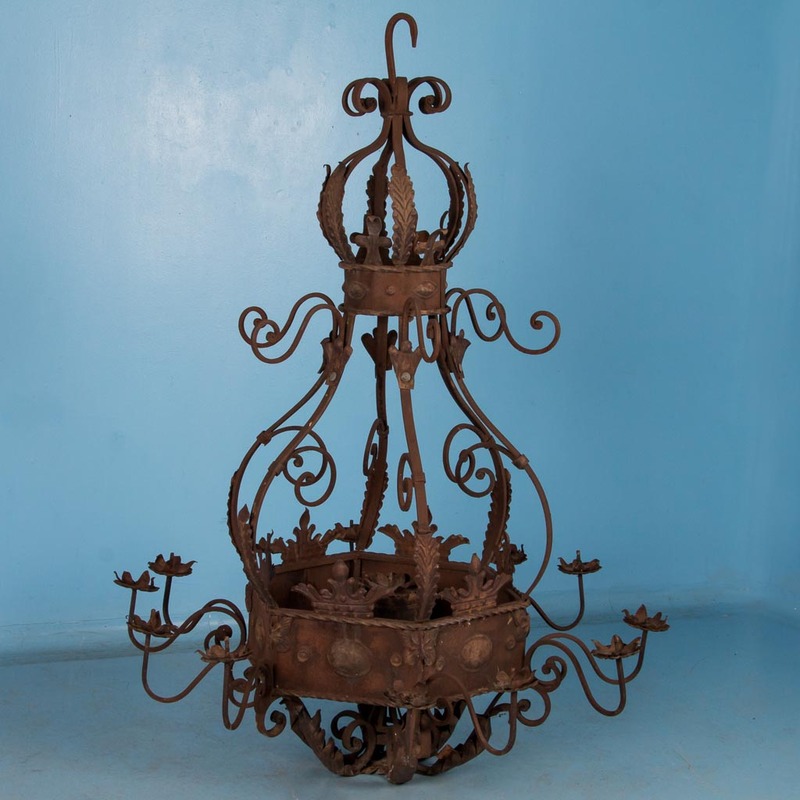 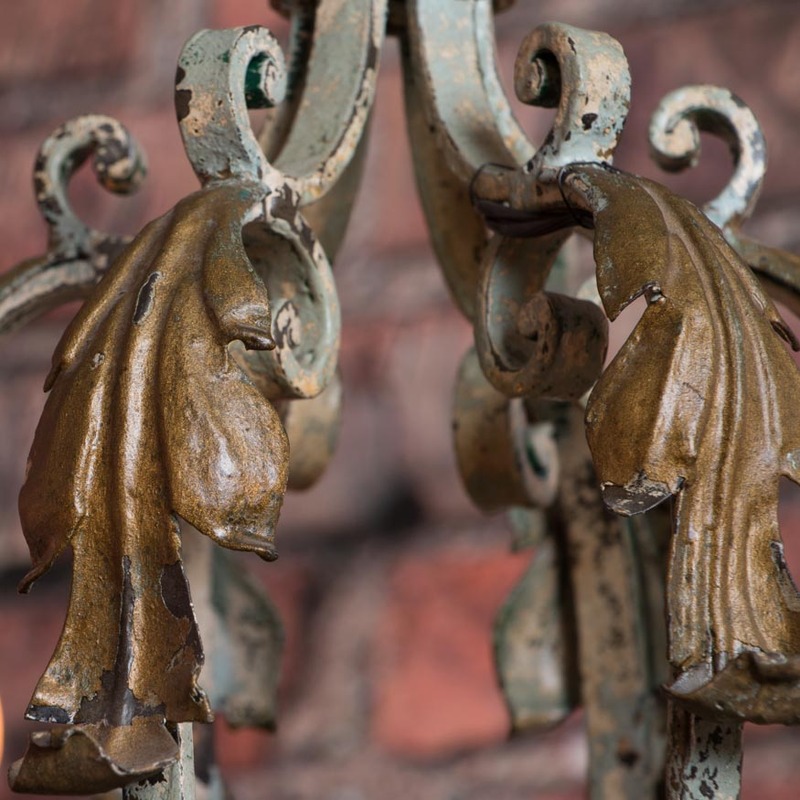 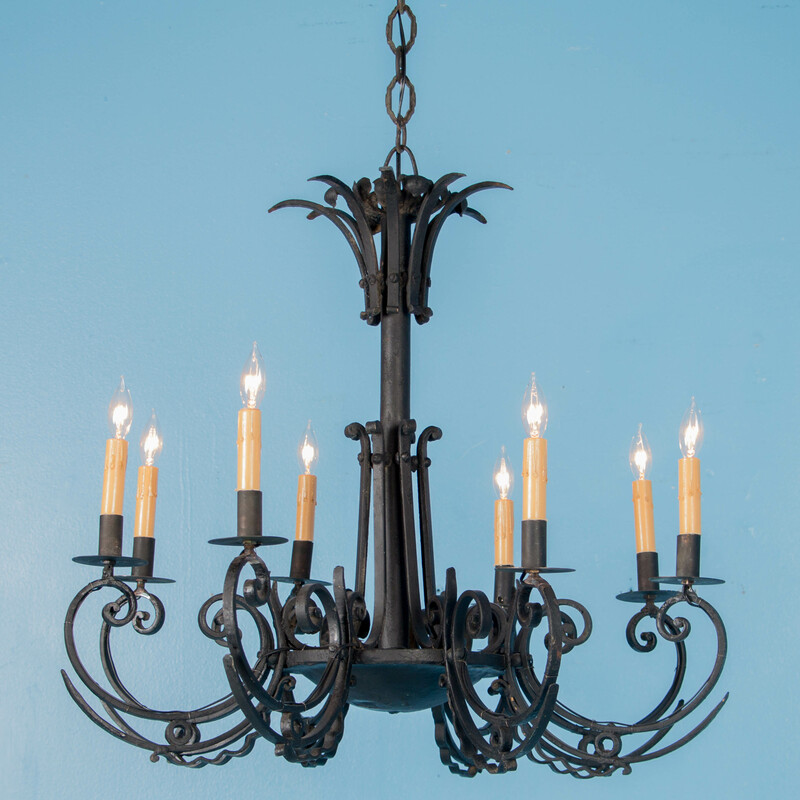 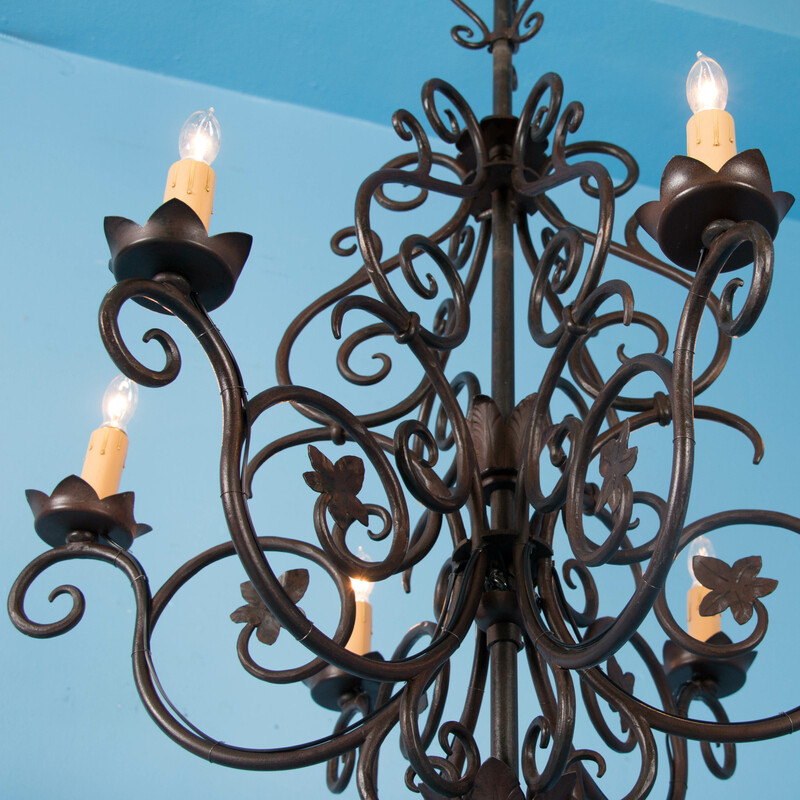 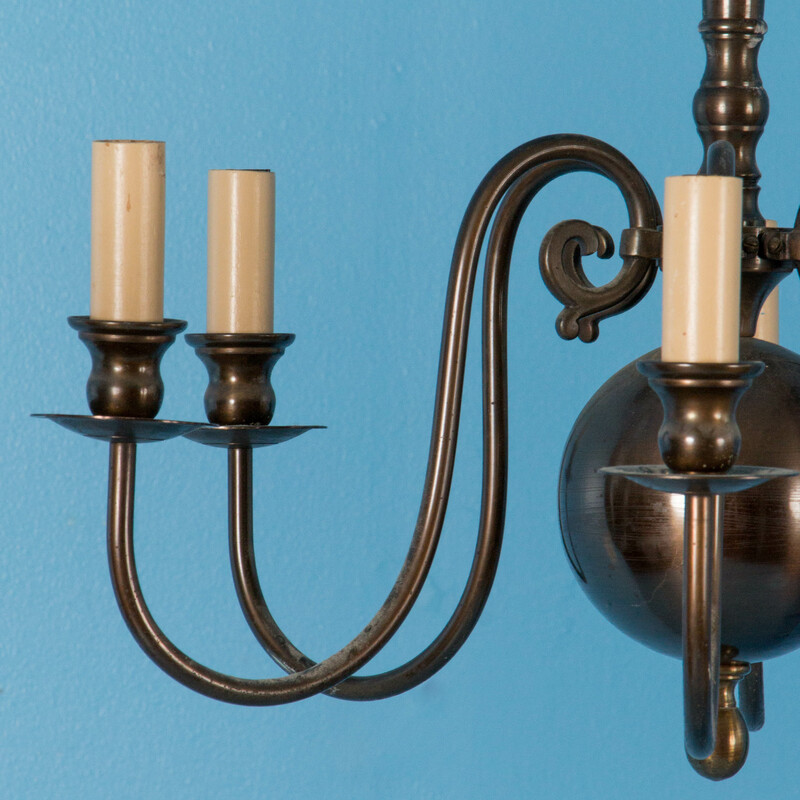 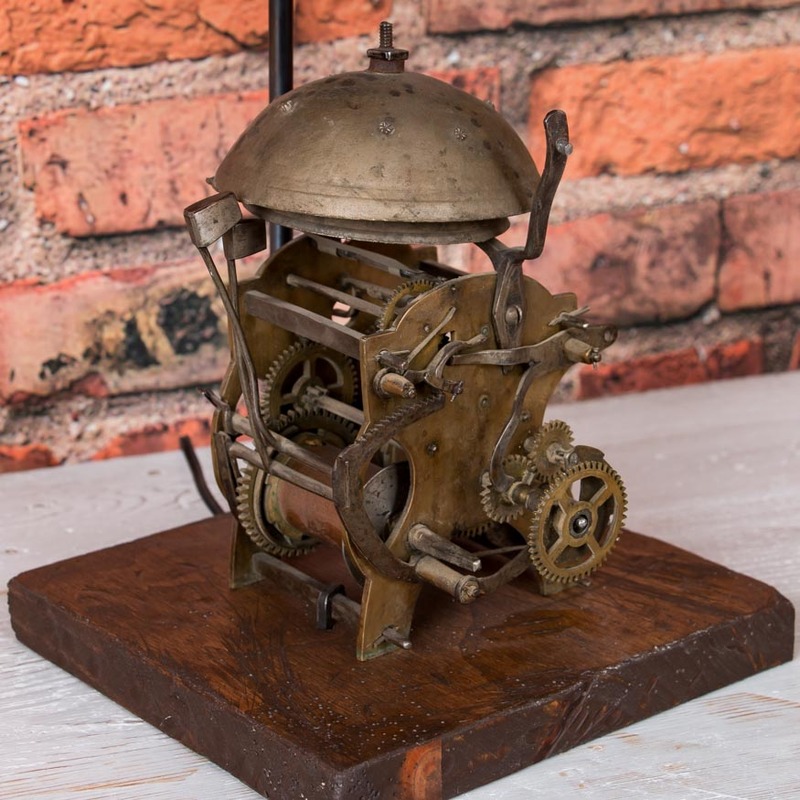 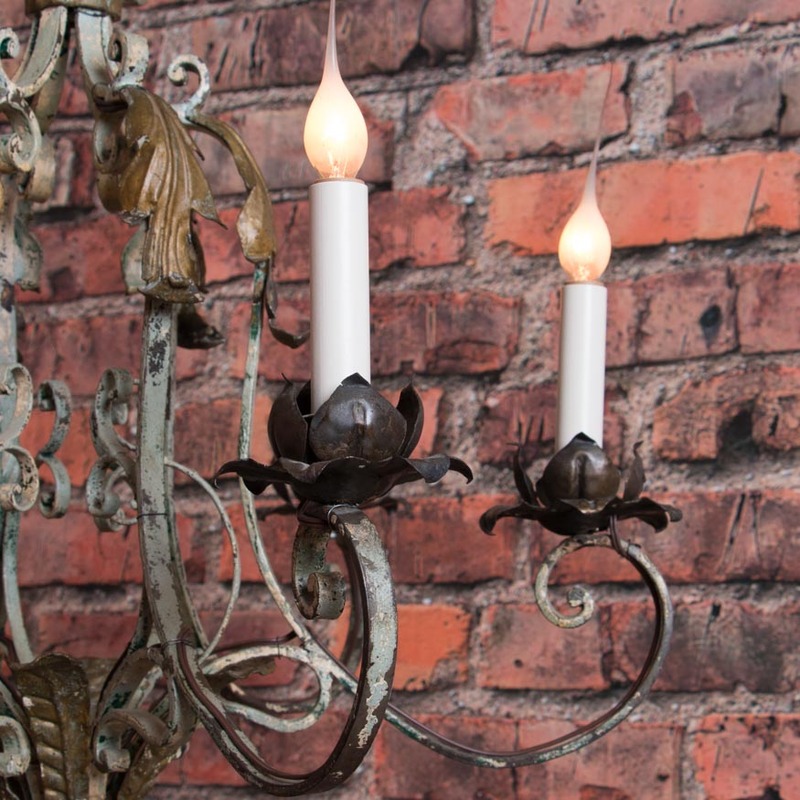 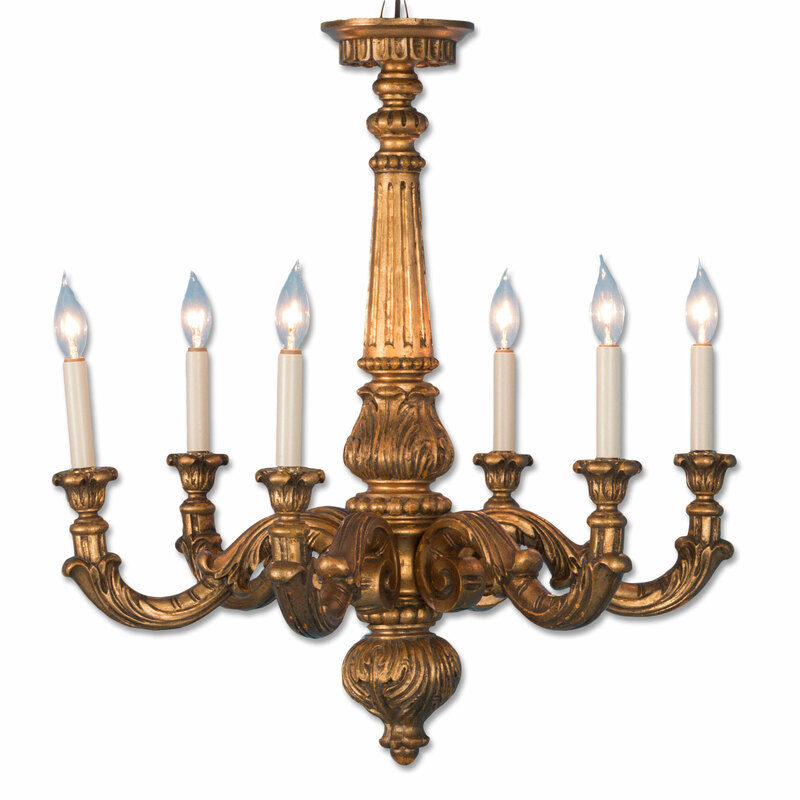 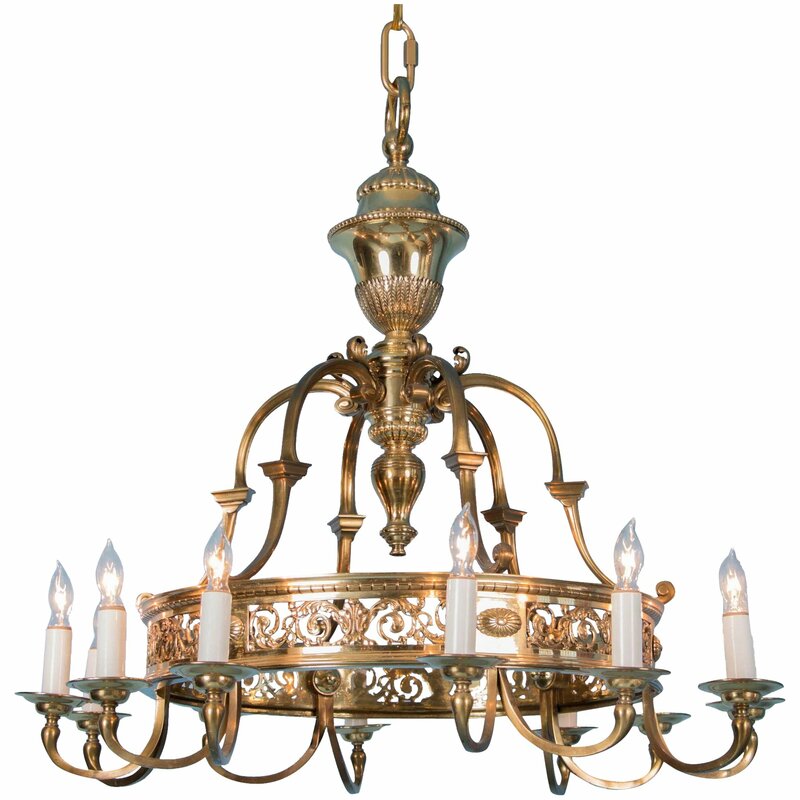 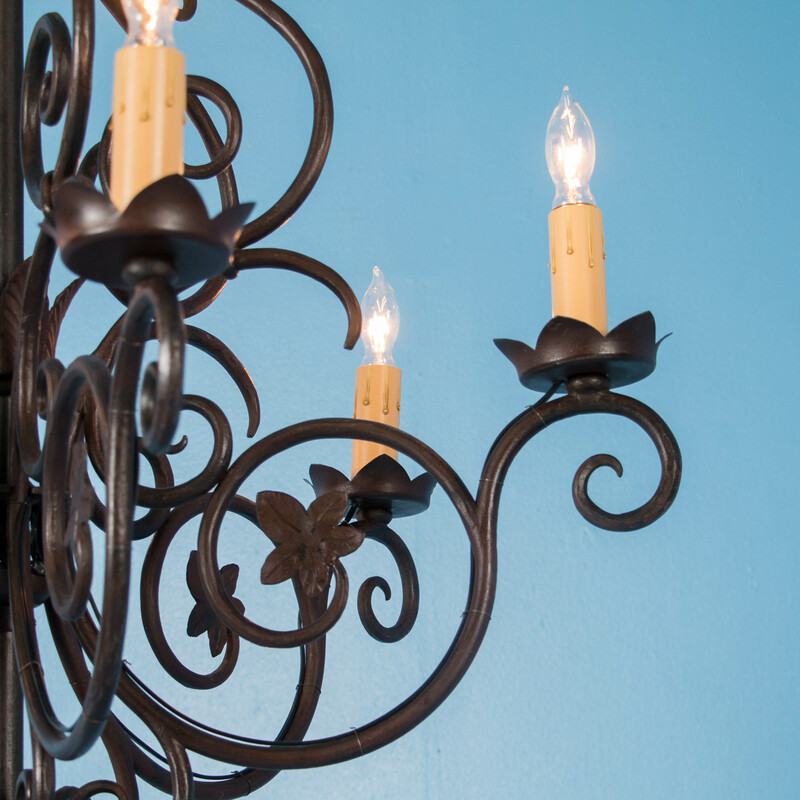 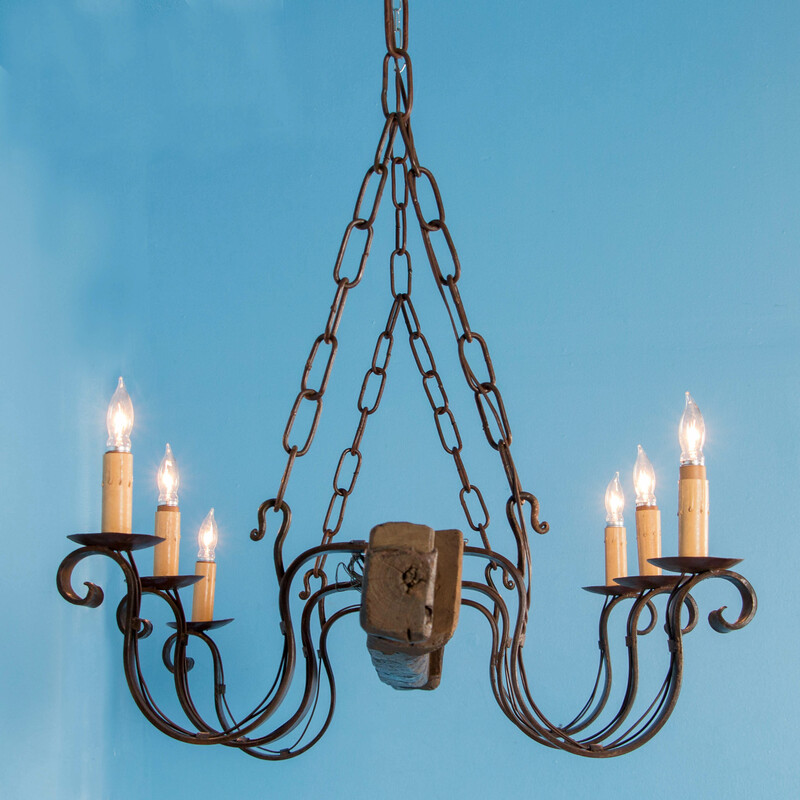 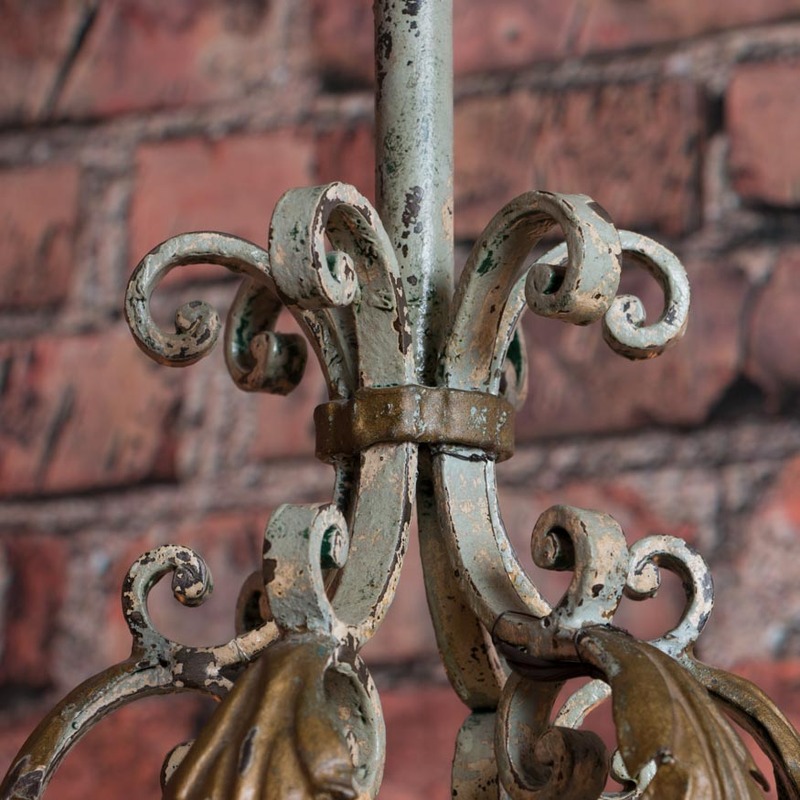 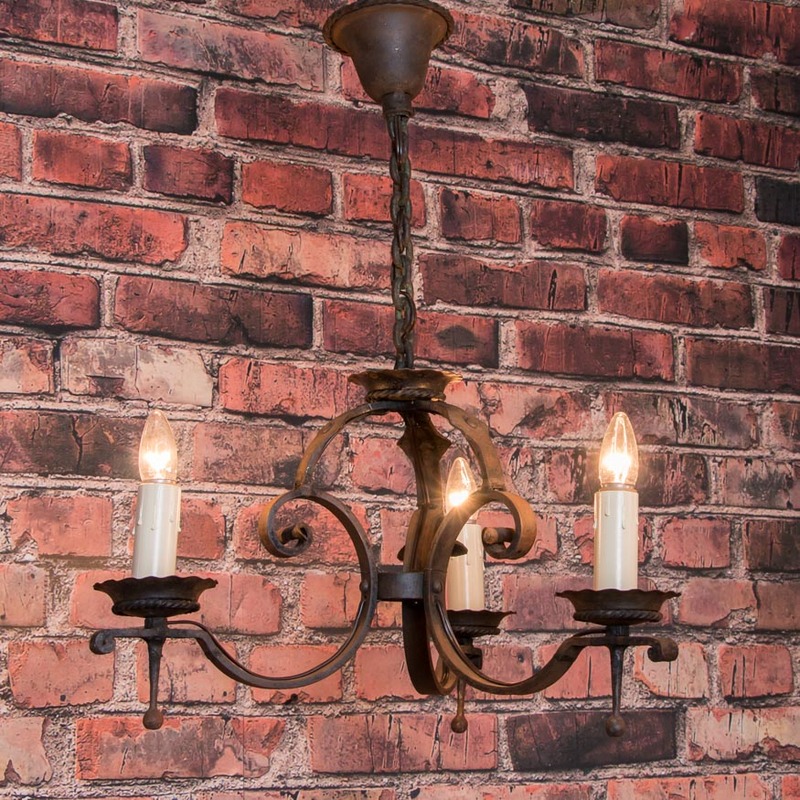 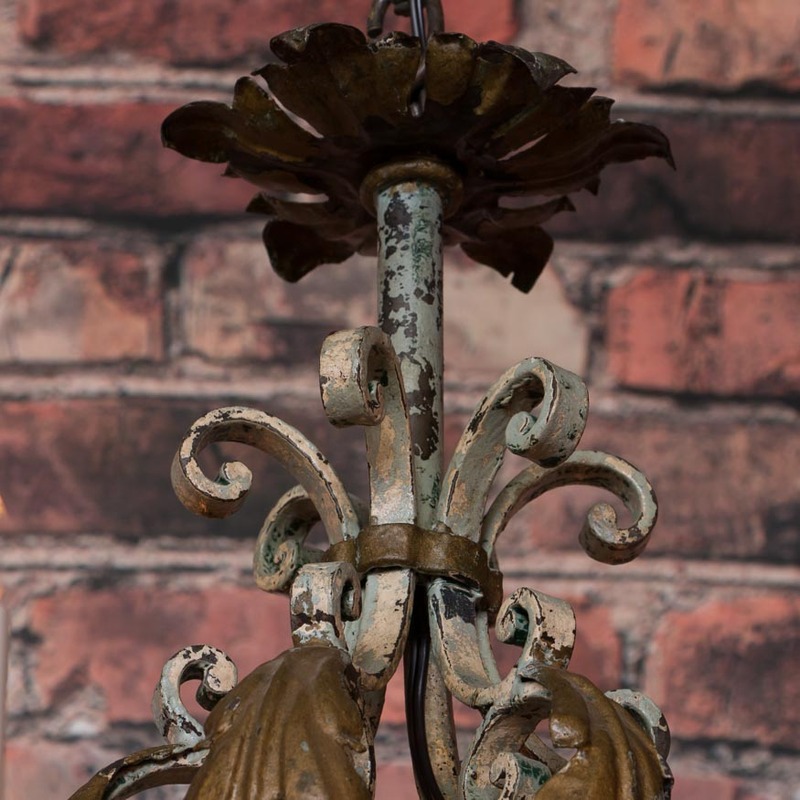 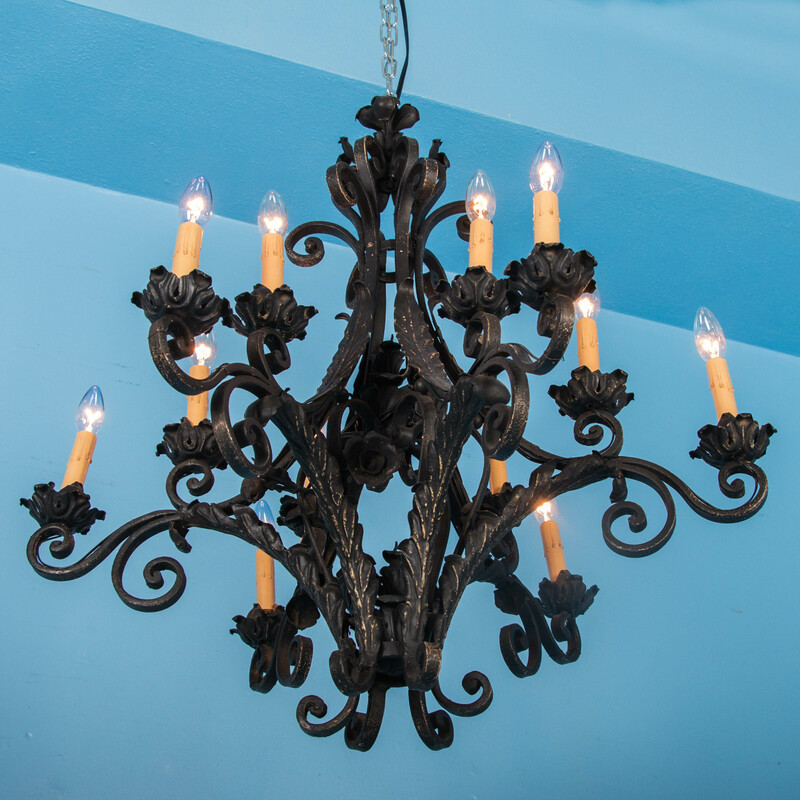 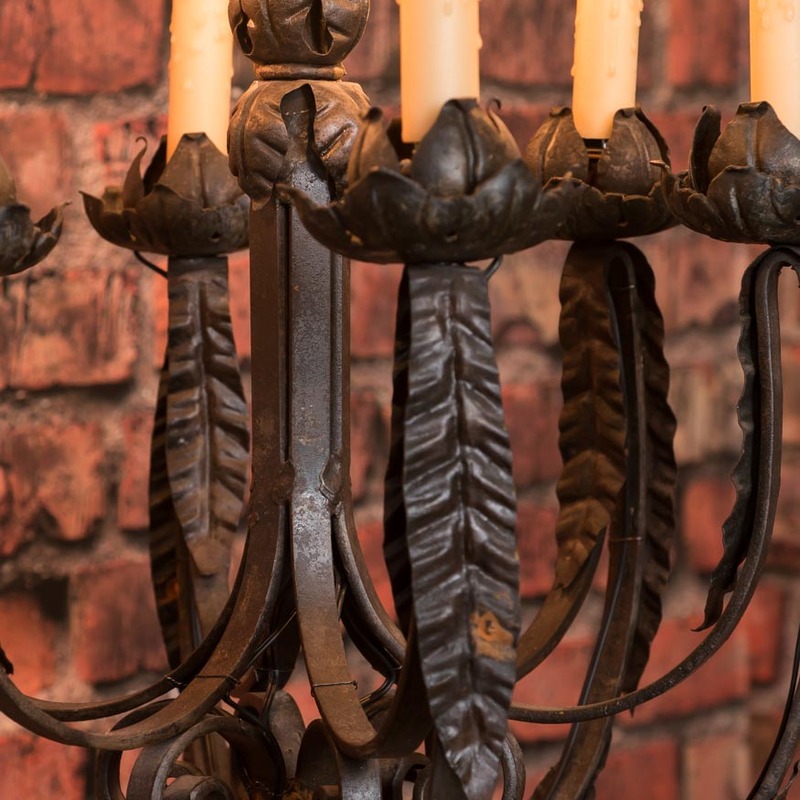 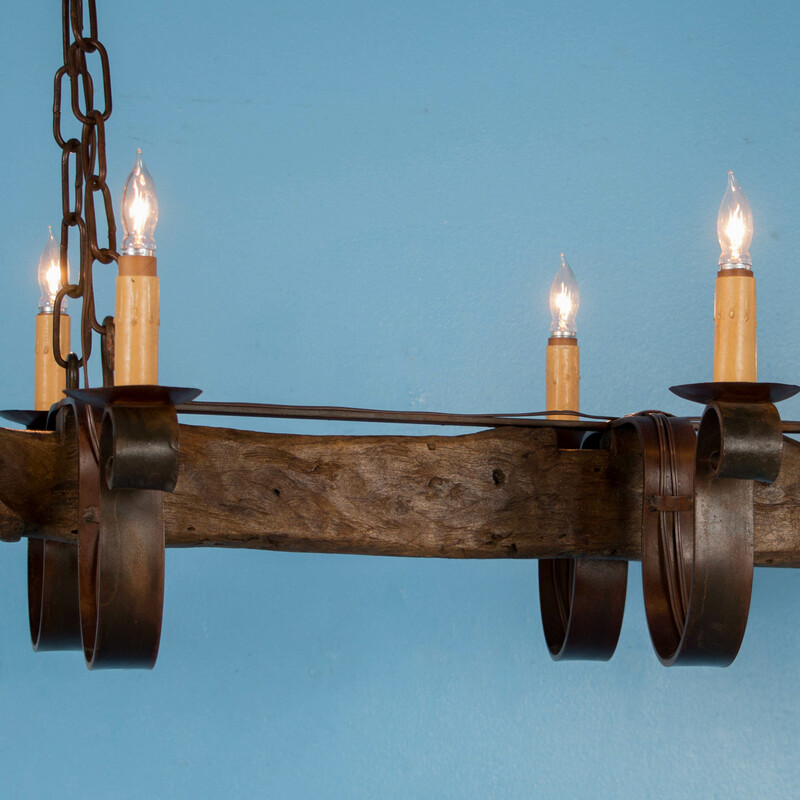 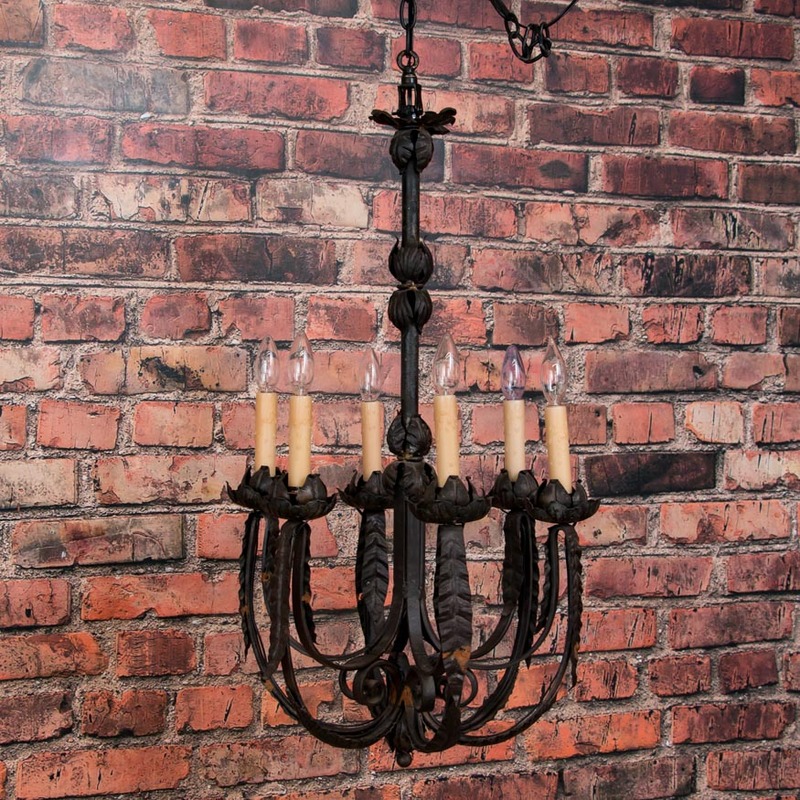 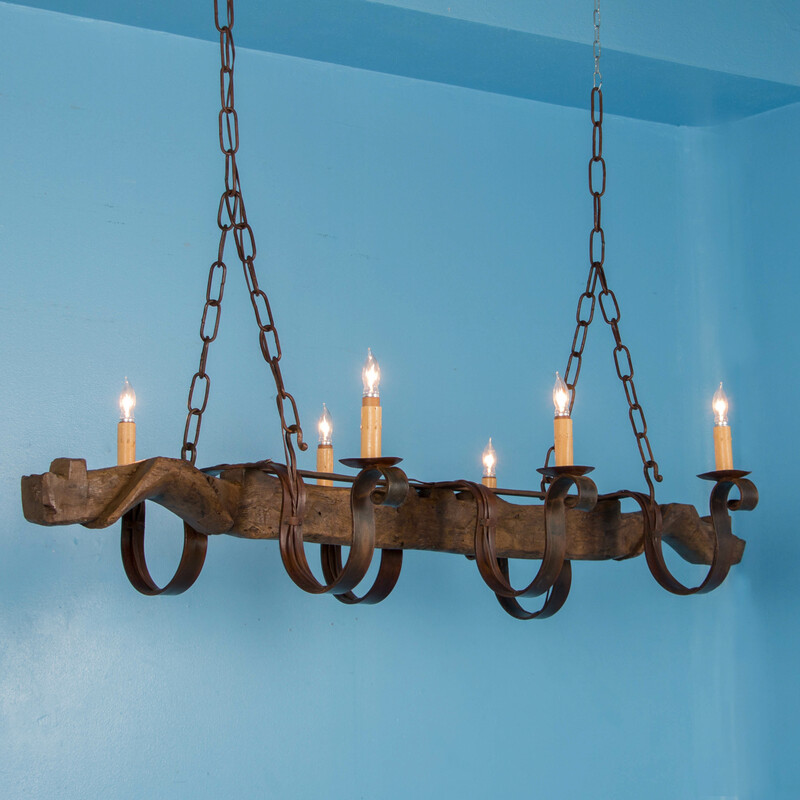 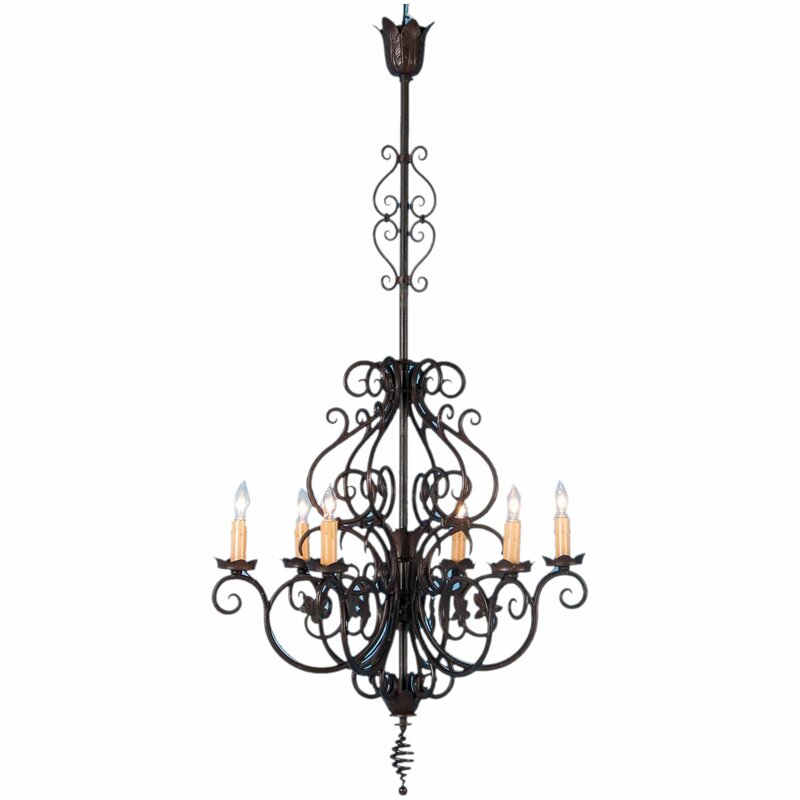 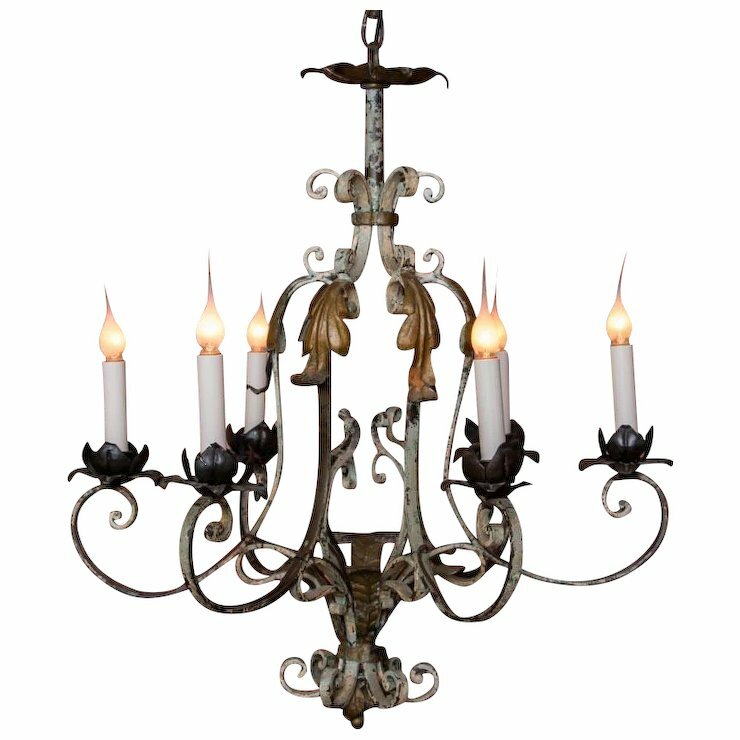 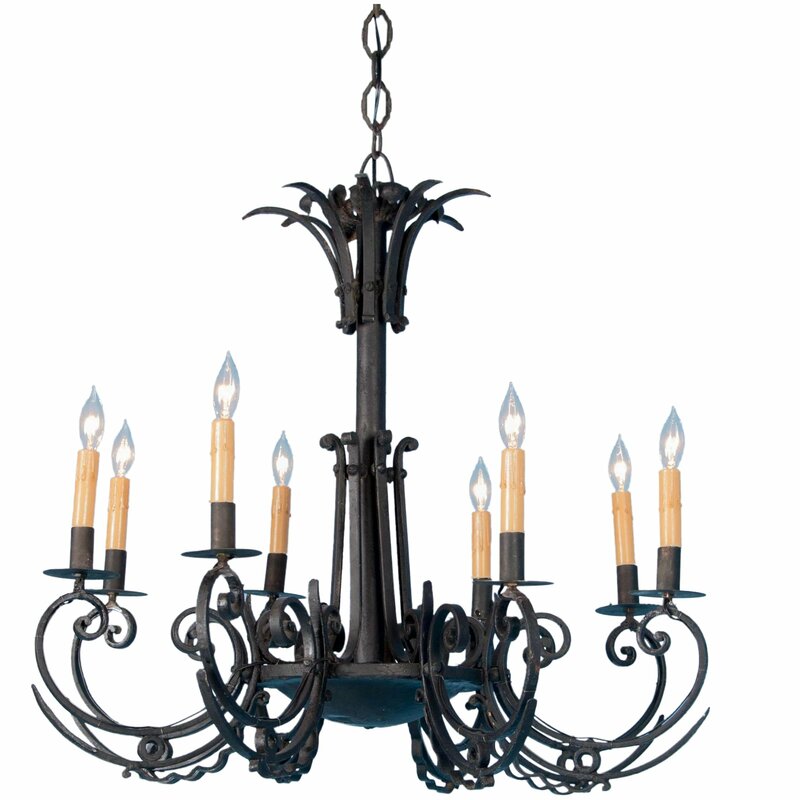 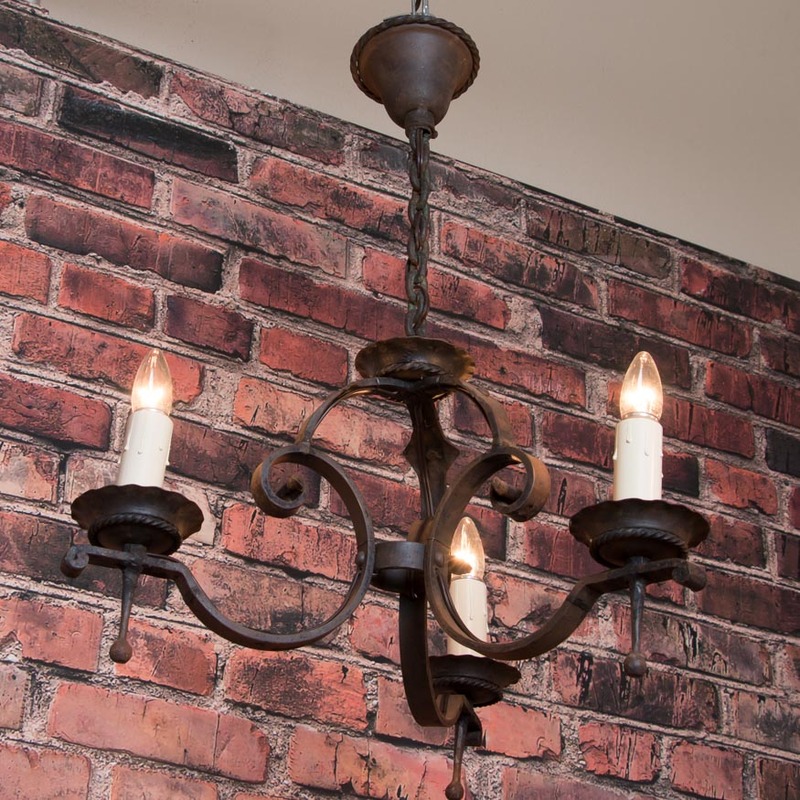 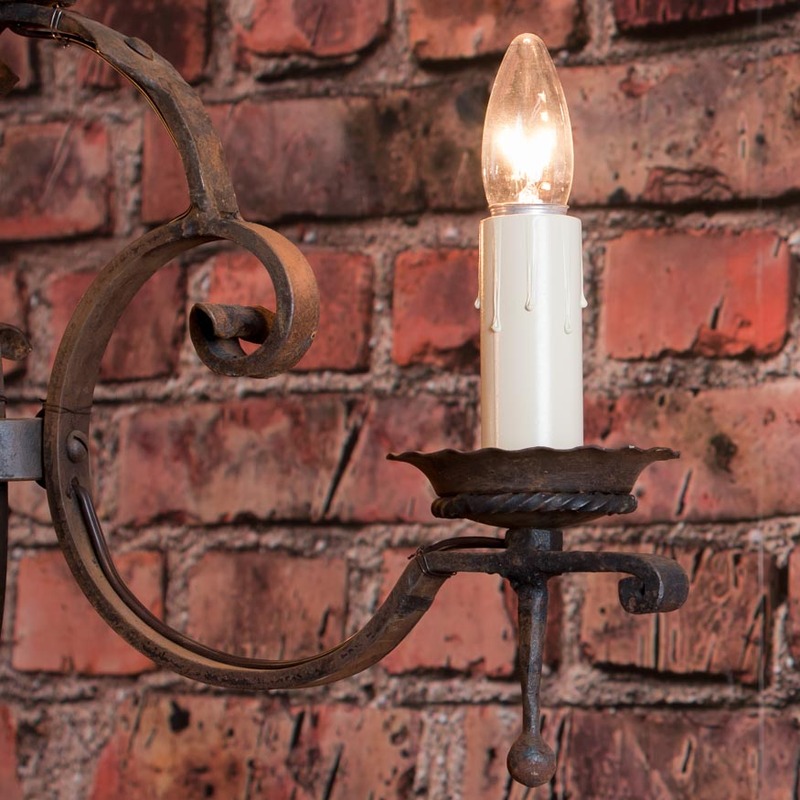 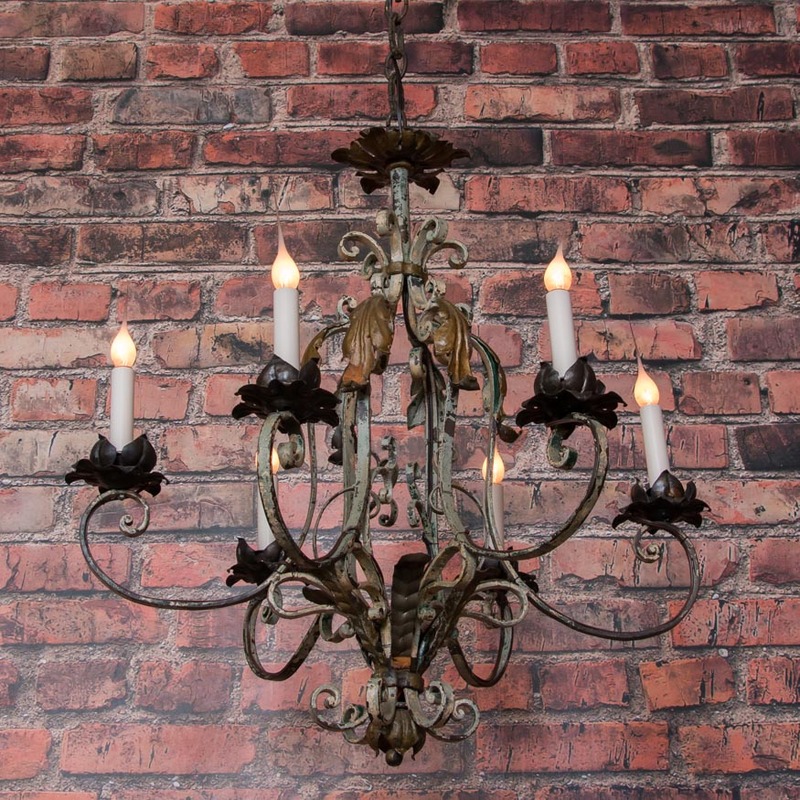 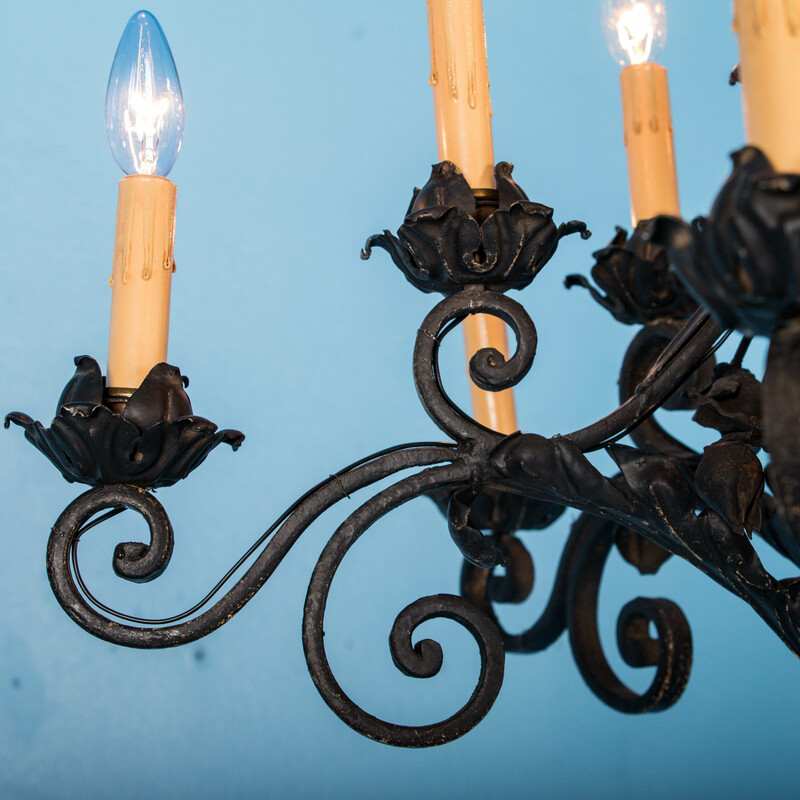 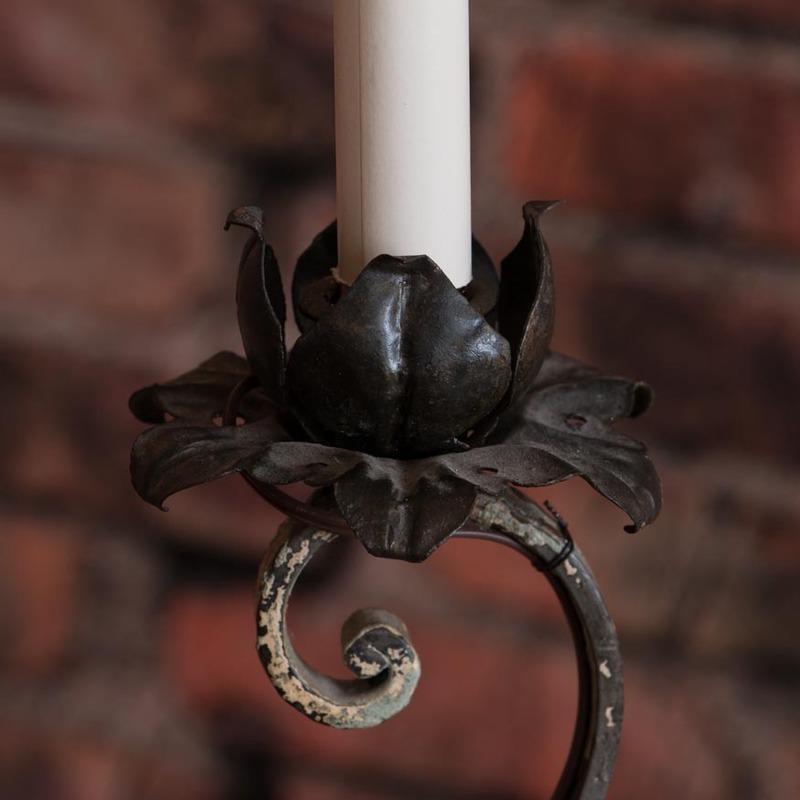 This large ornate iron chandelier from France with it's rusted finish and 12 lights, stands over six feet tall. 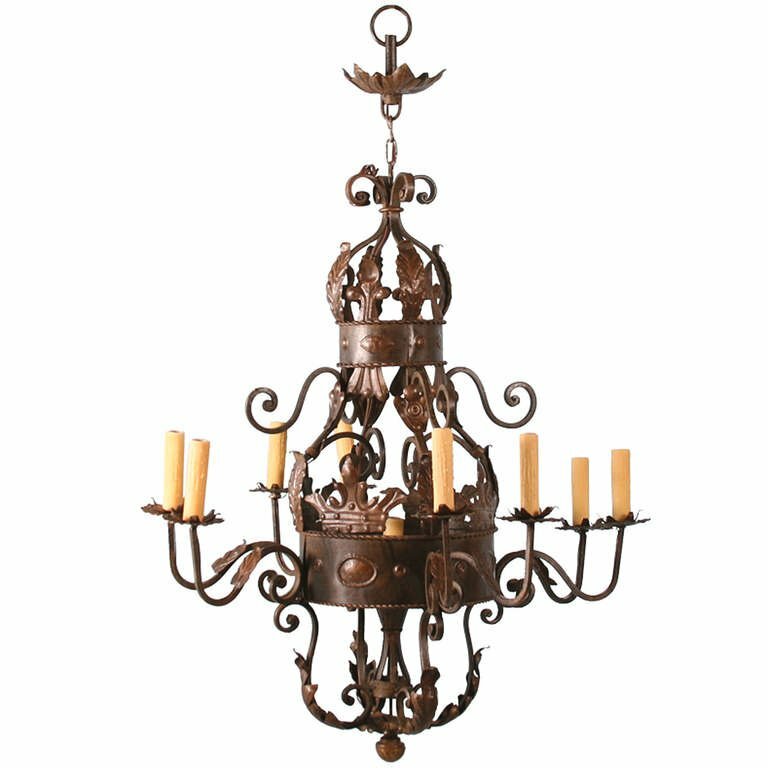 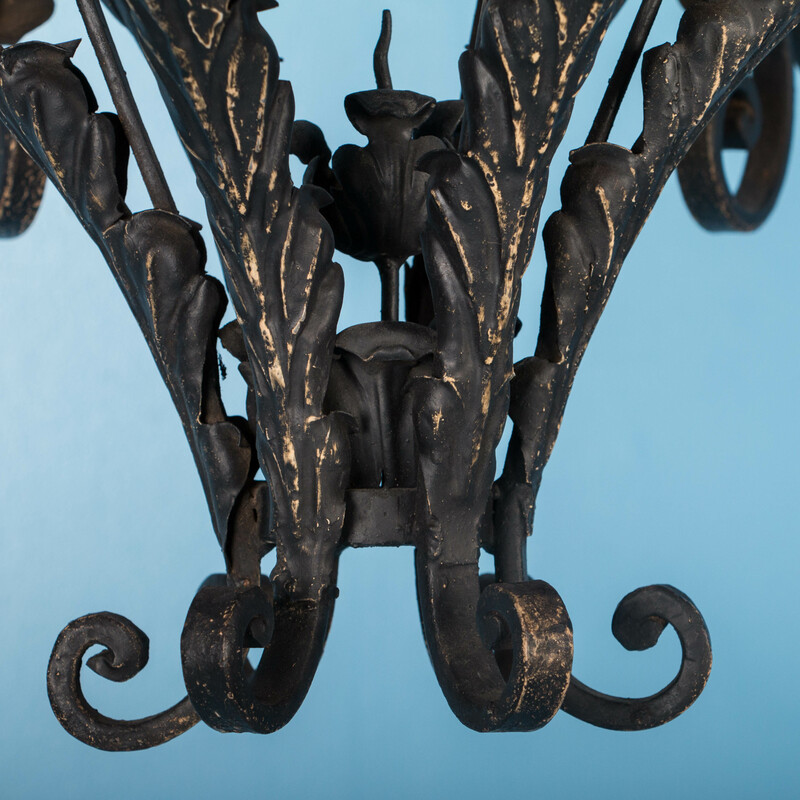 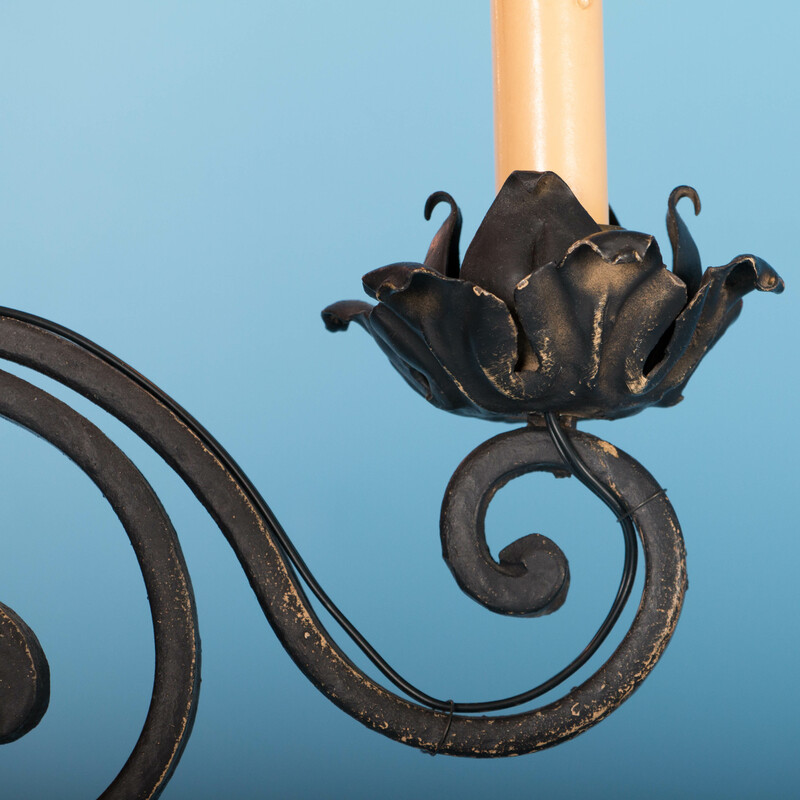 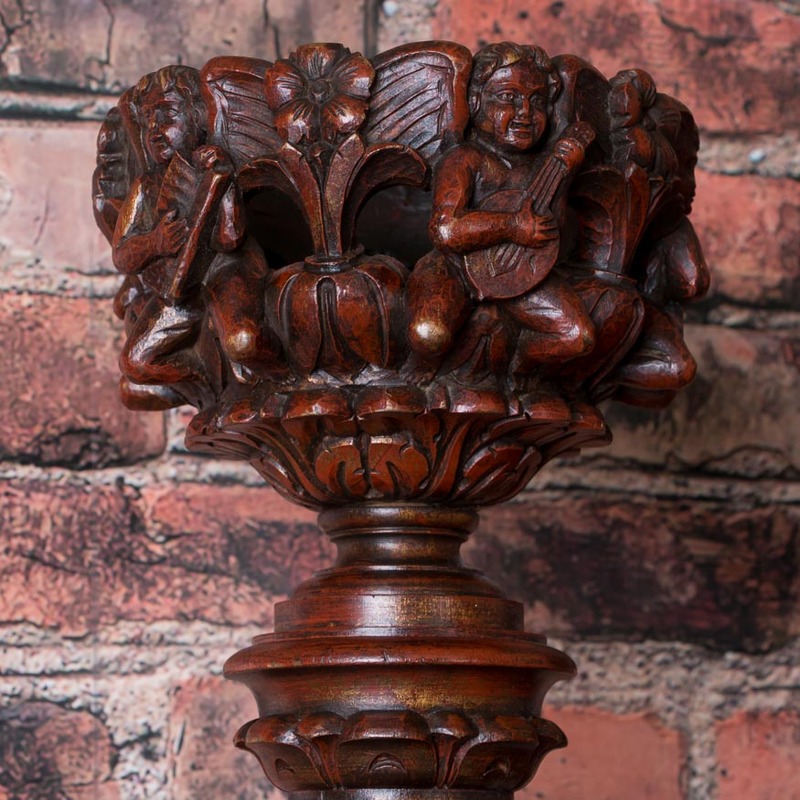 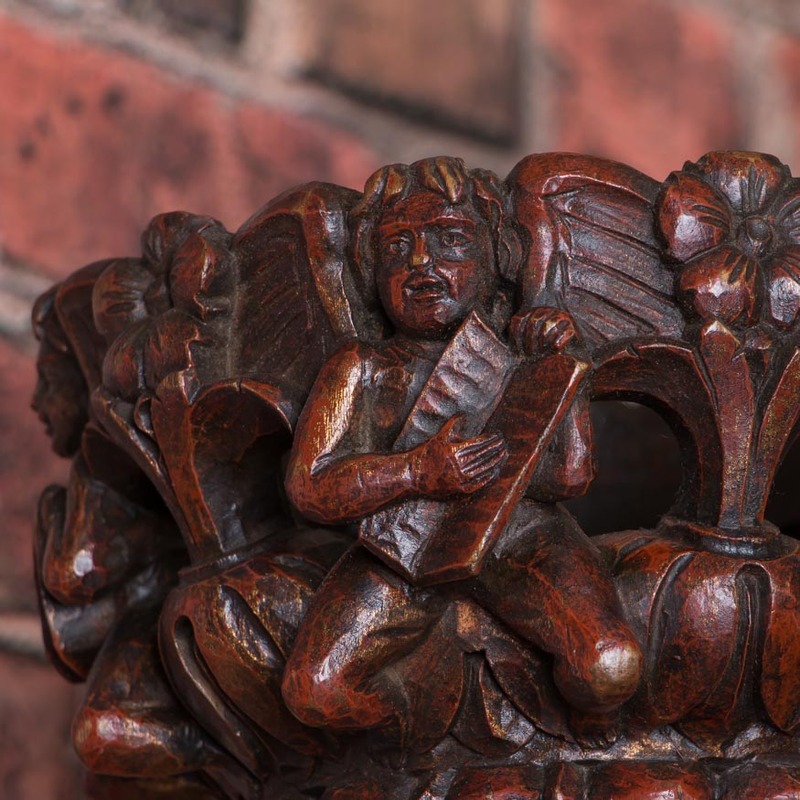 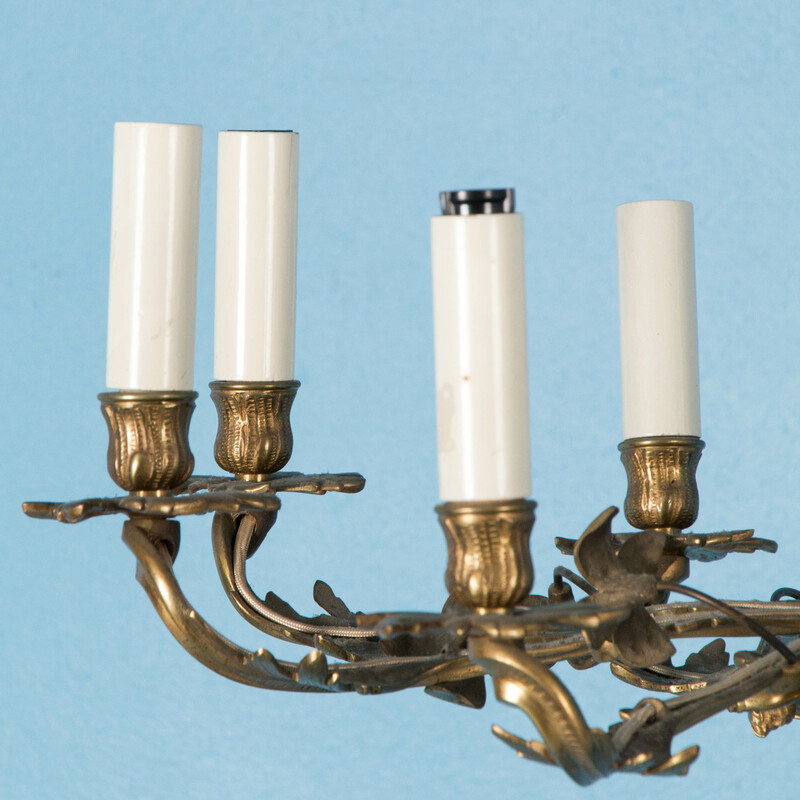 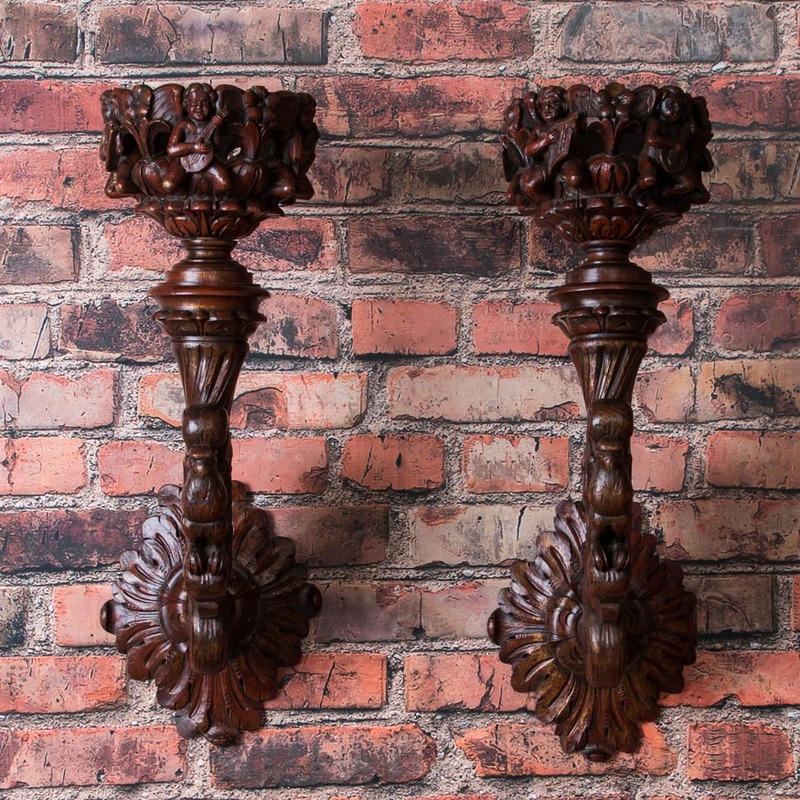 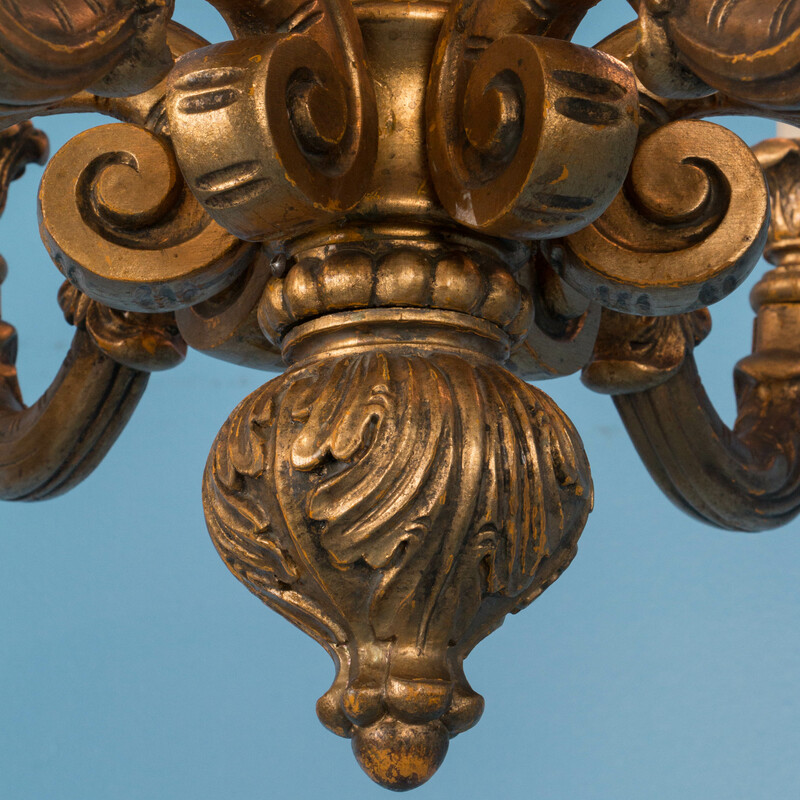 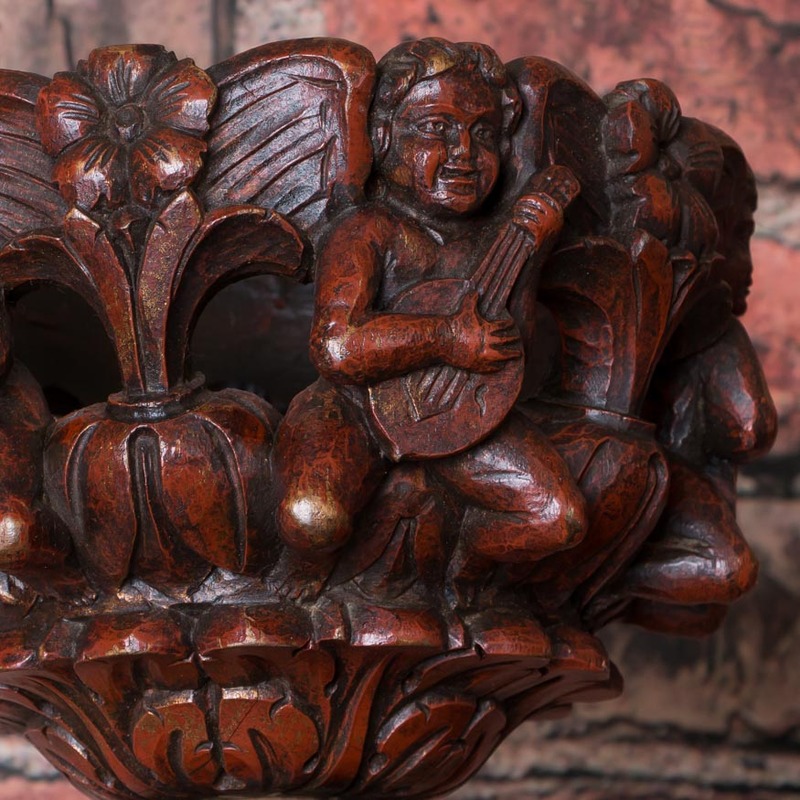 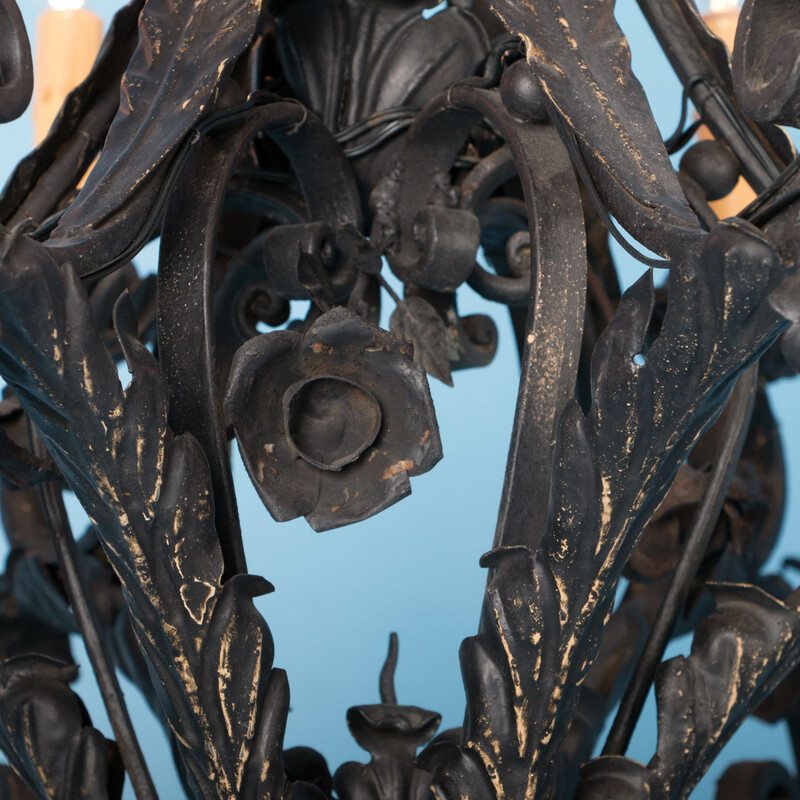 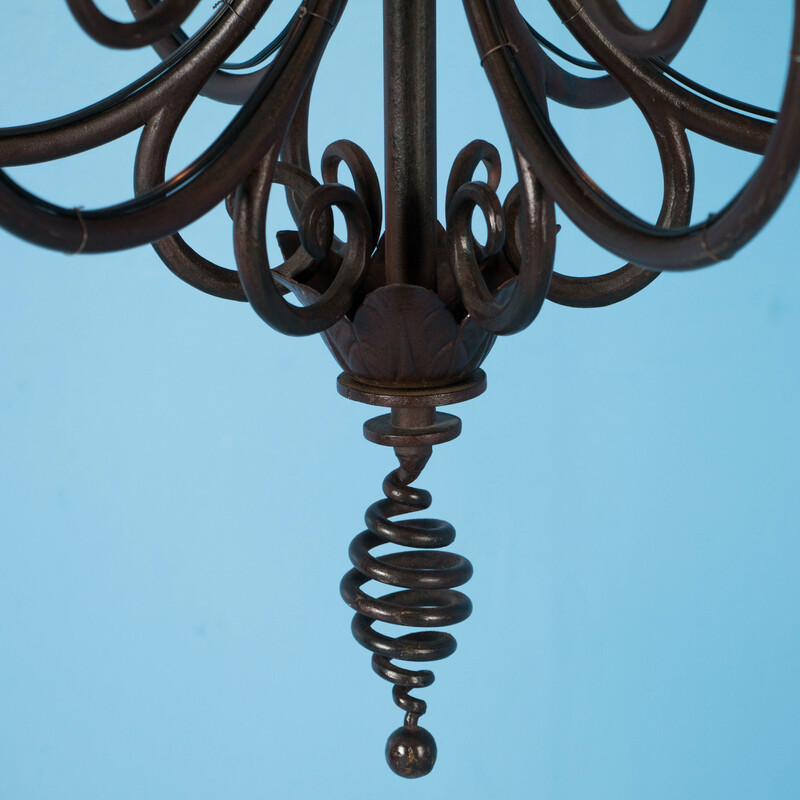 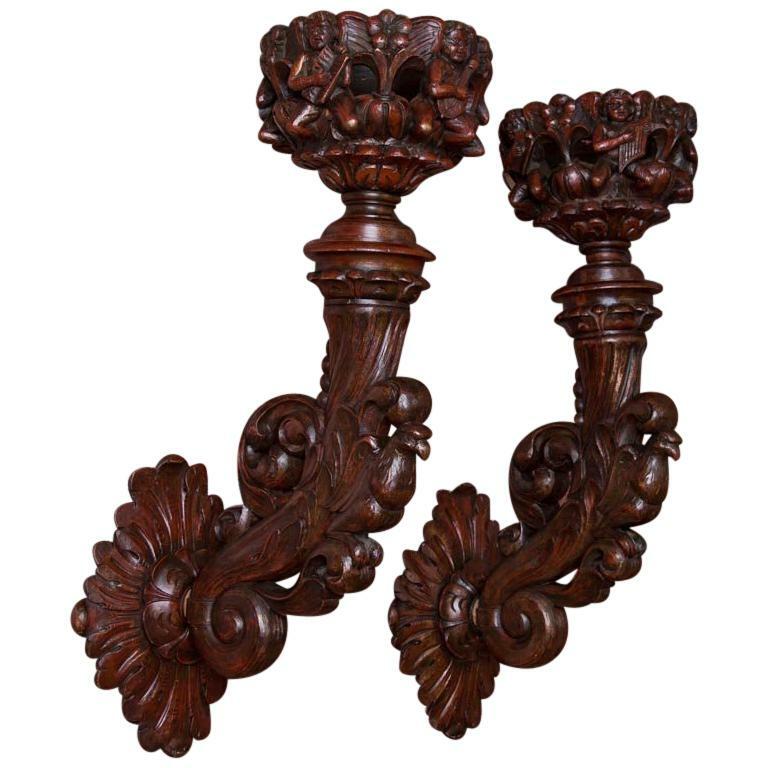 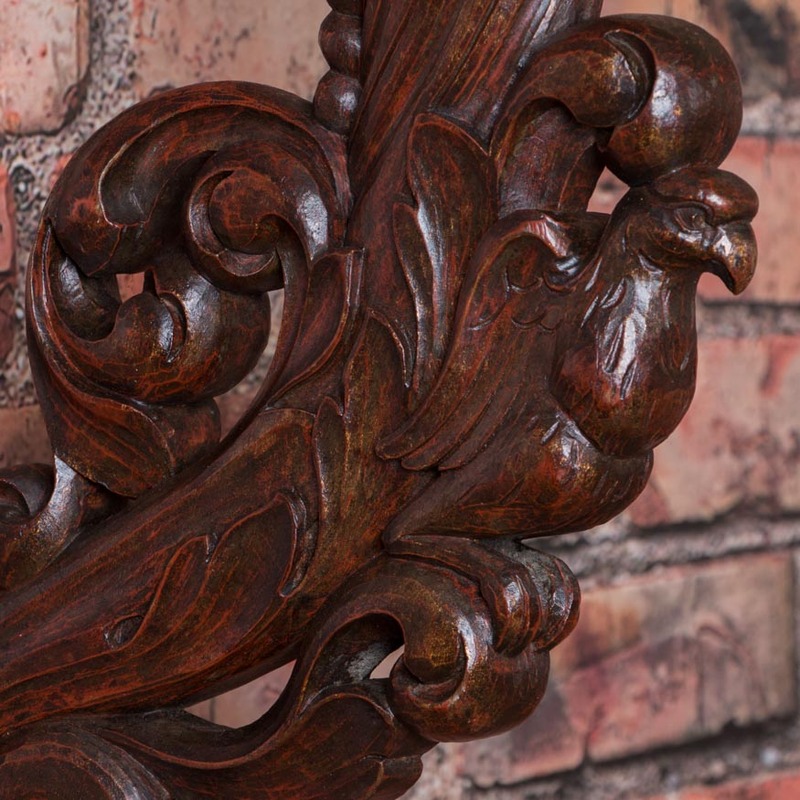 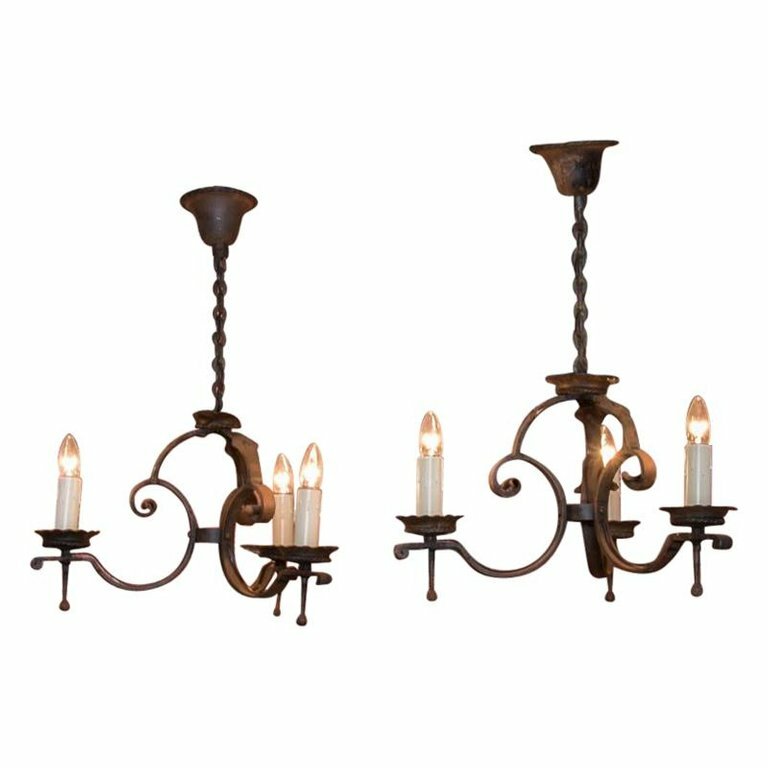 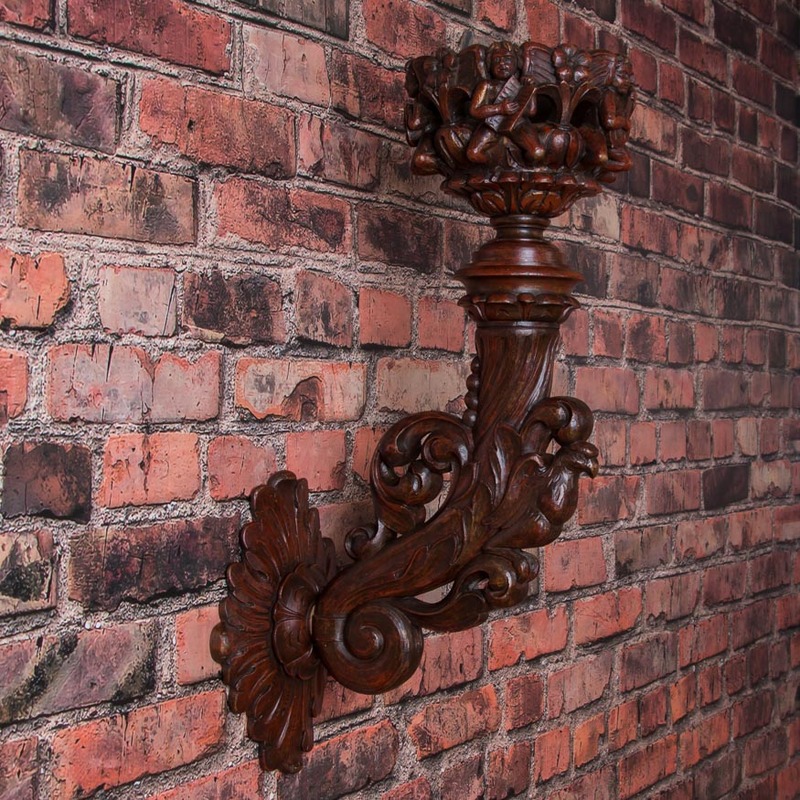 The six arms and drop finial on this antique Danish chandelier, are extensively carved with leaves, flourishes and a fluted center column. 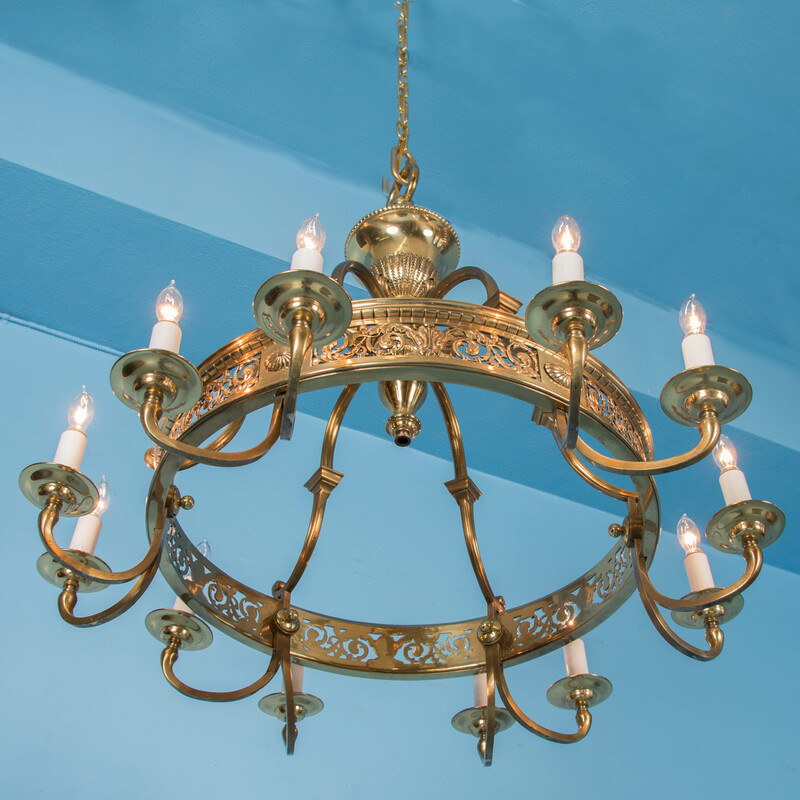 The chandelier has been rewired and is ready to hang. 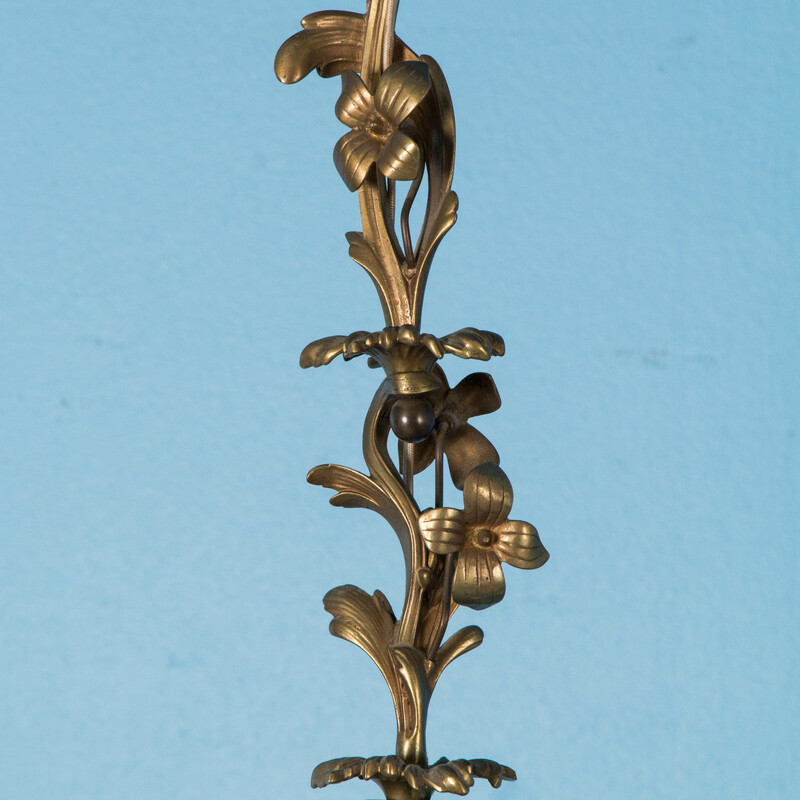 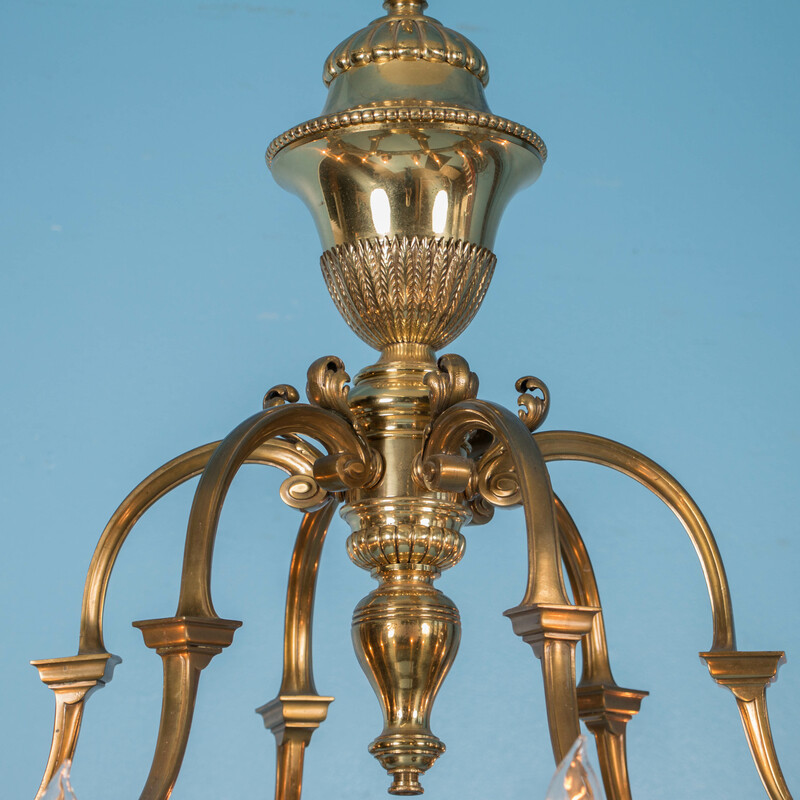 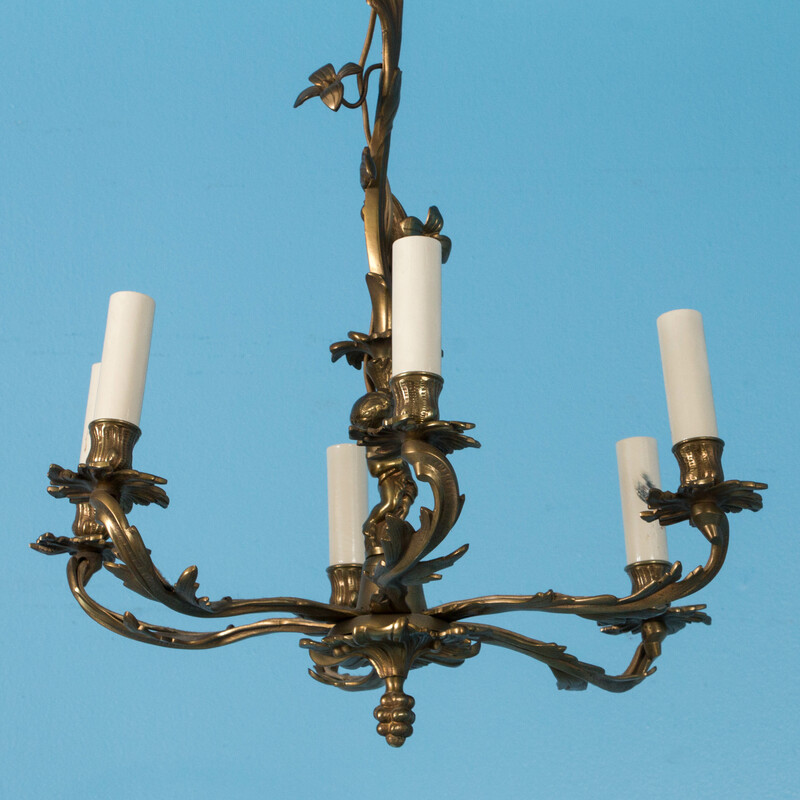 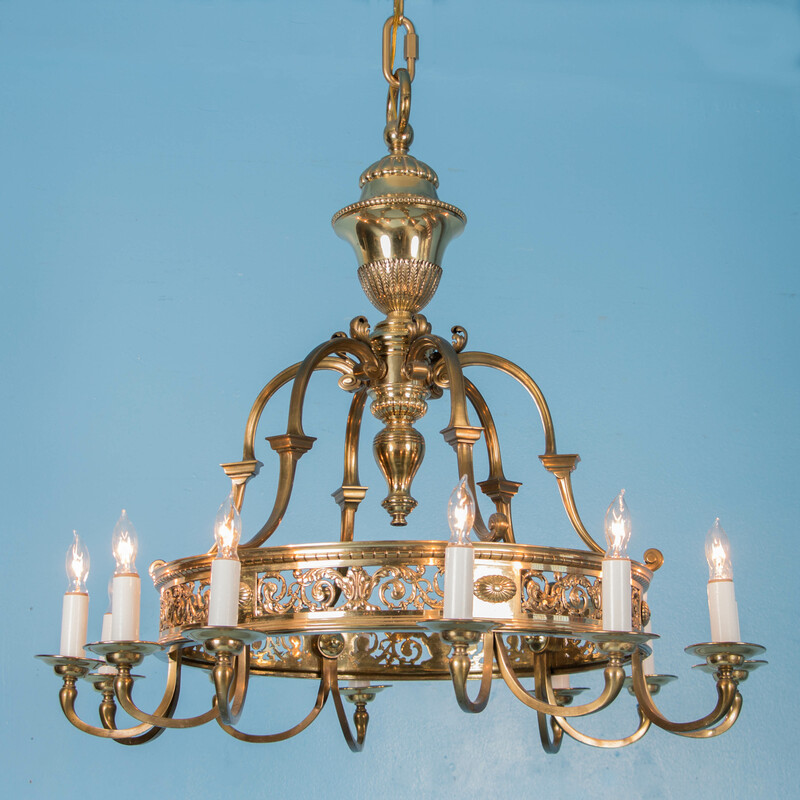 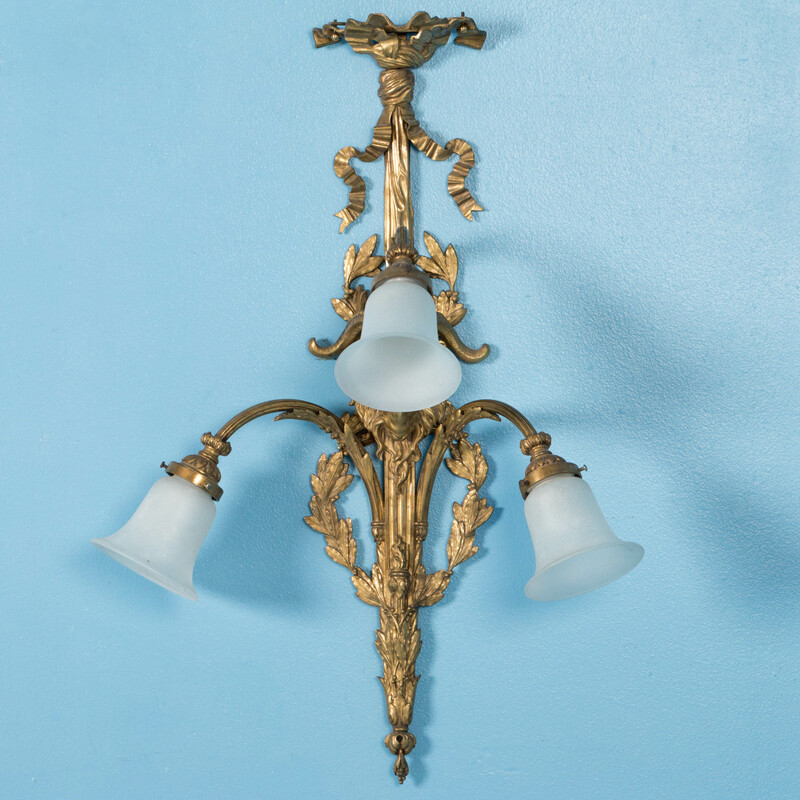 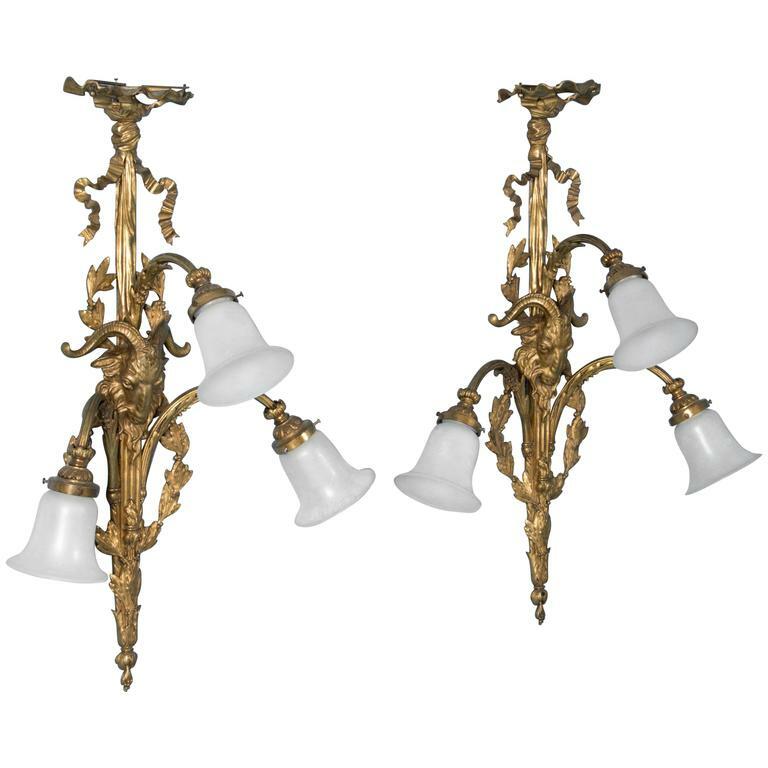 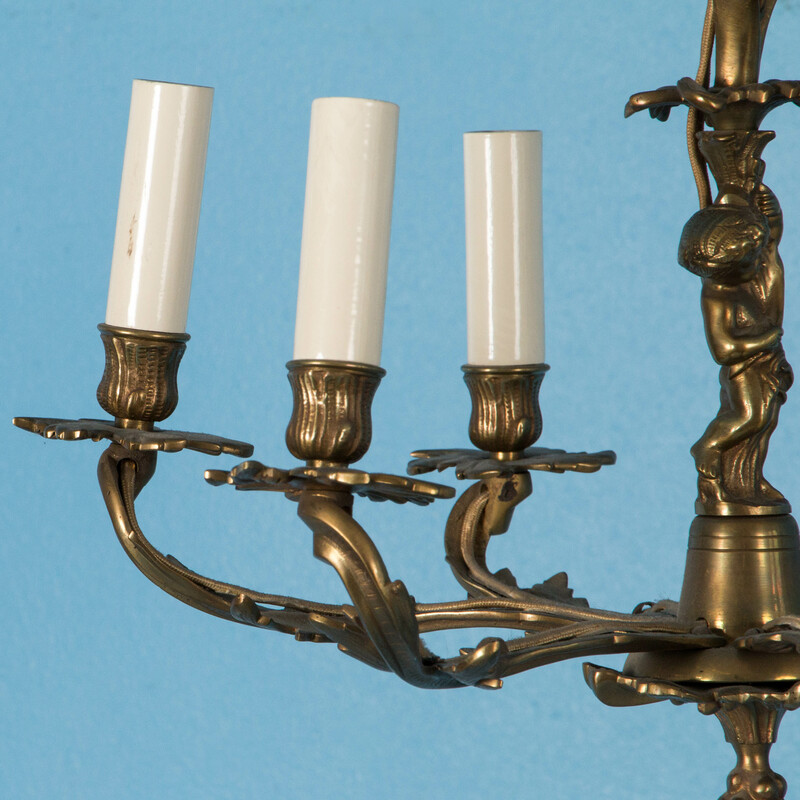 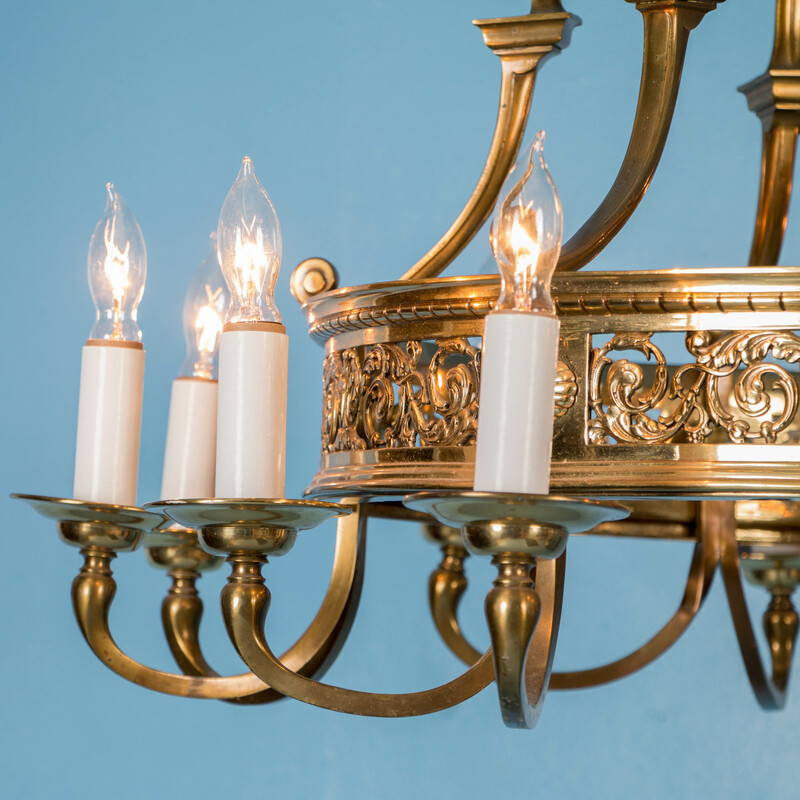 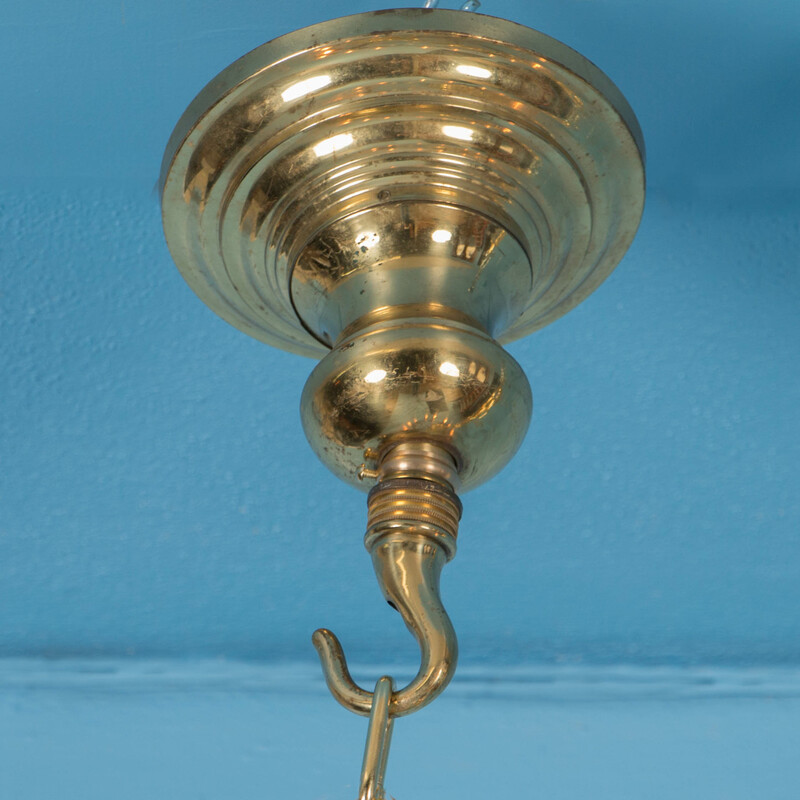 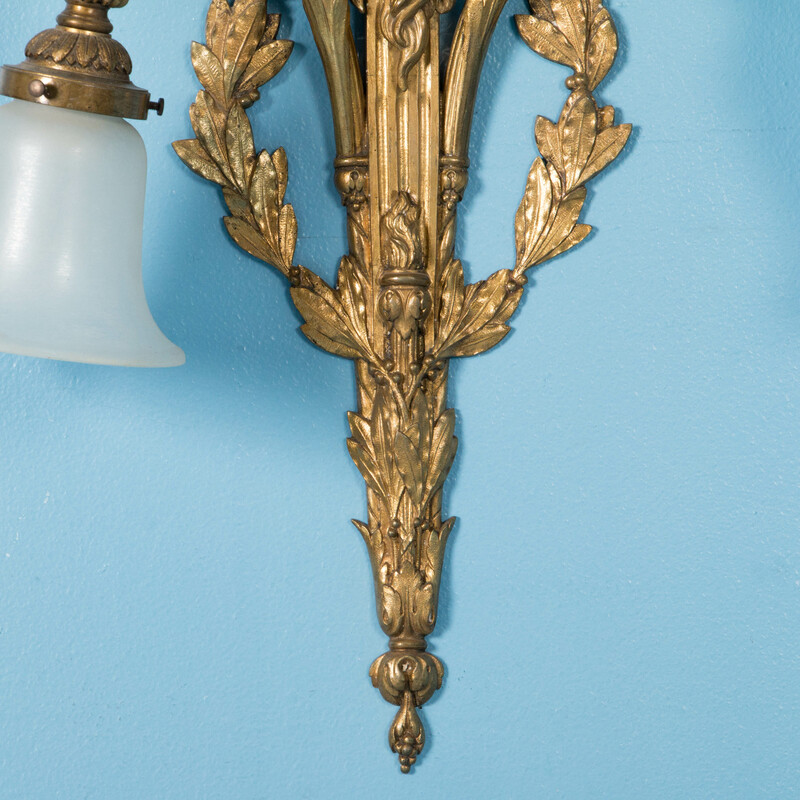 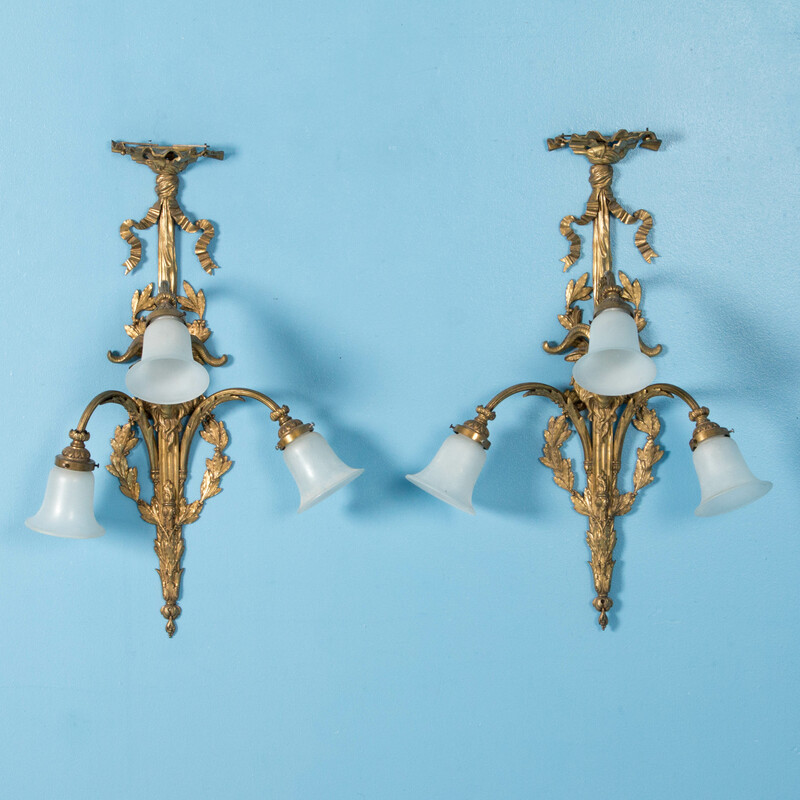 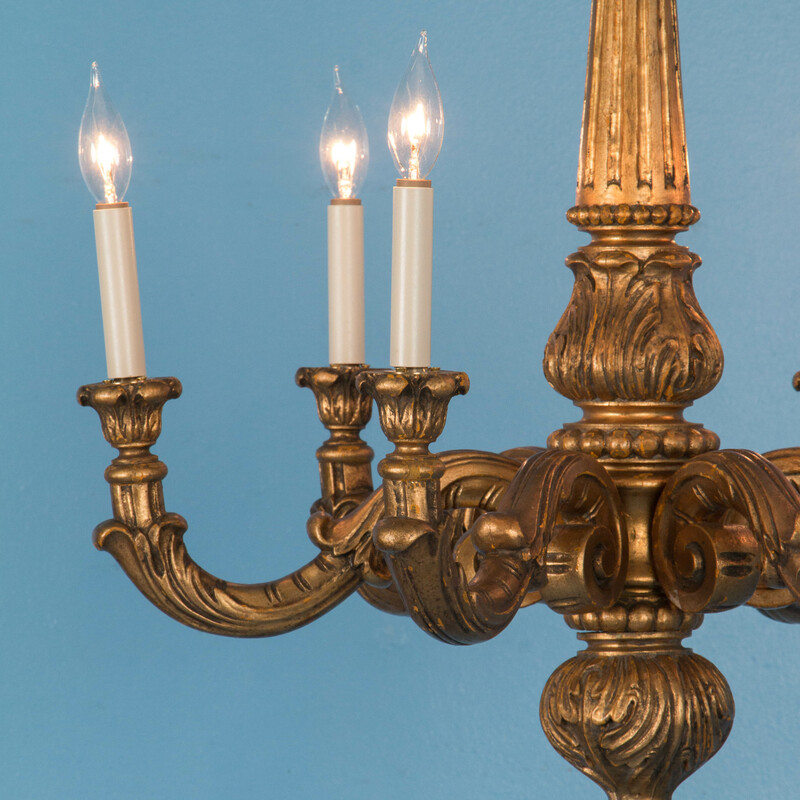 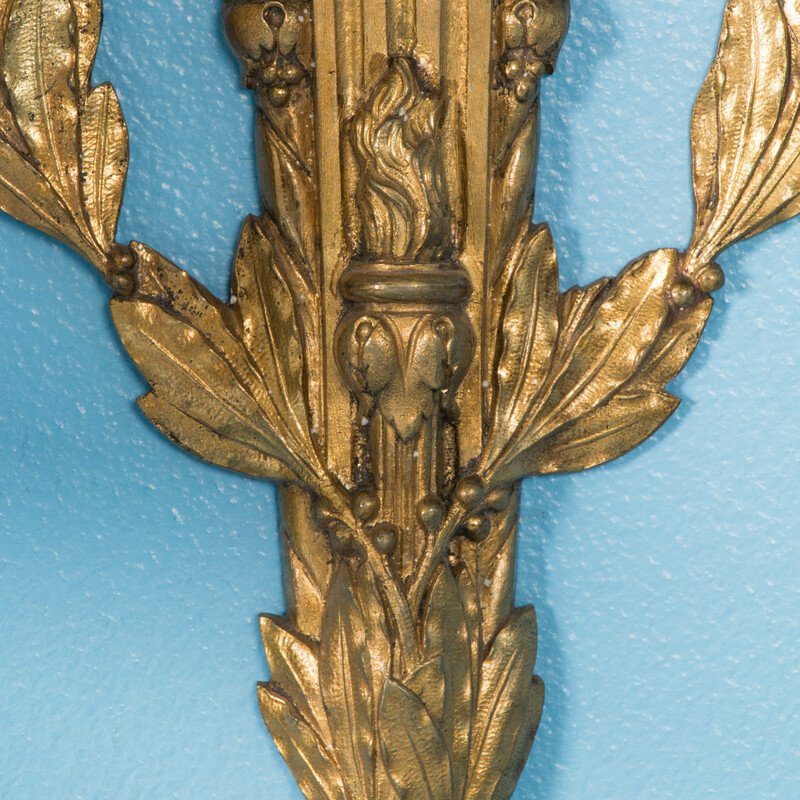 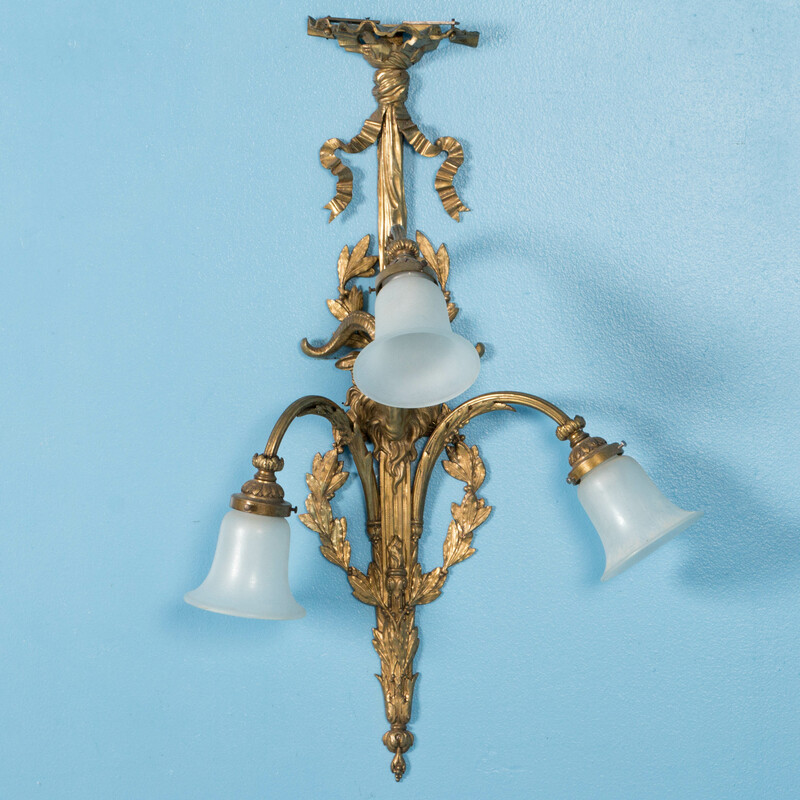 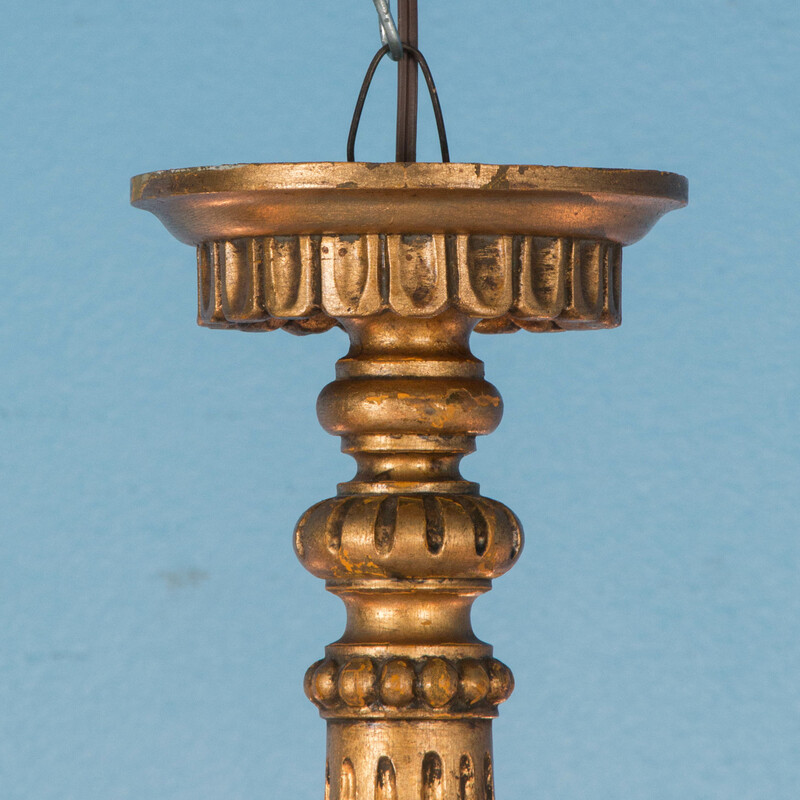 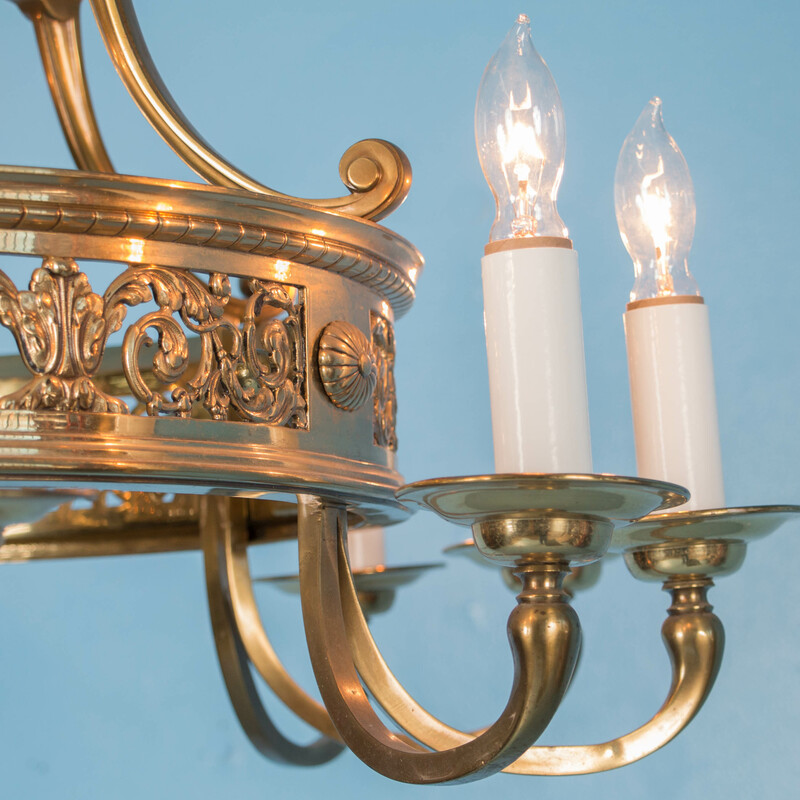 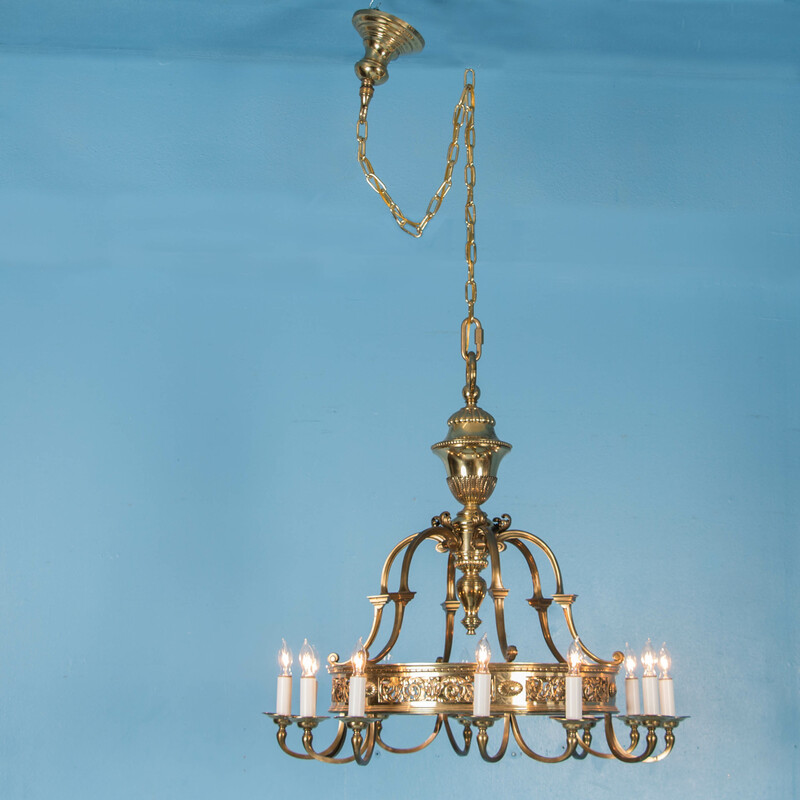 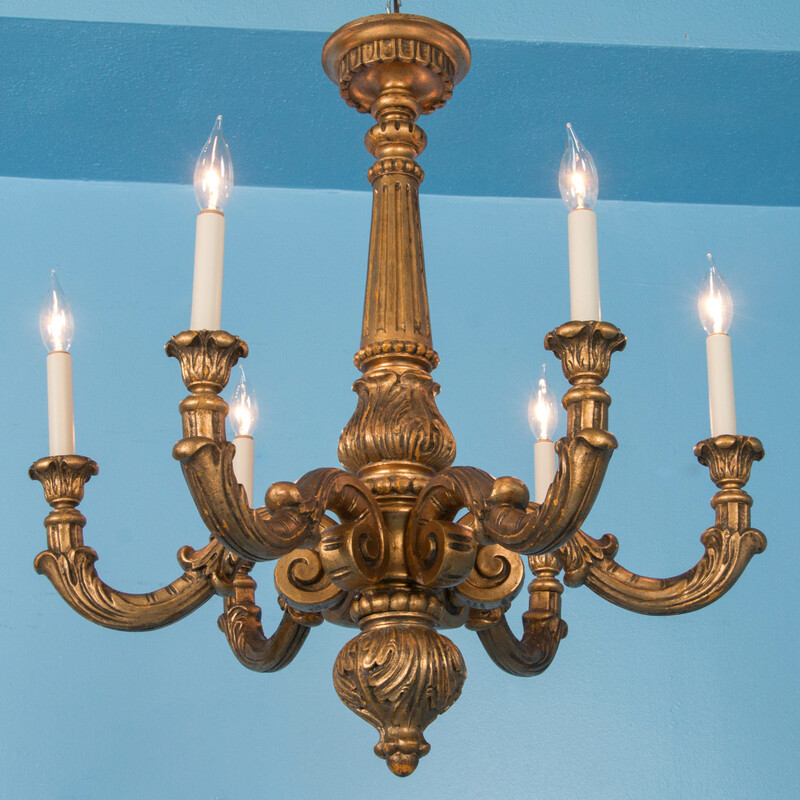 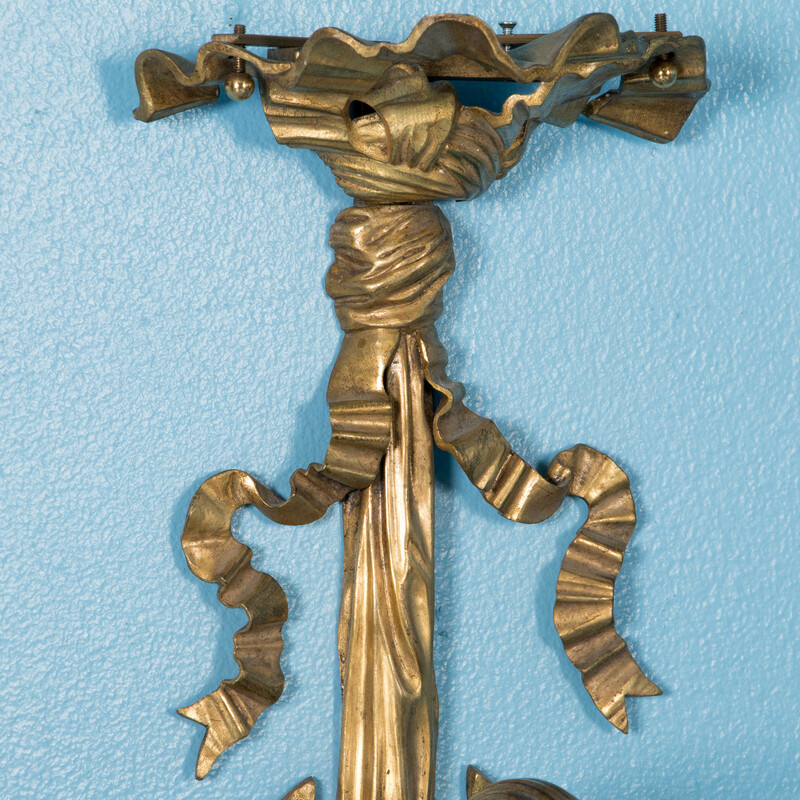 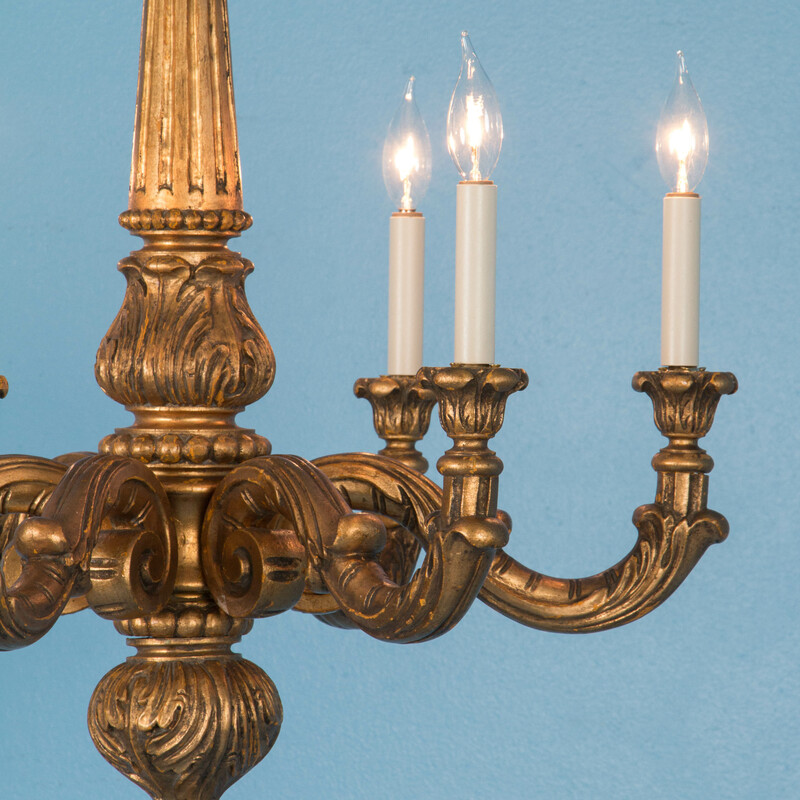 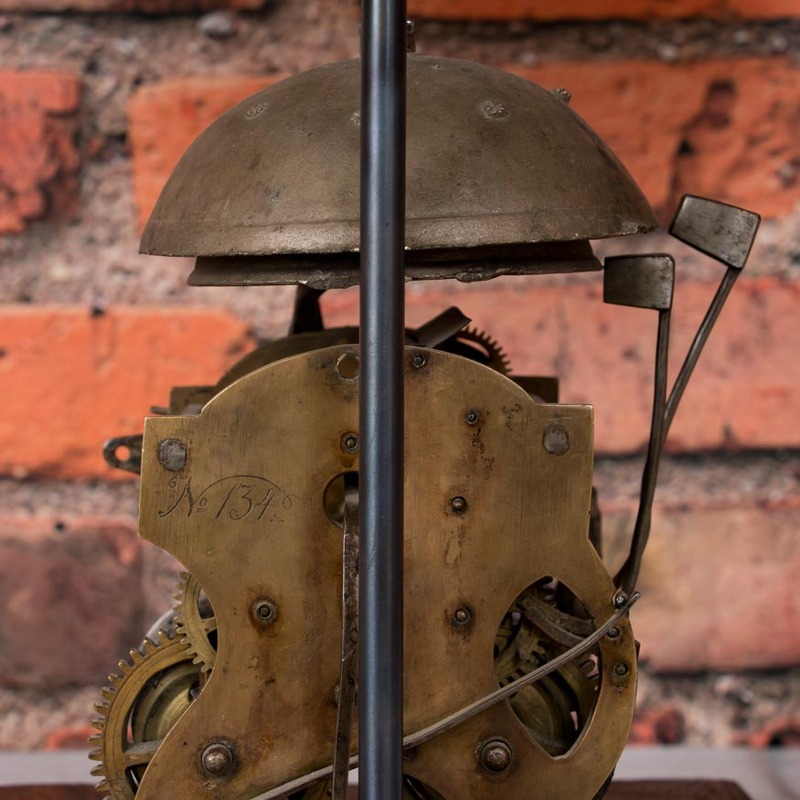 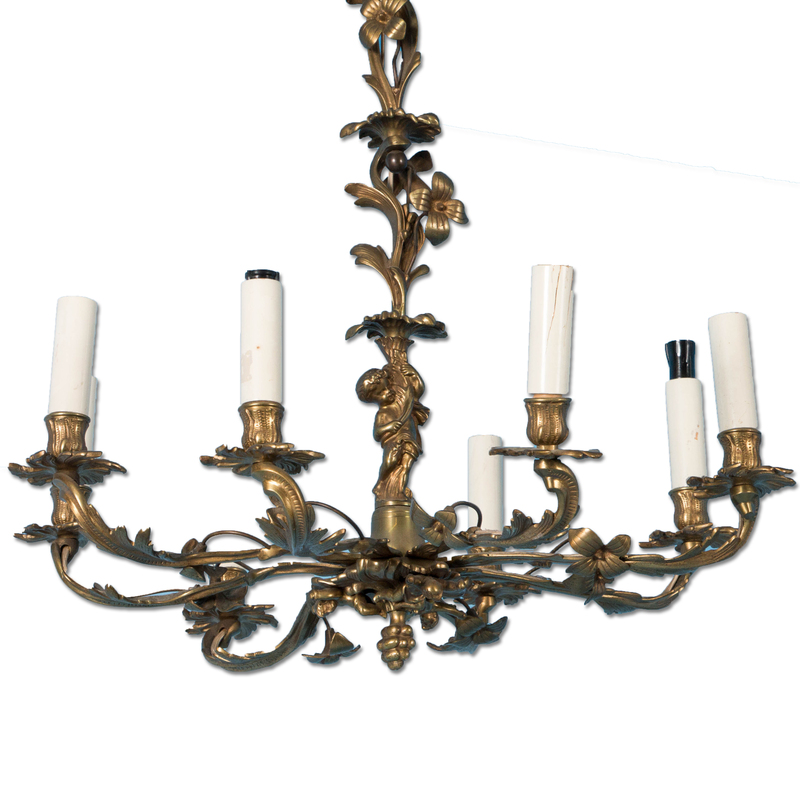 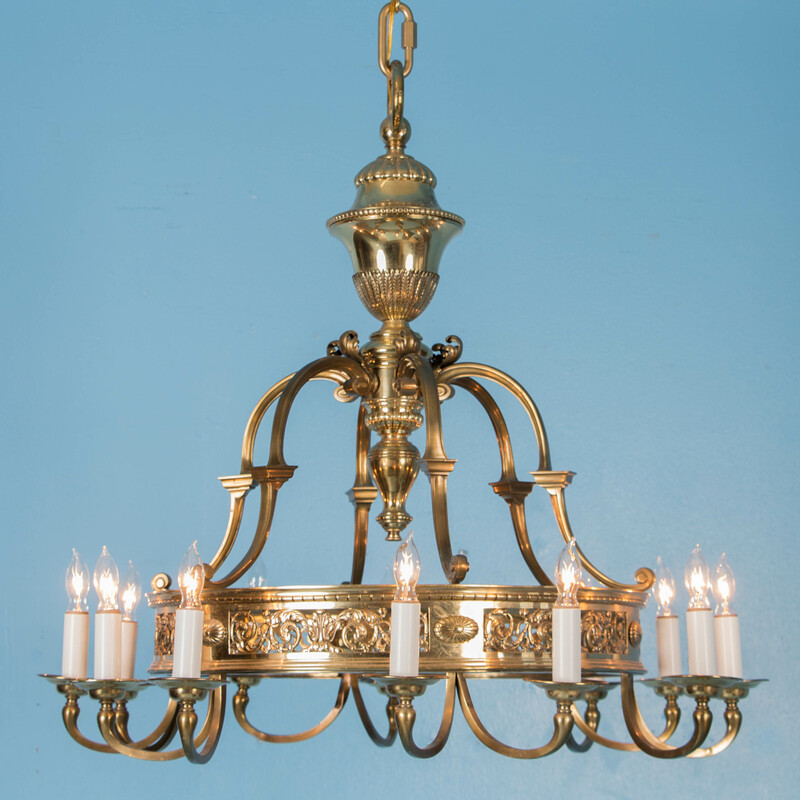 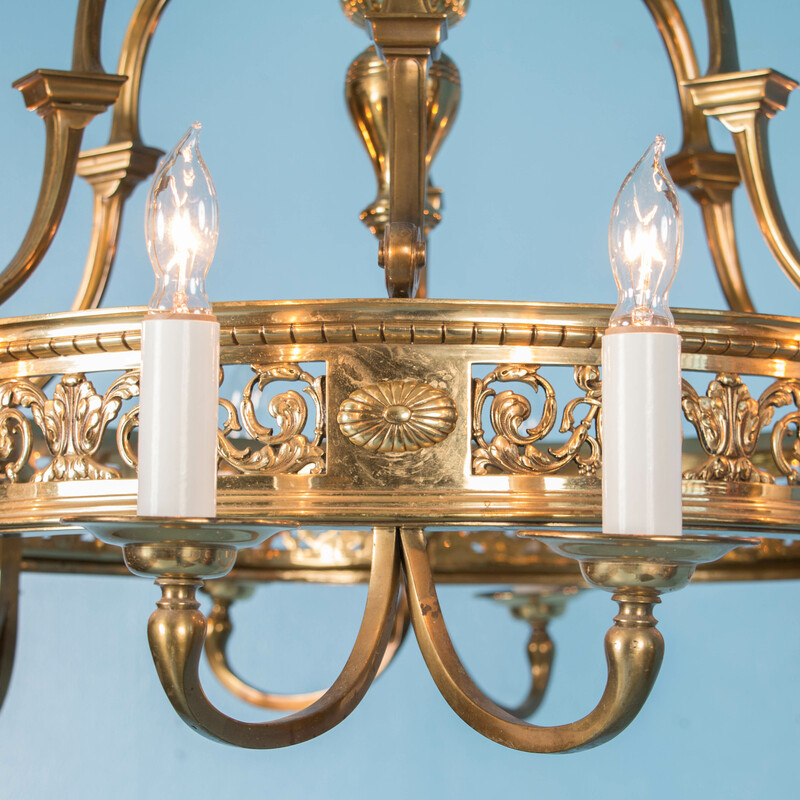 Circa 1920 brass chandelier with six curved arms and original canopy and wiring. 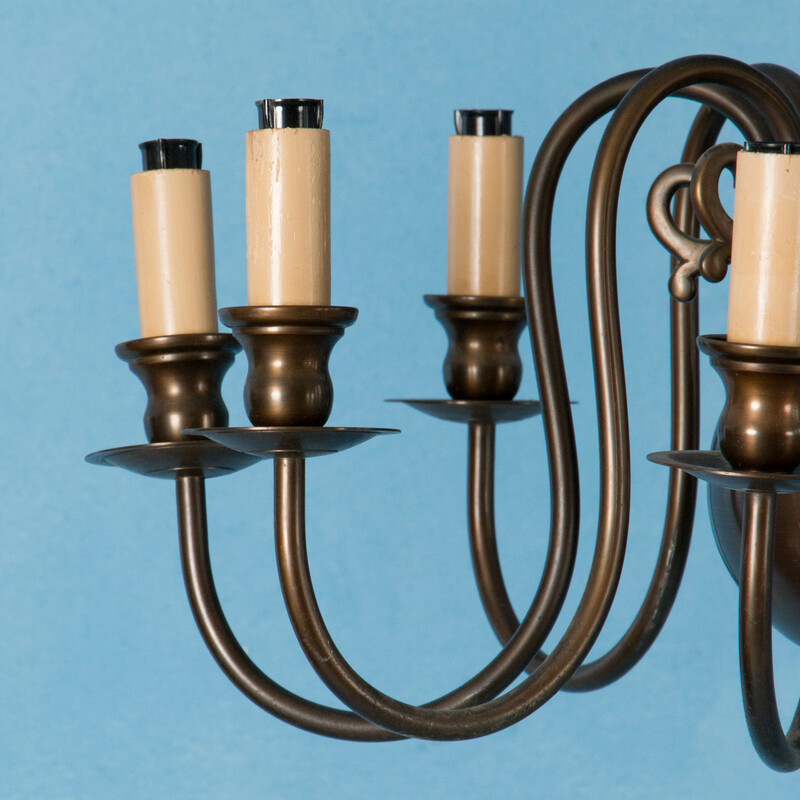 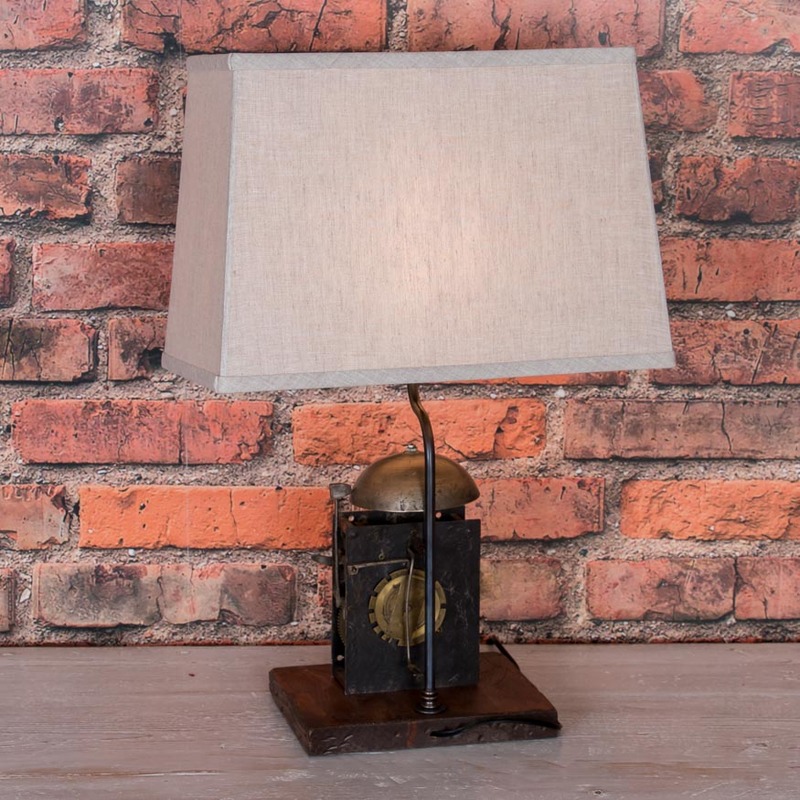 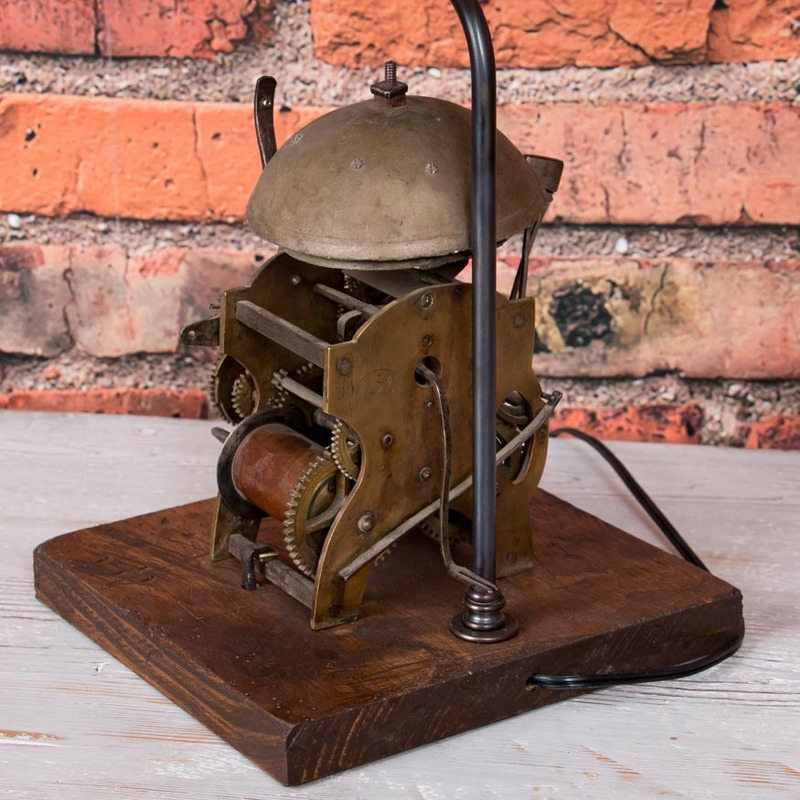 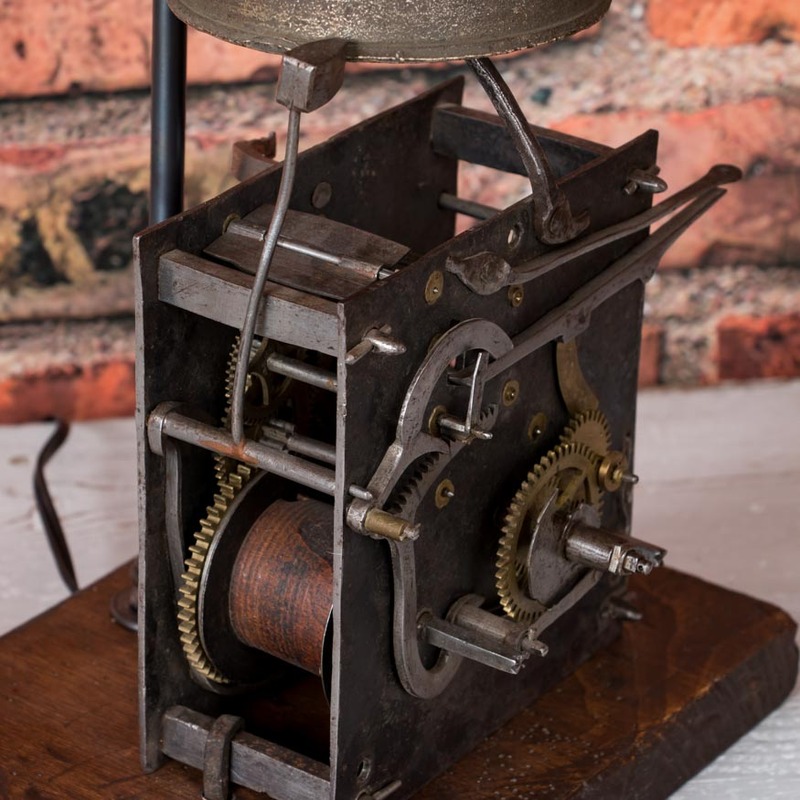 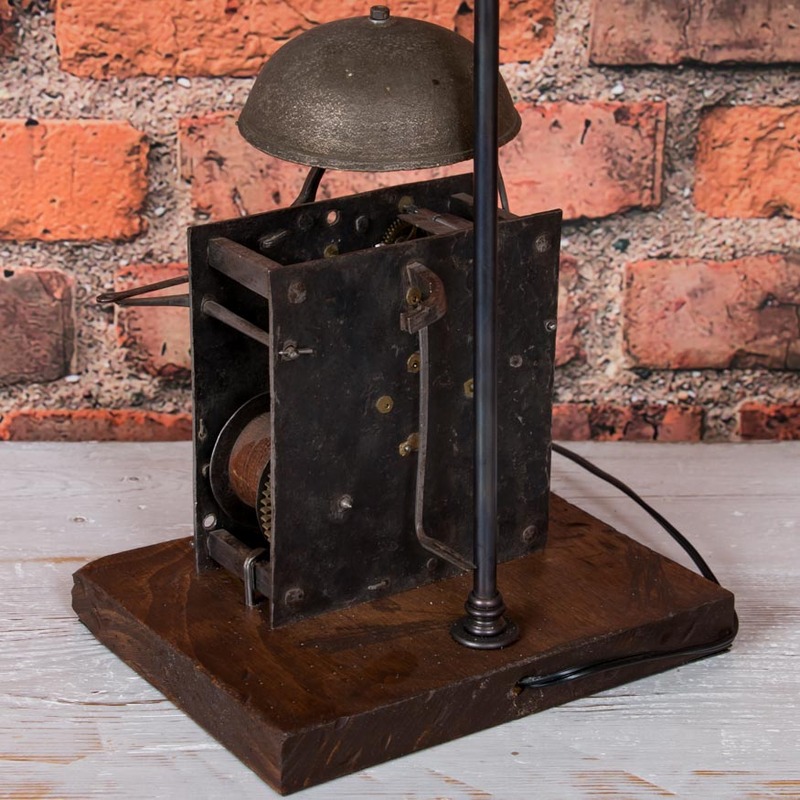 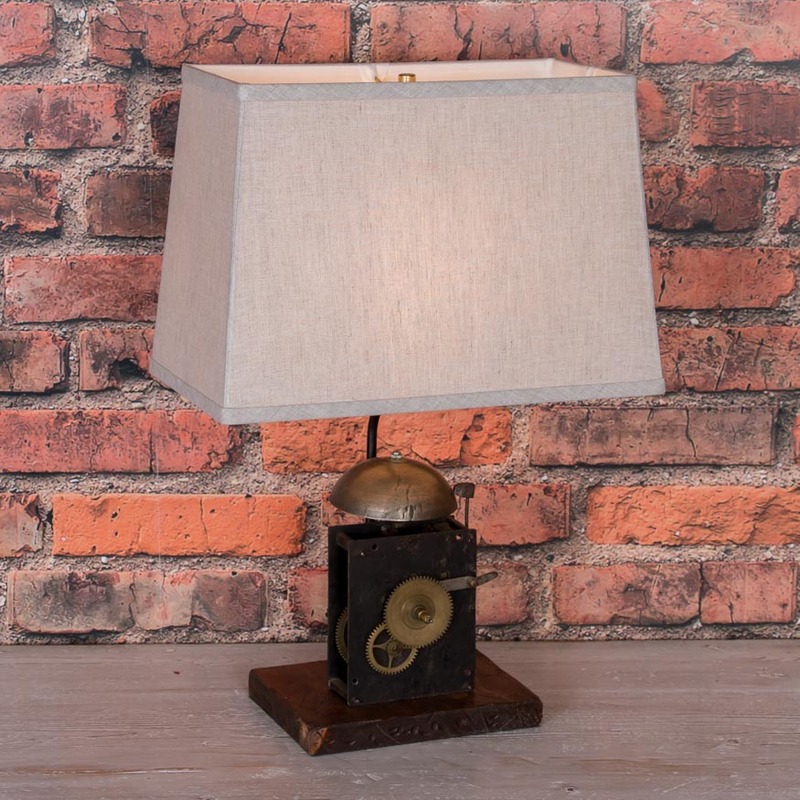 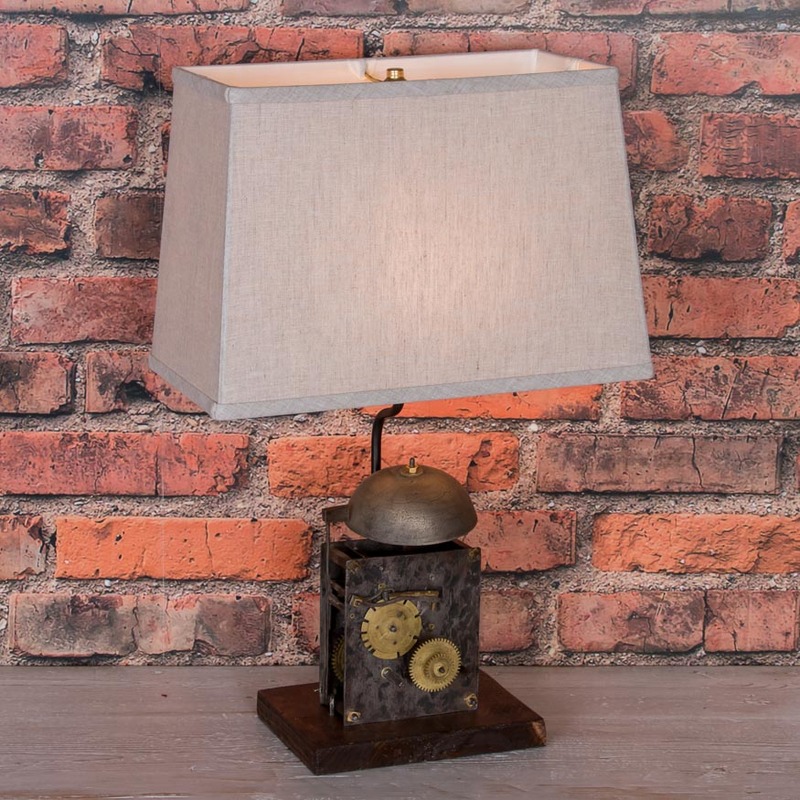 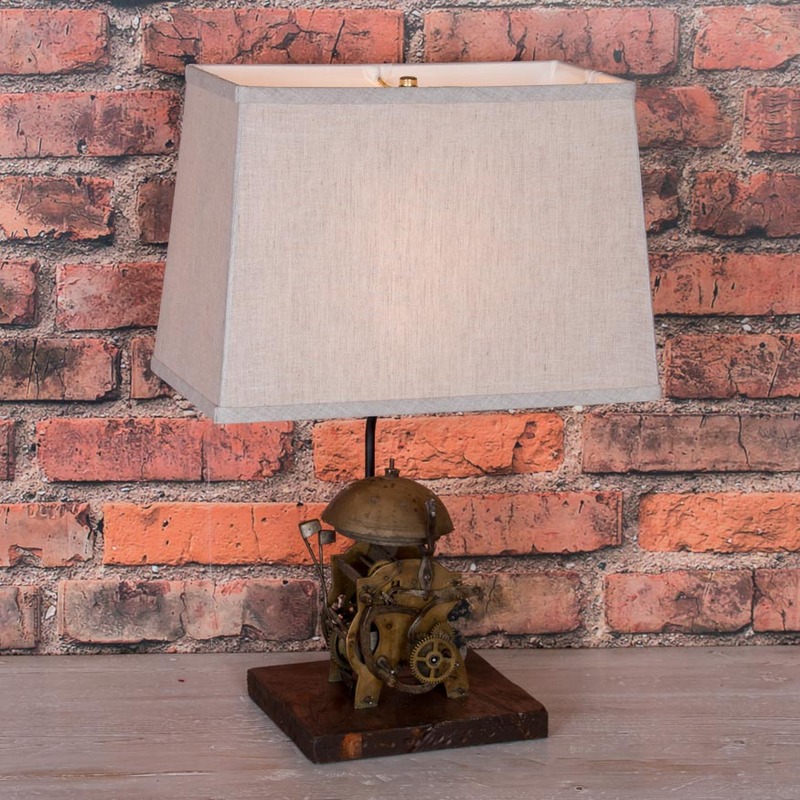 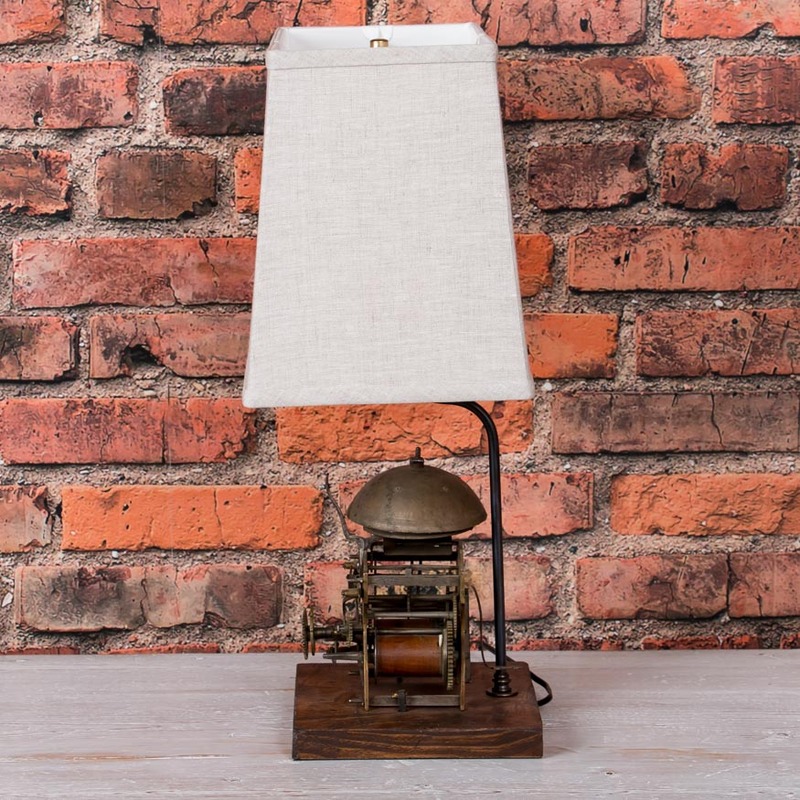 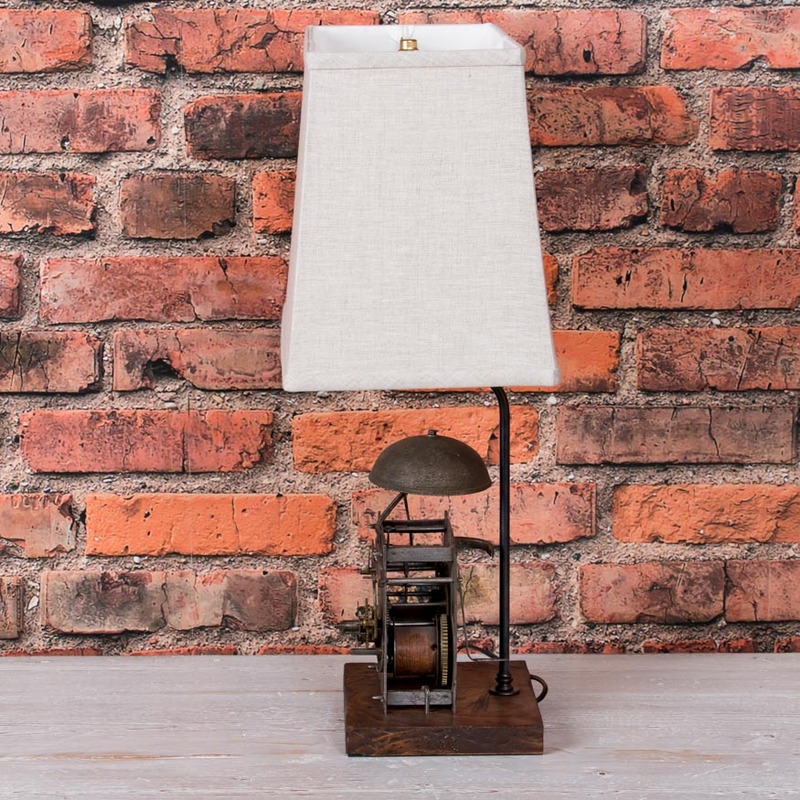 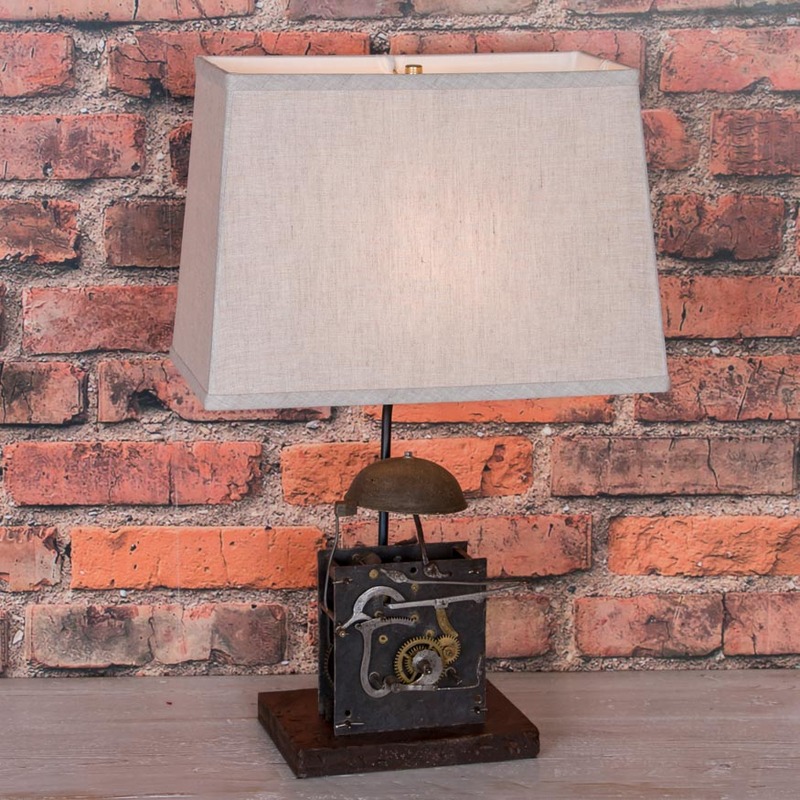 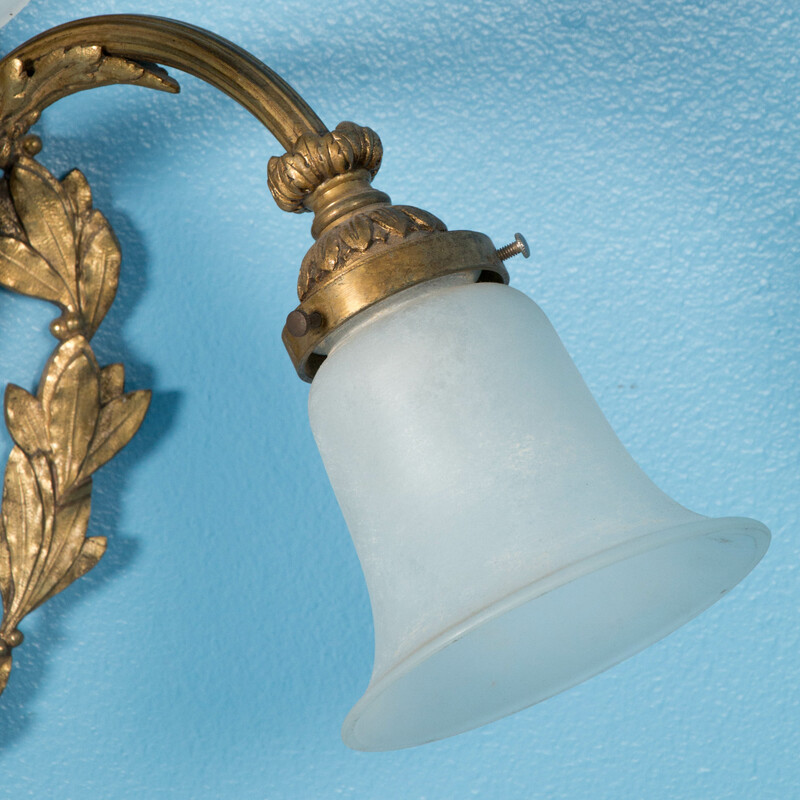 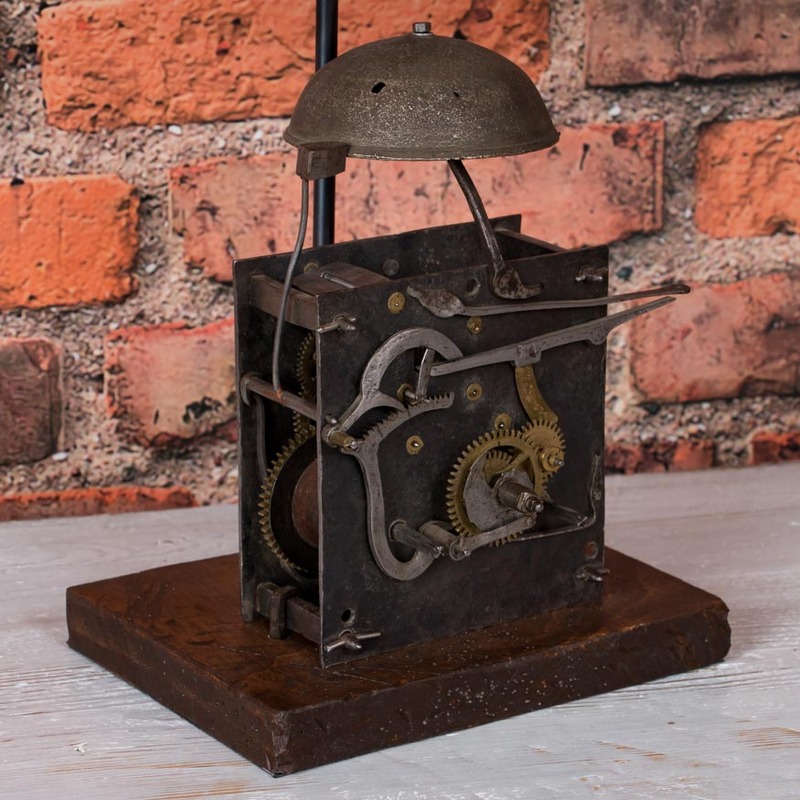 It is recommended that this light be re-wired. 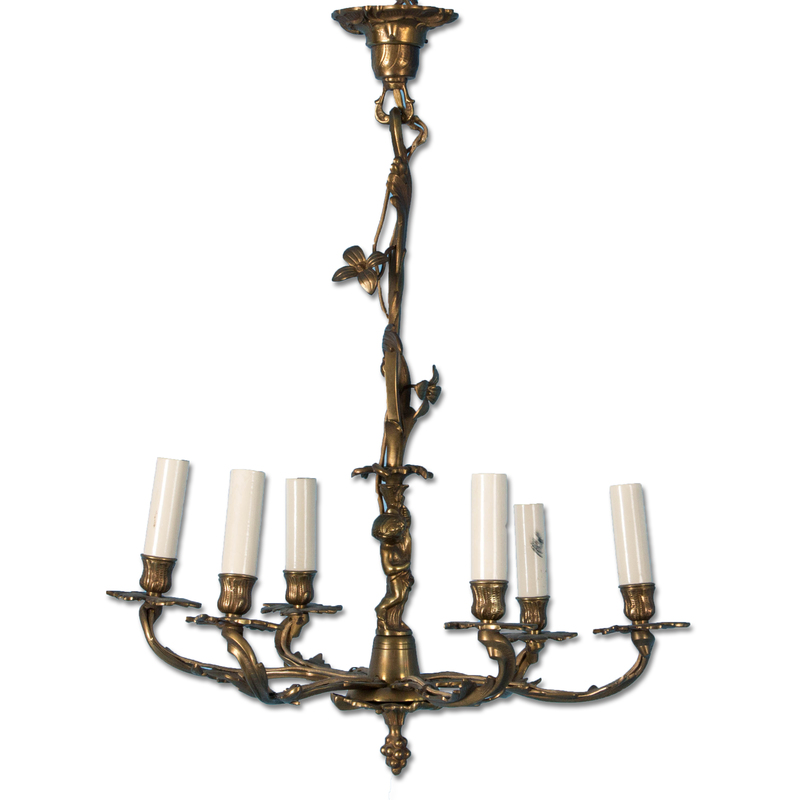 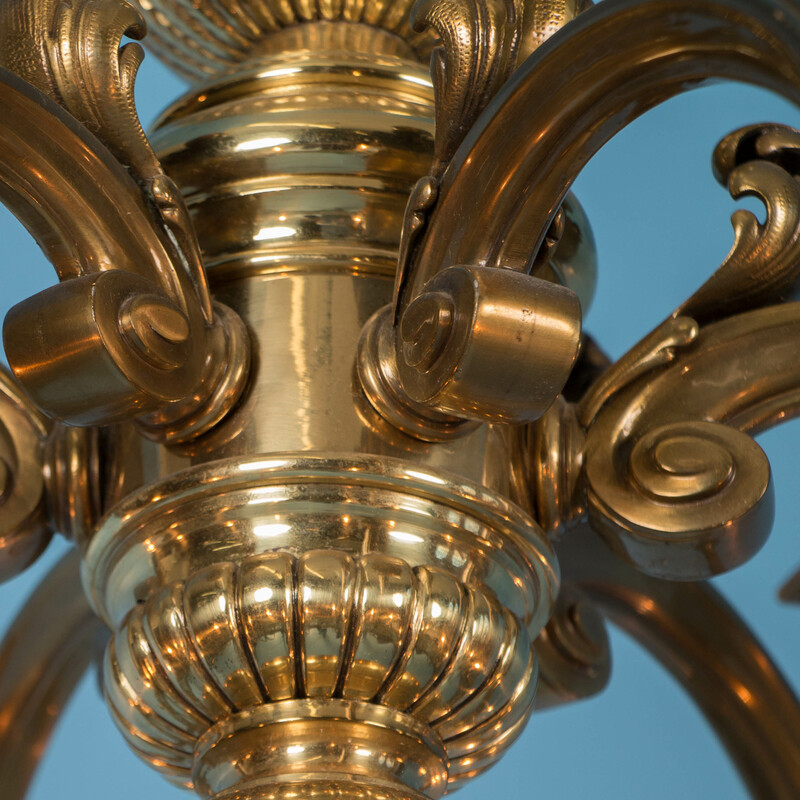 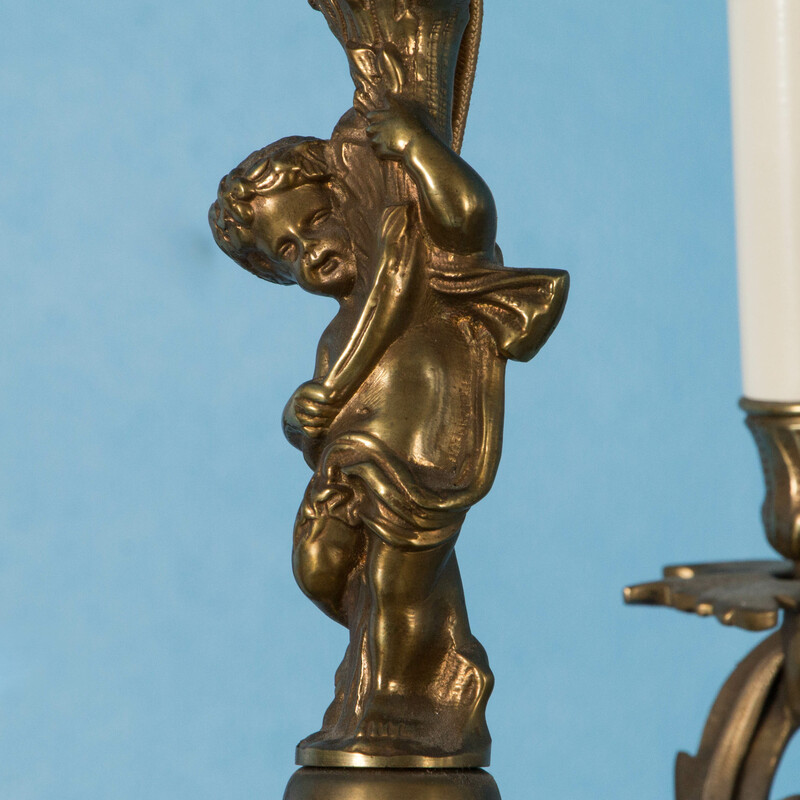 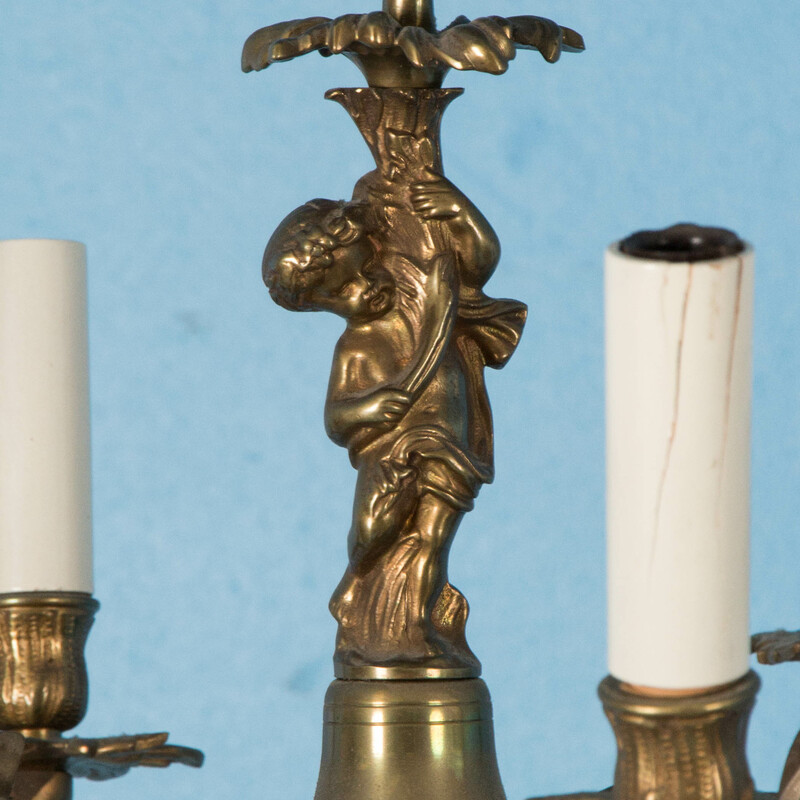 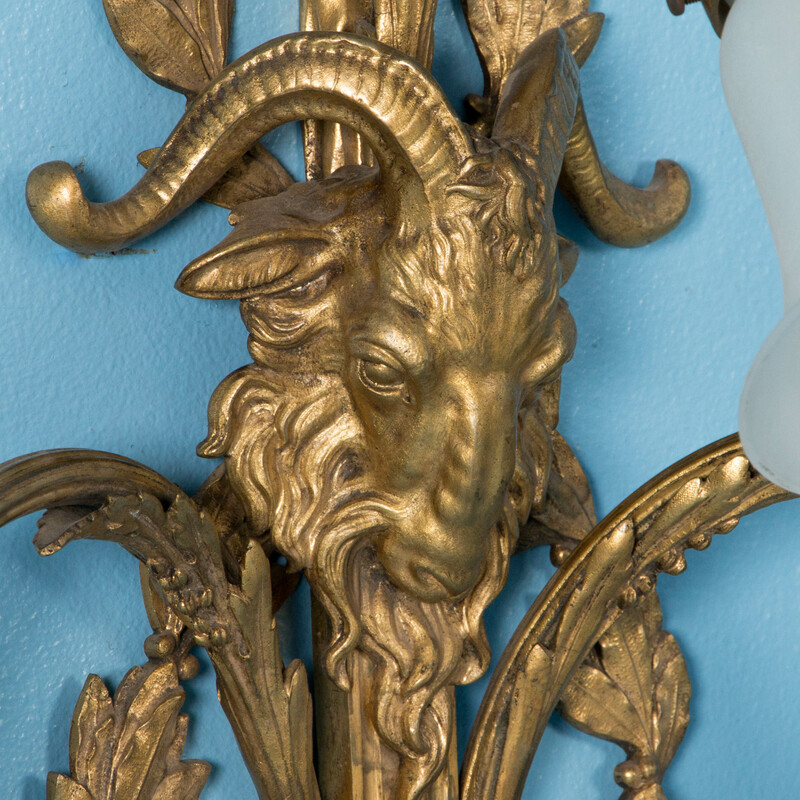 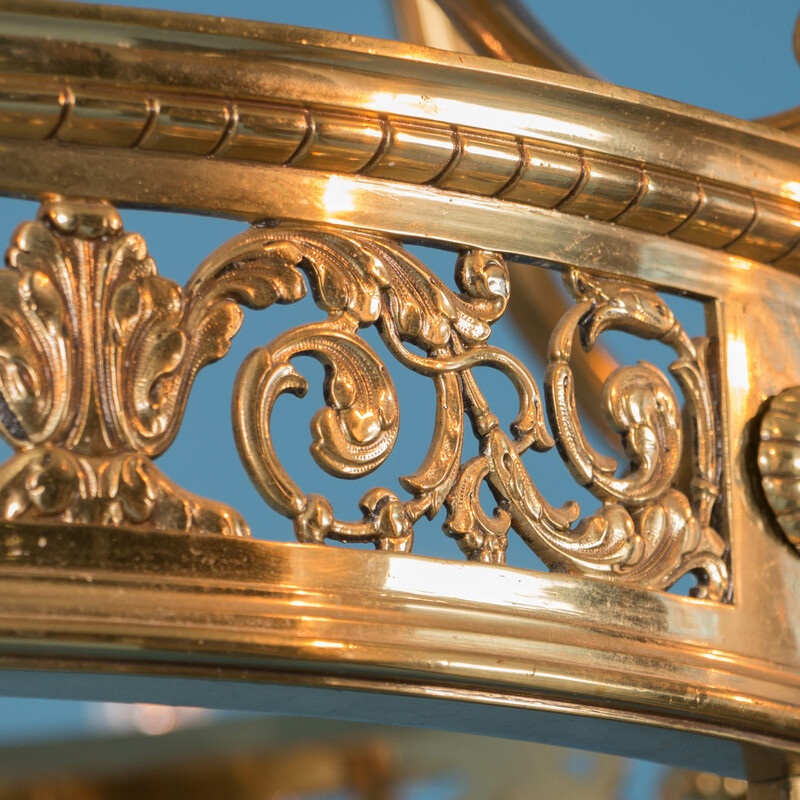 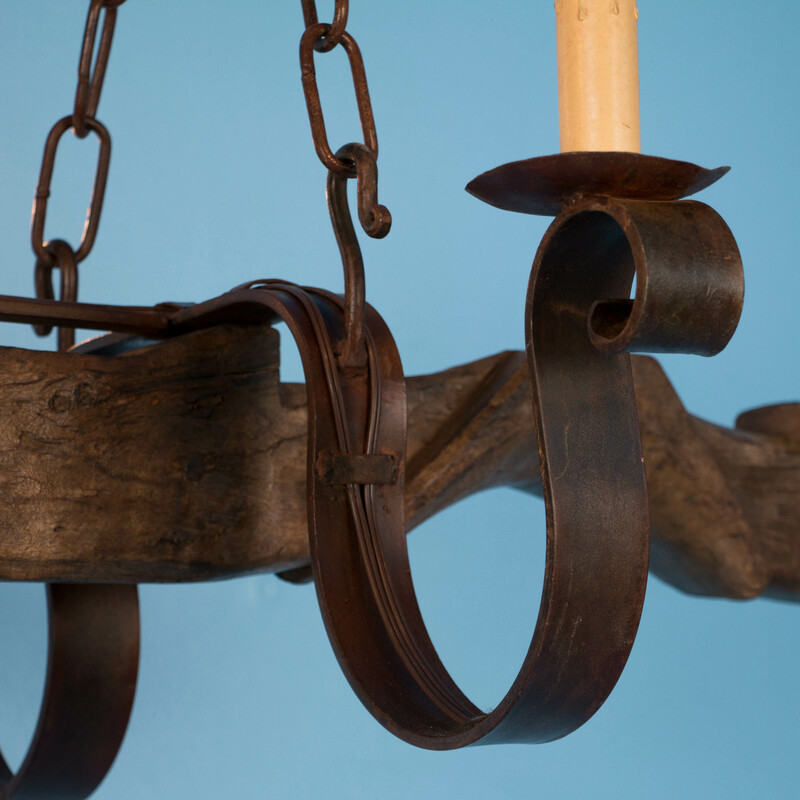 We have another, near match to this chandelier with eight arms.